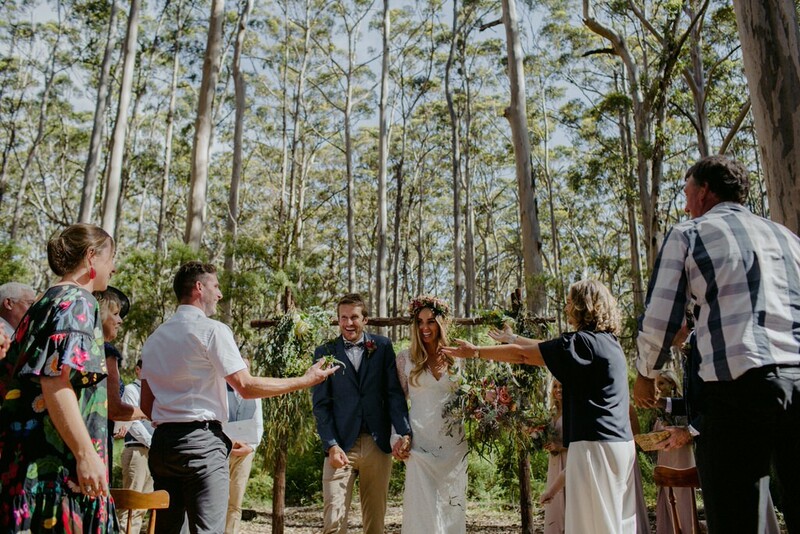 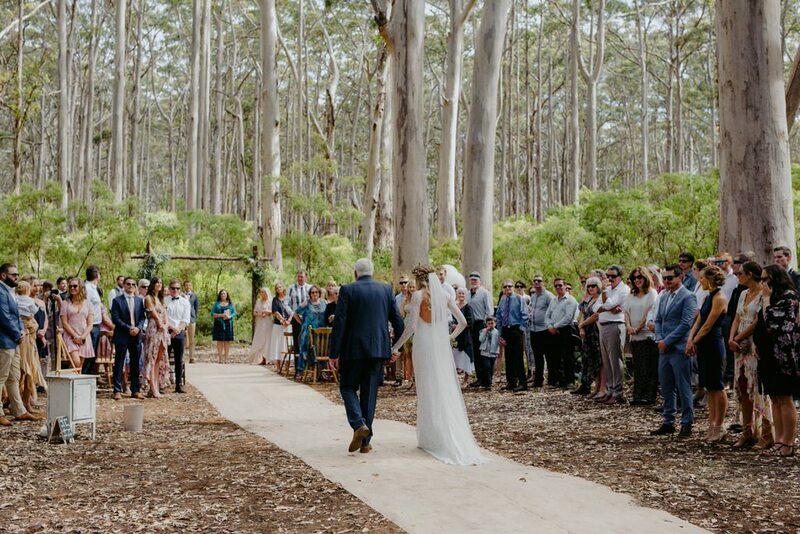 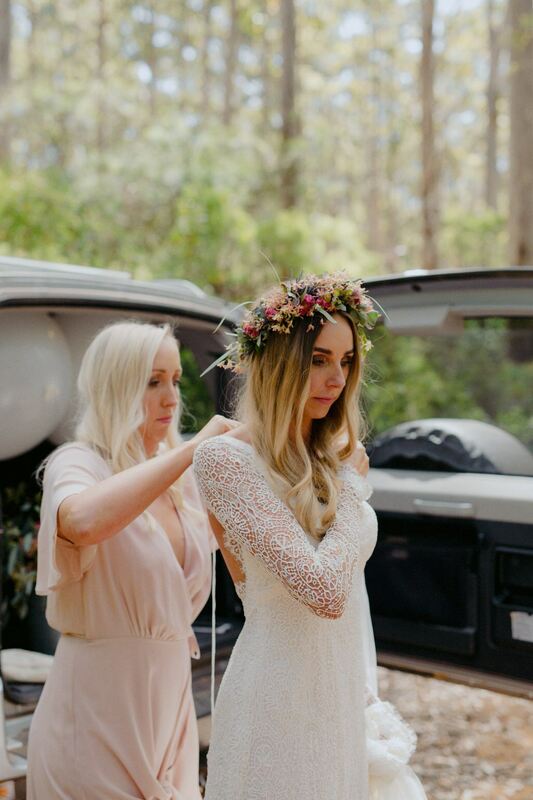 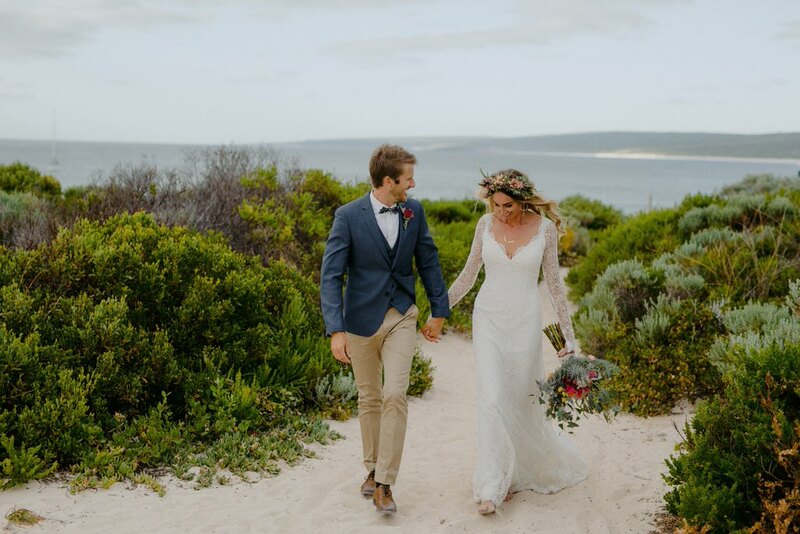 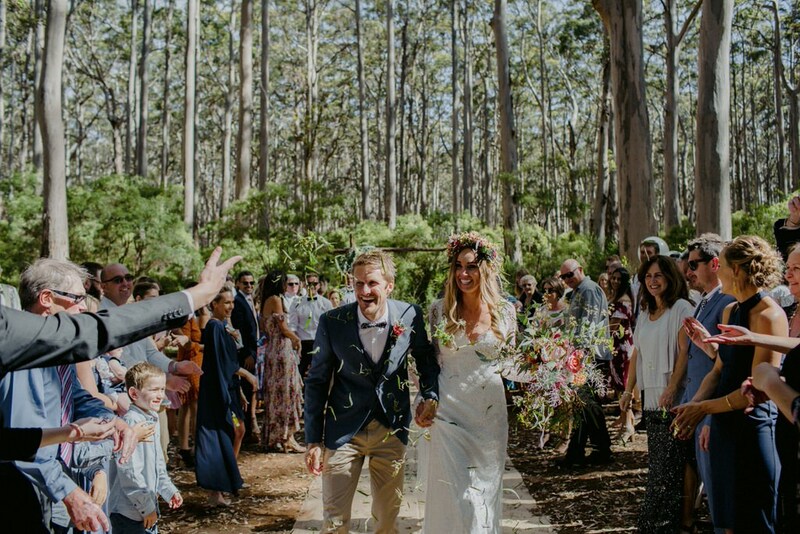 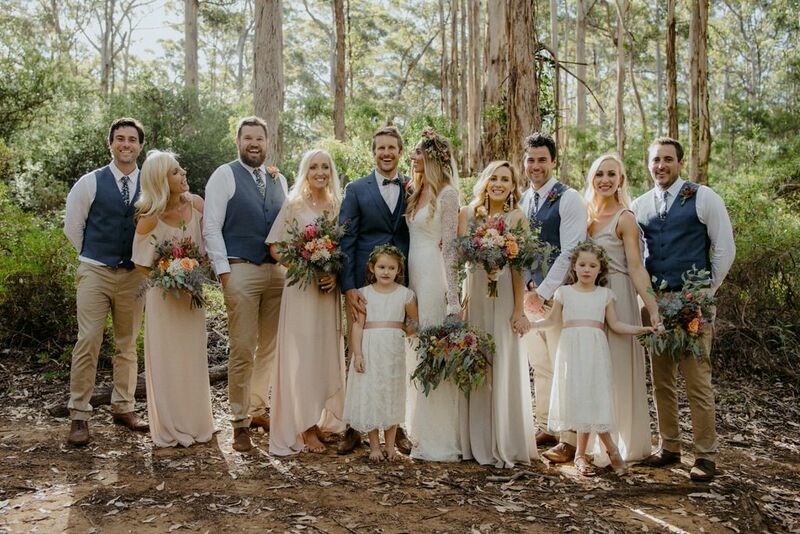 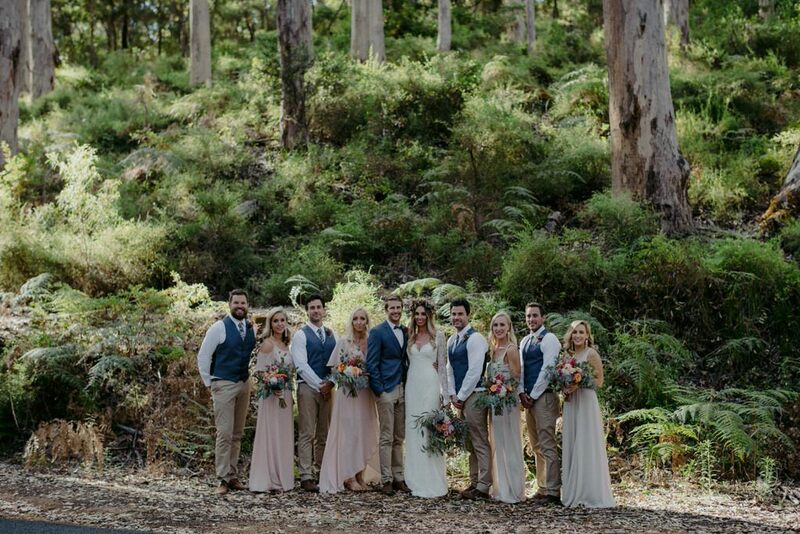 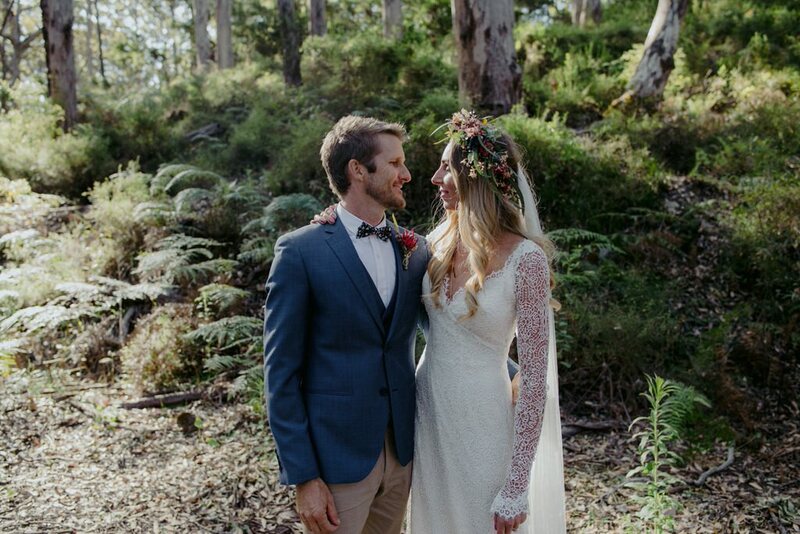 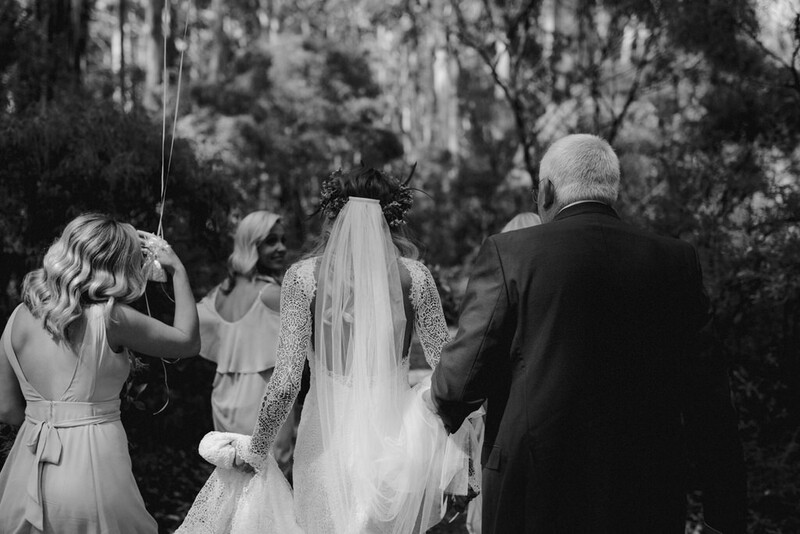 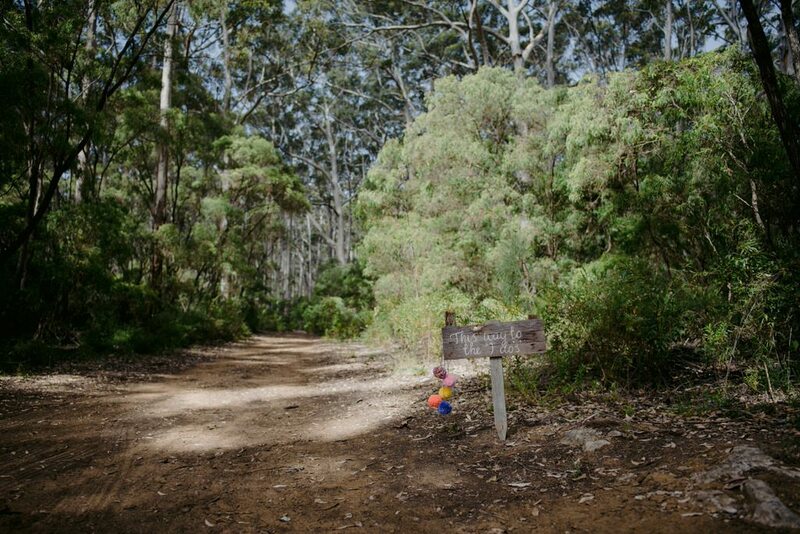 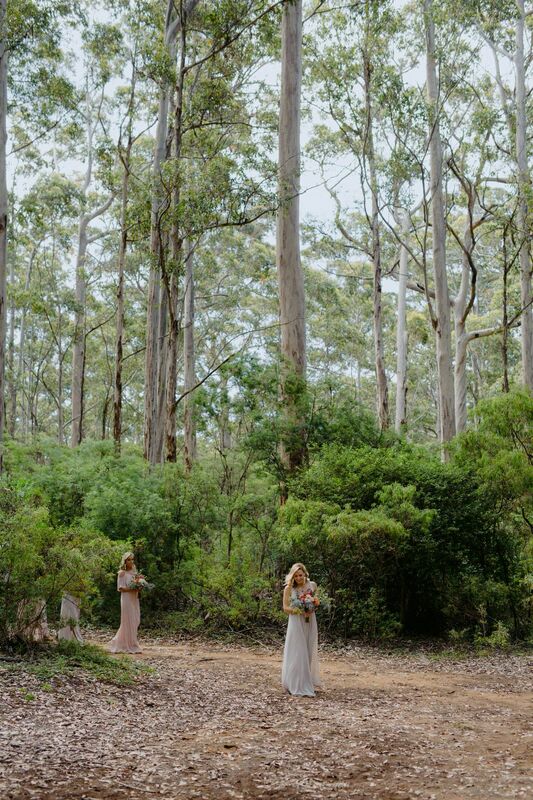 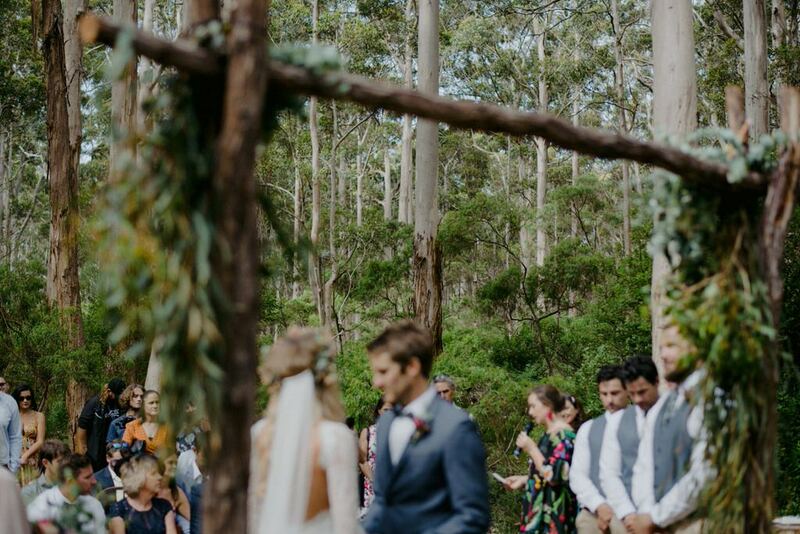 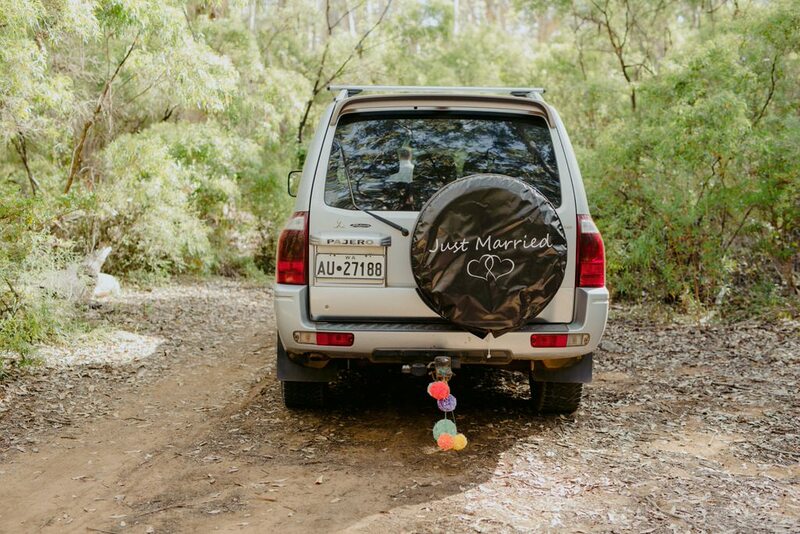 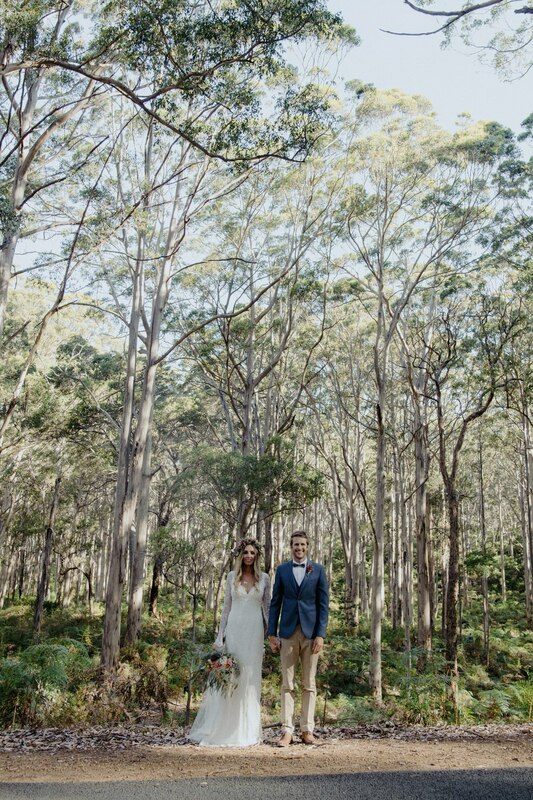 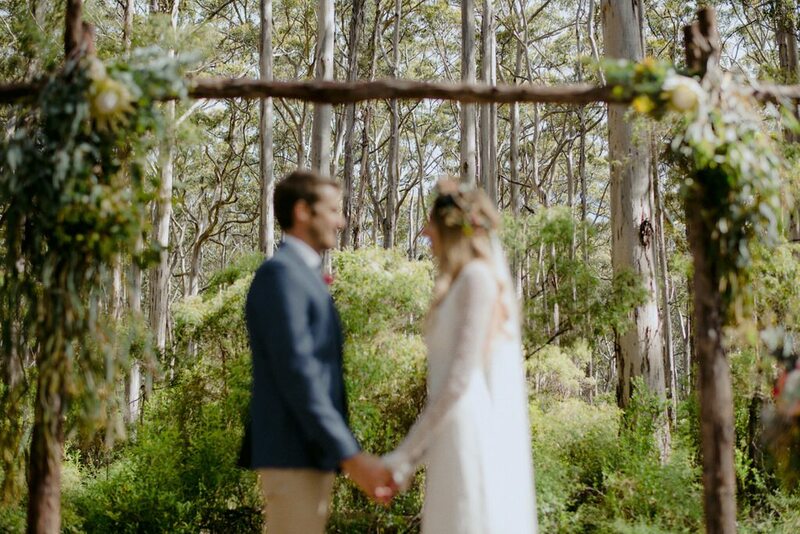 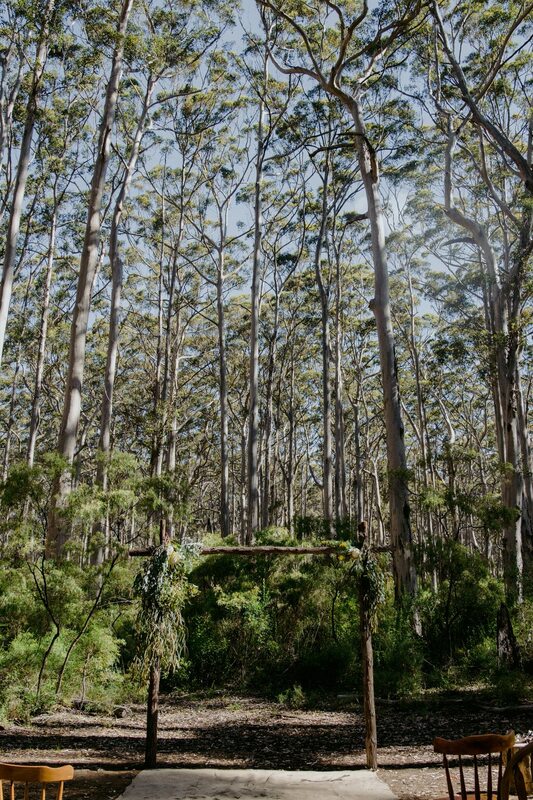 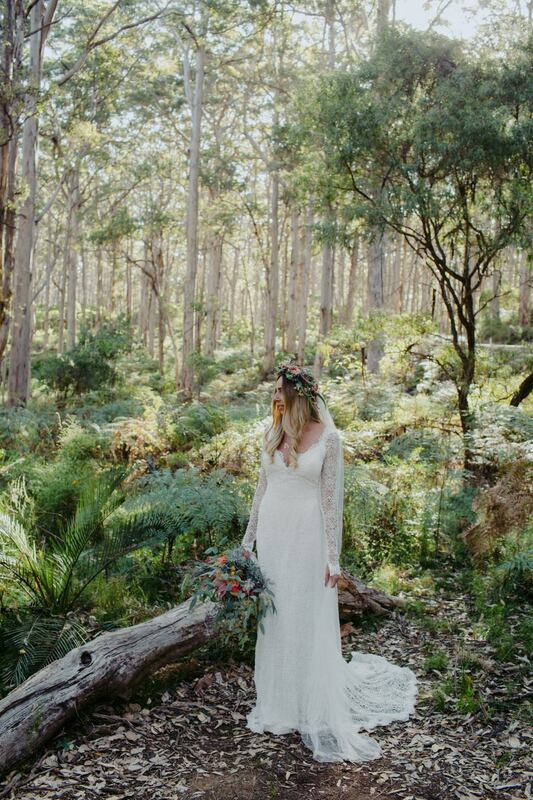 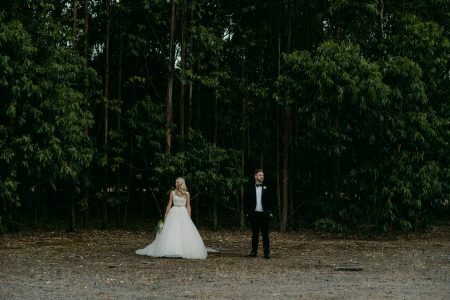 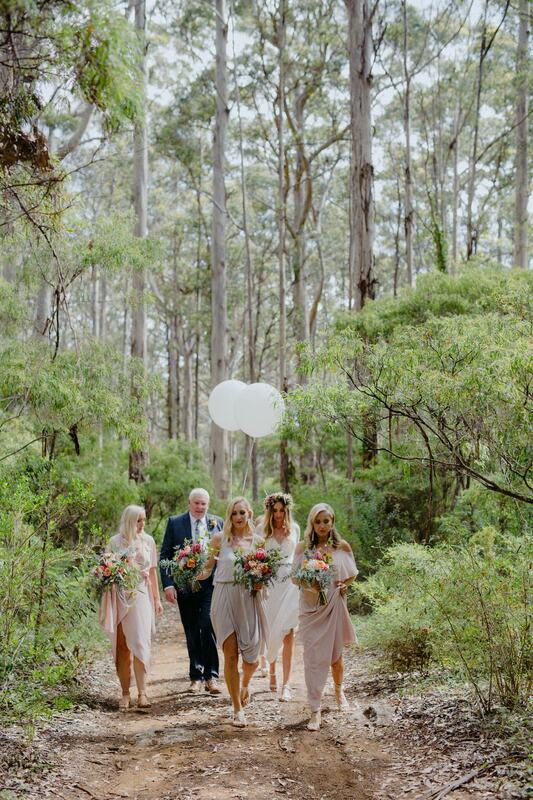 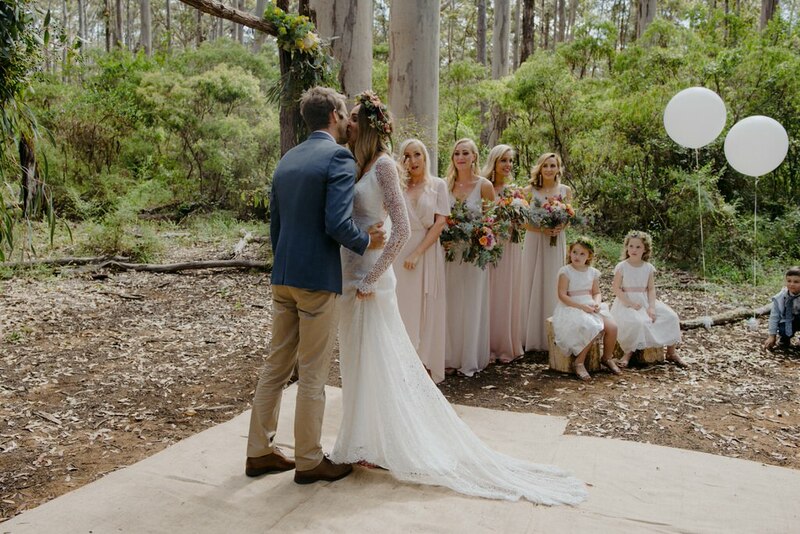 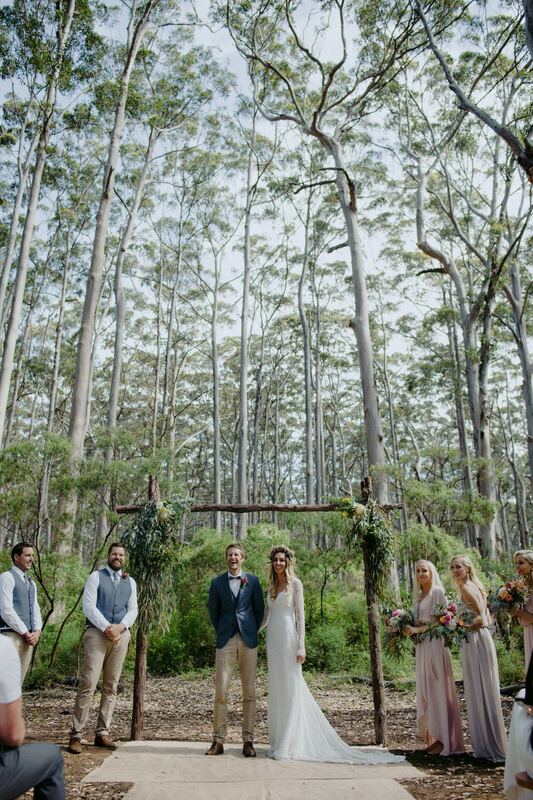 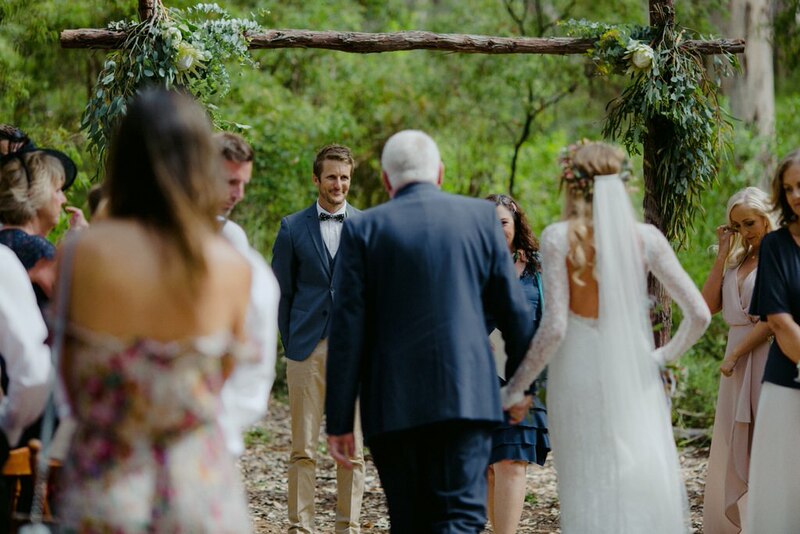 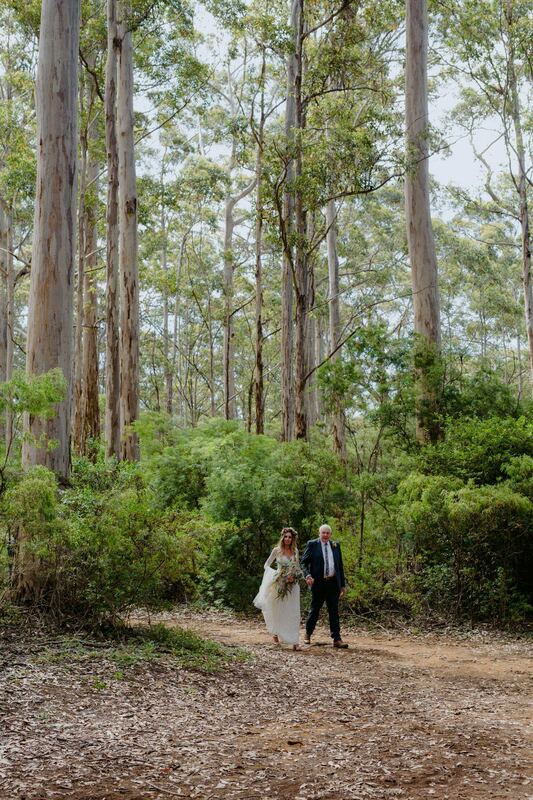 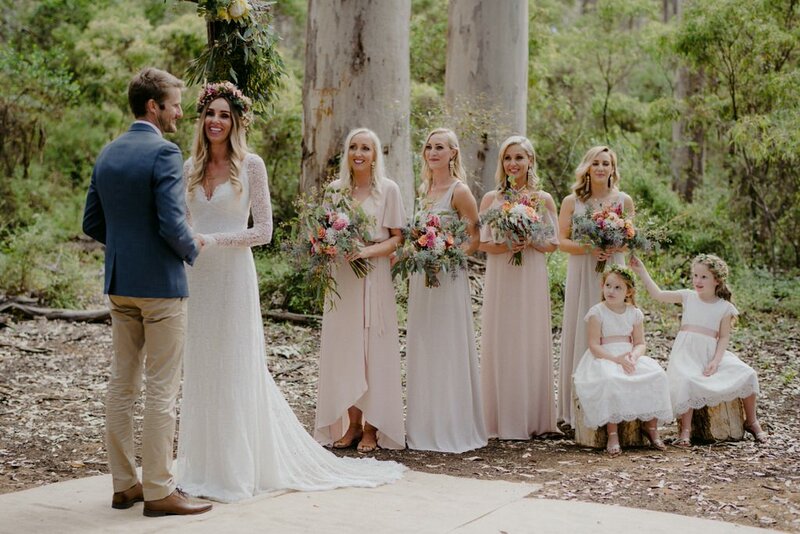 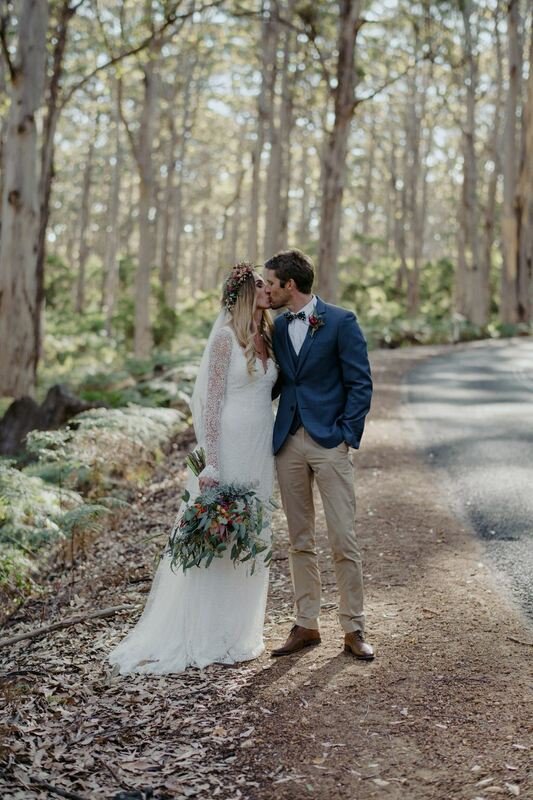 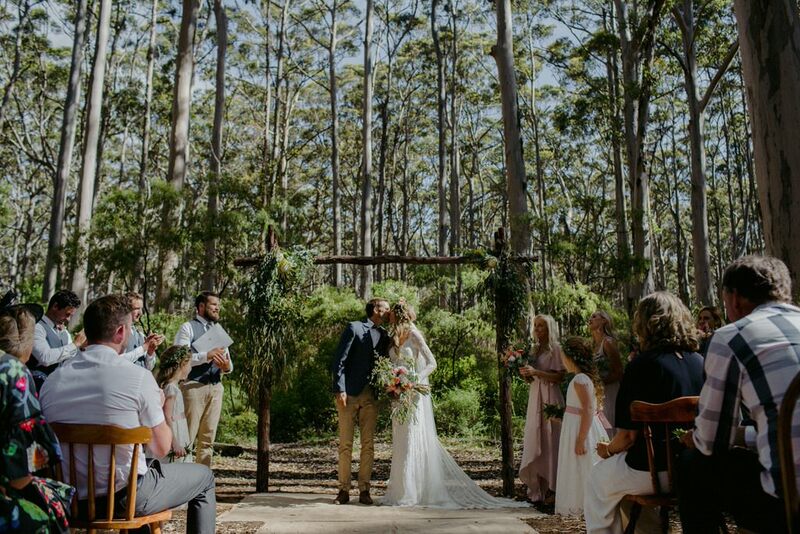 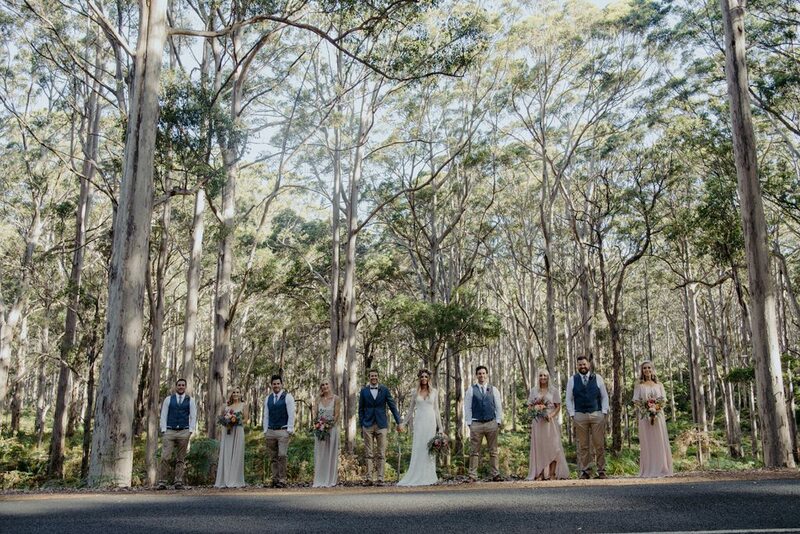 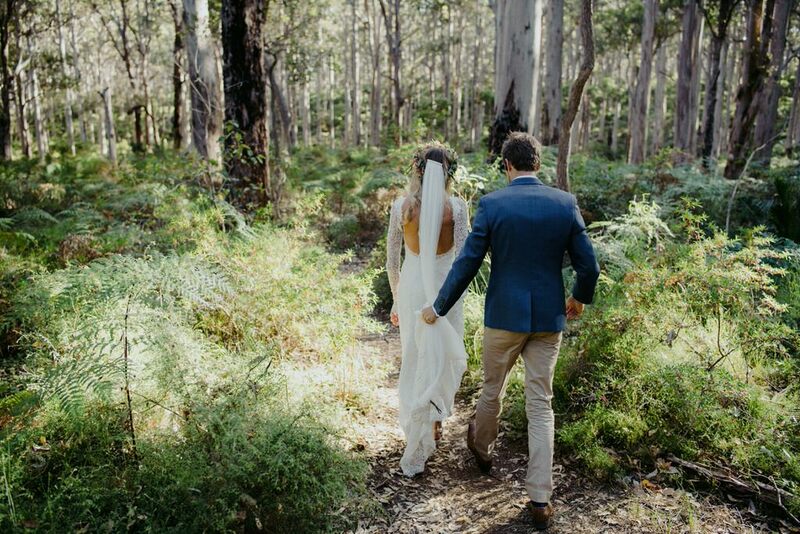 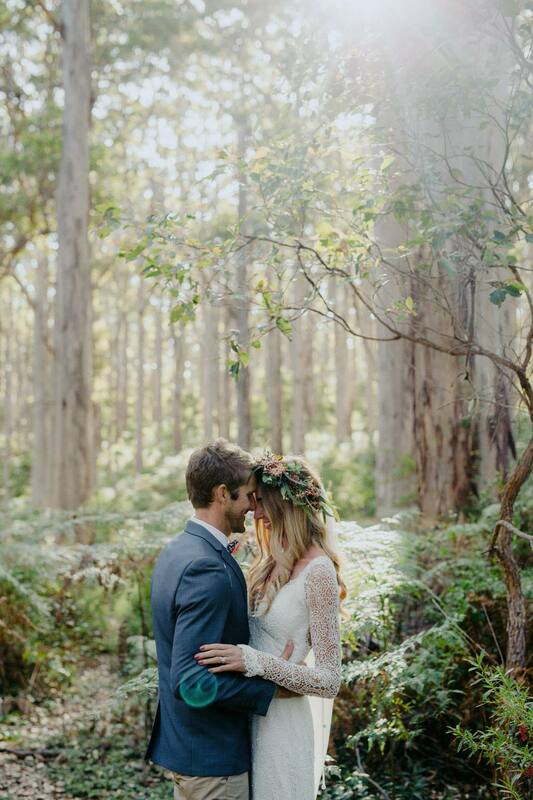 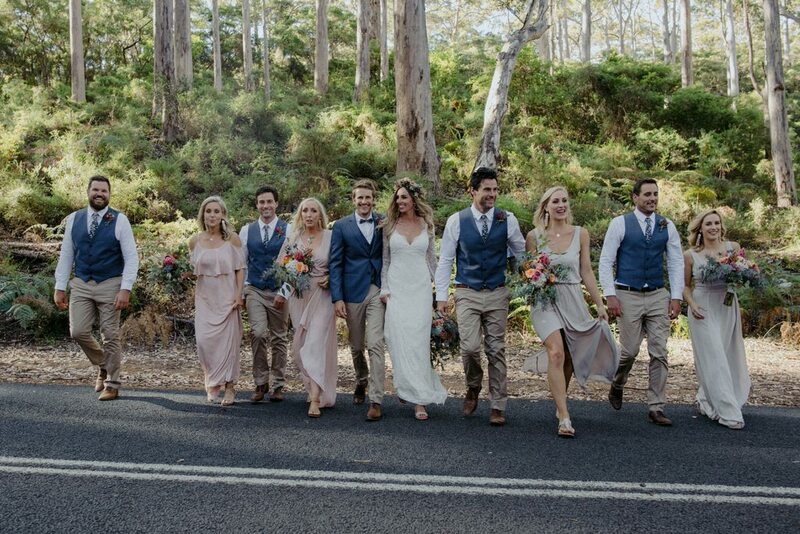 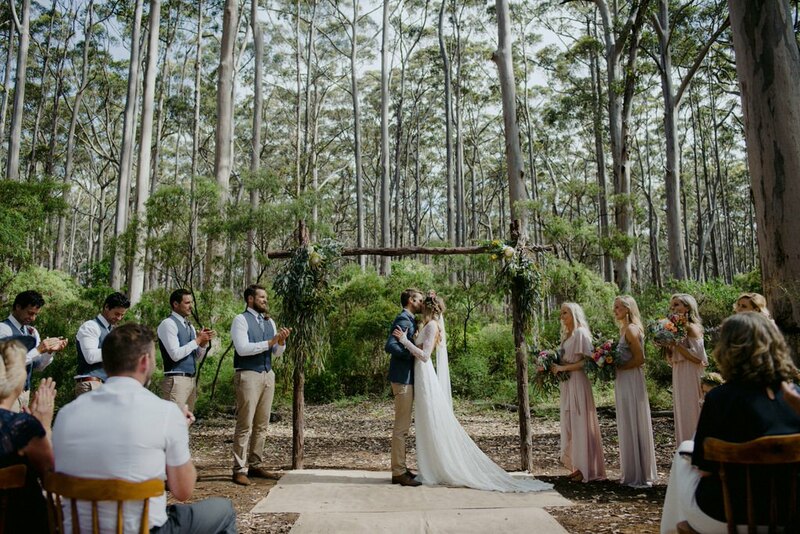 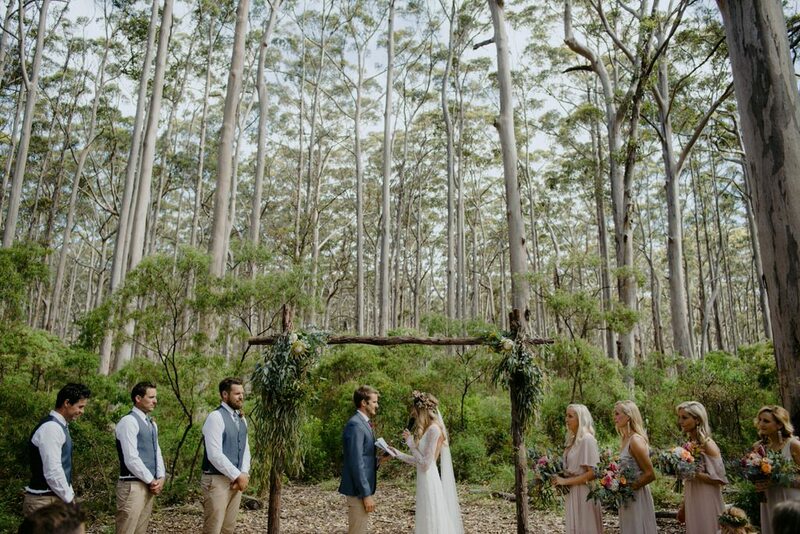 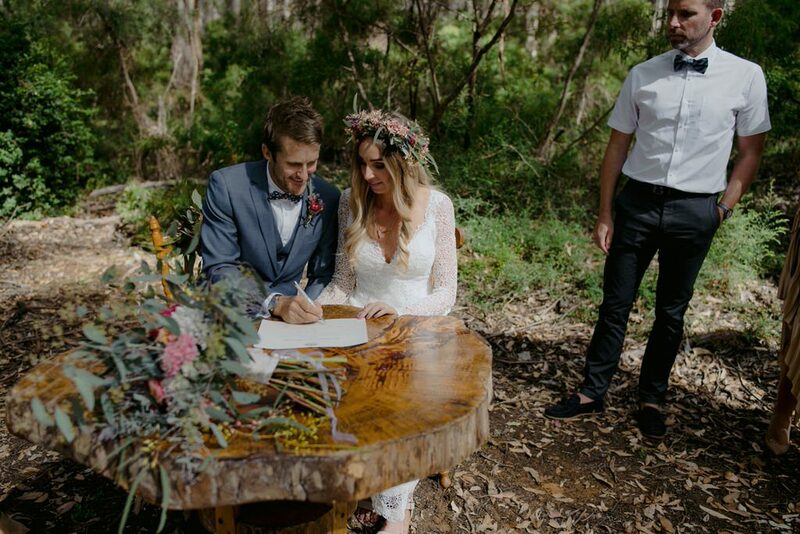 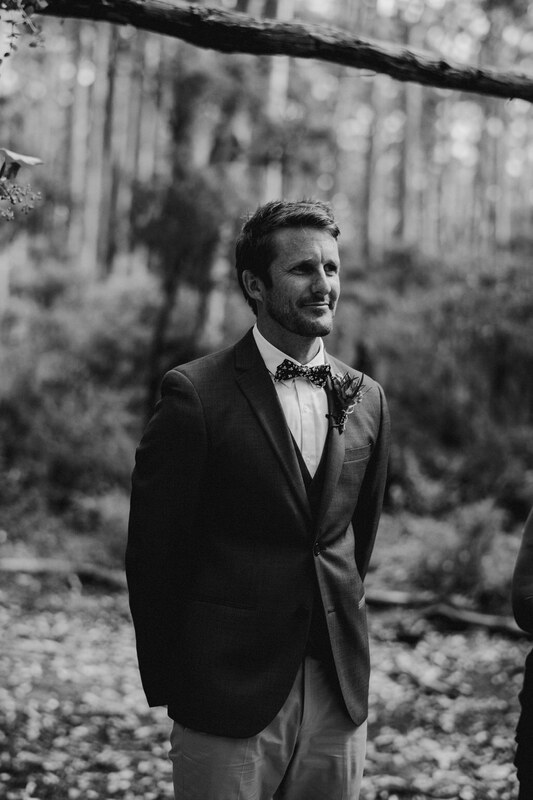 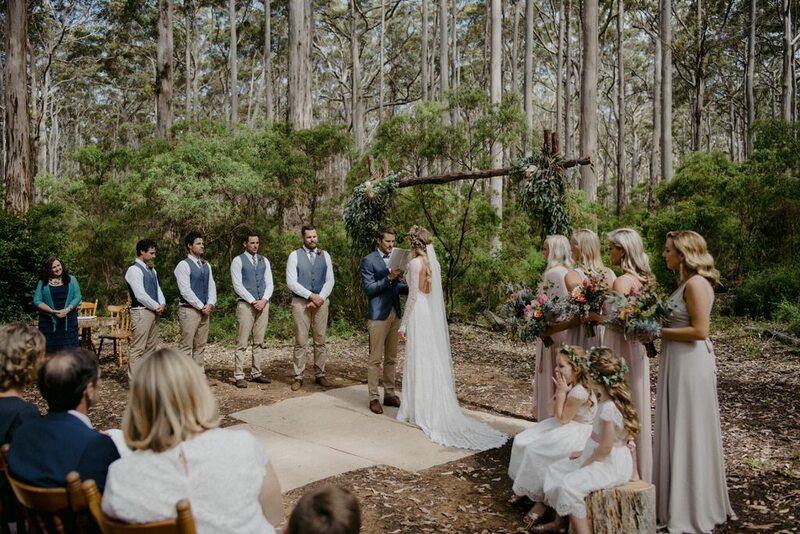 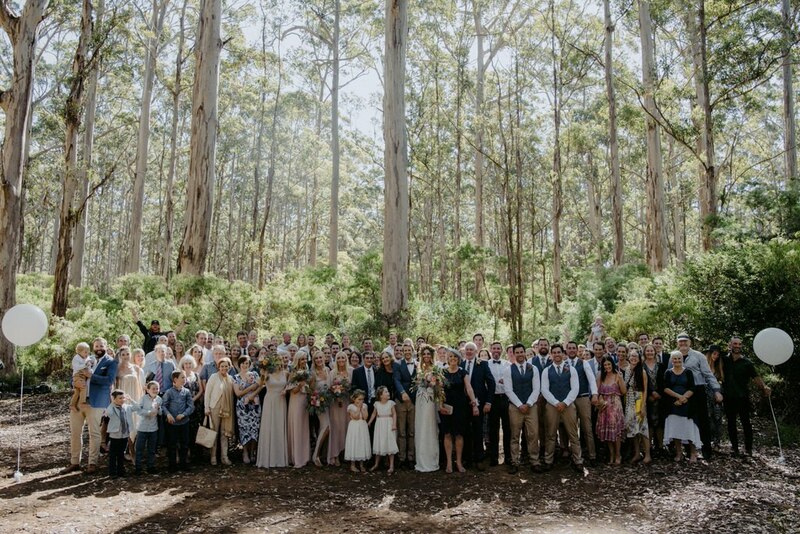 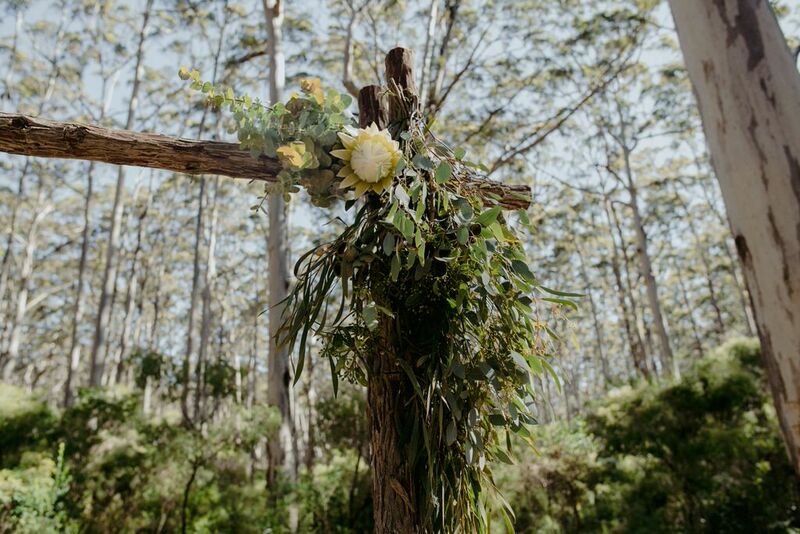 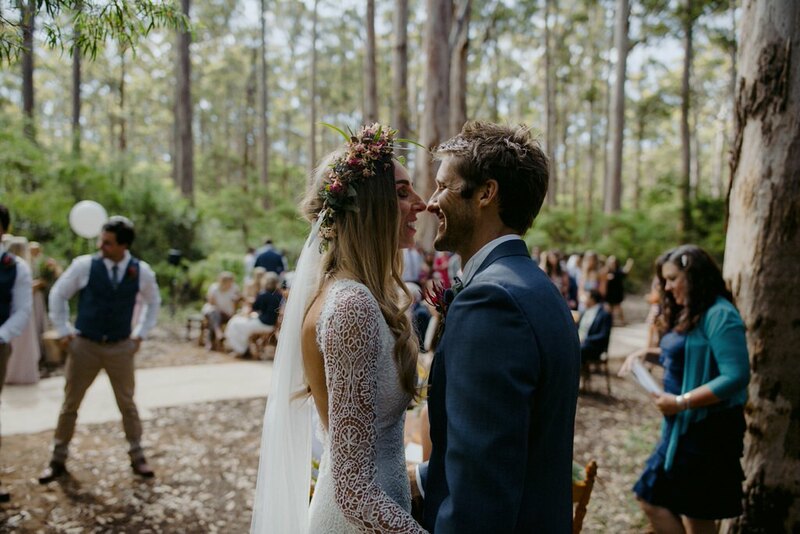 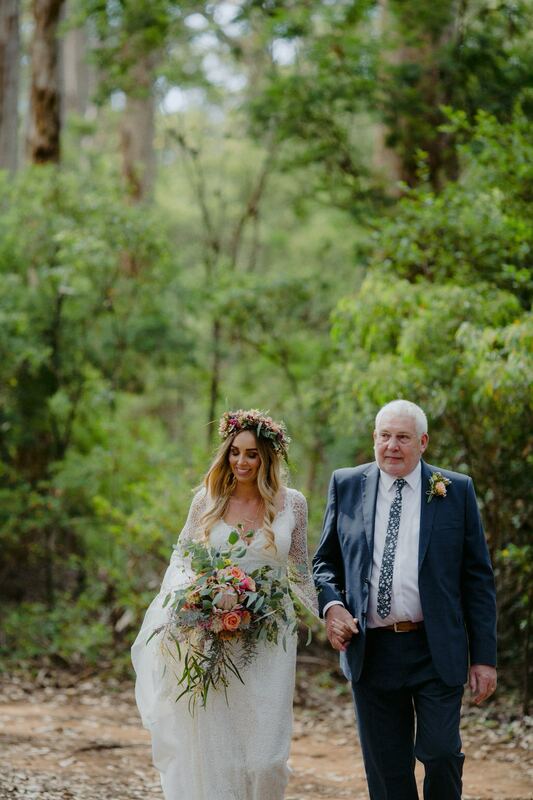 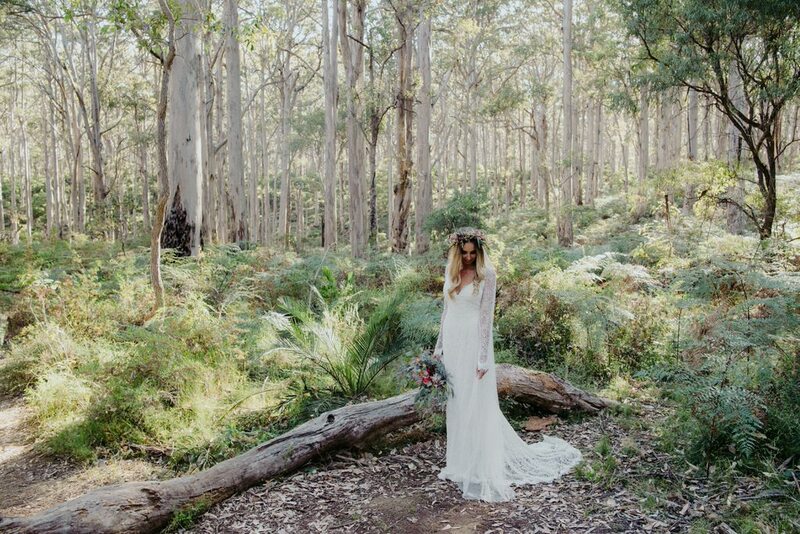 Jo & Joel held their ceremony in the beautiful Boranup forest near Margaret River, arriving in style in their 4×4. 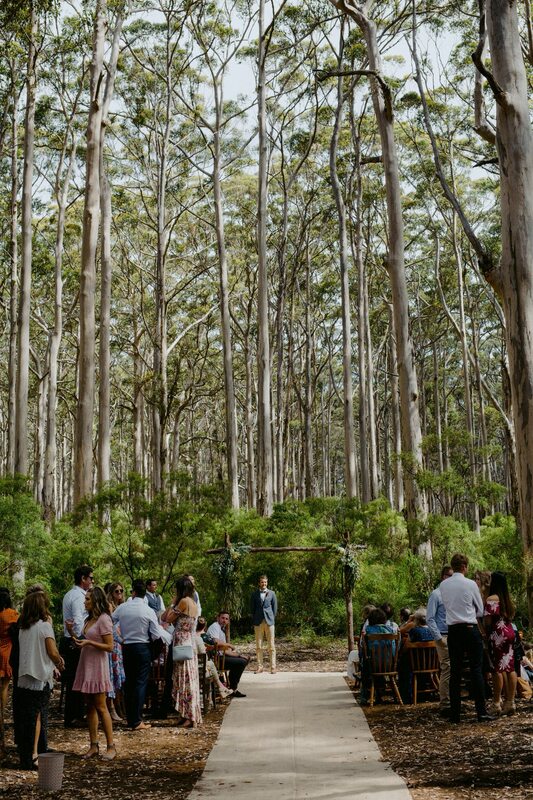 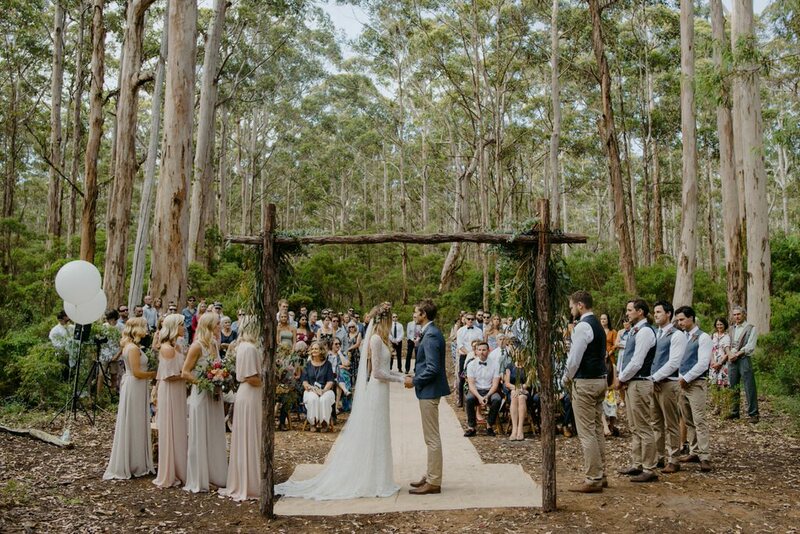 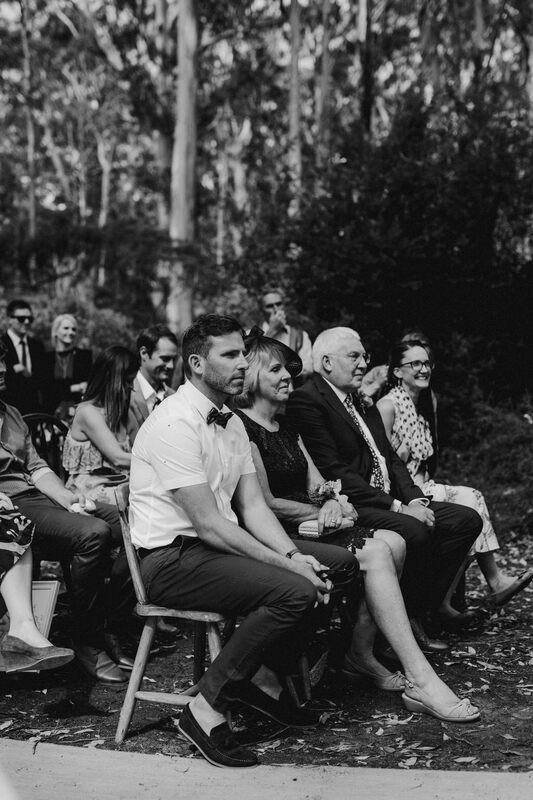 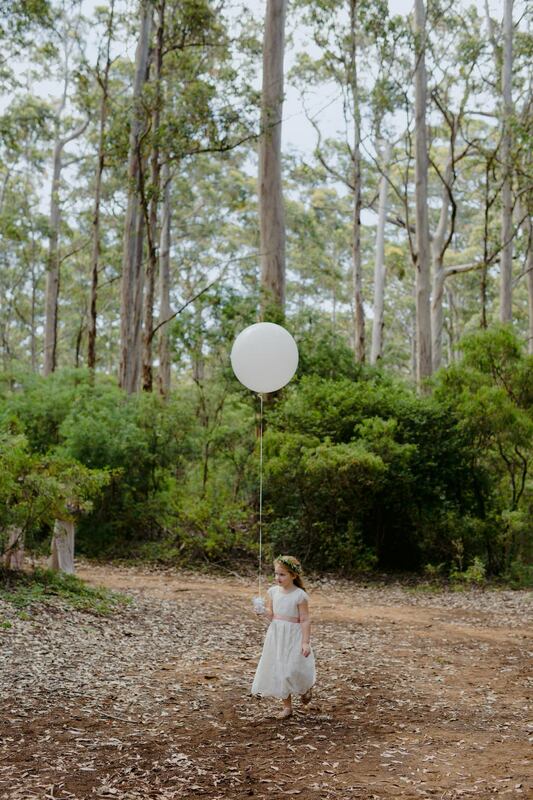 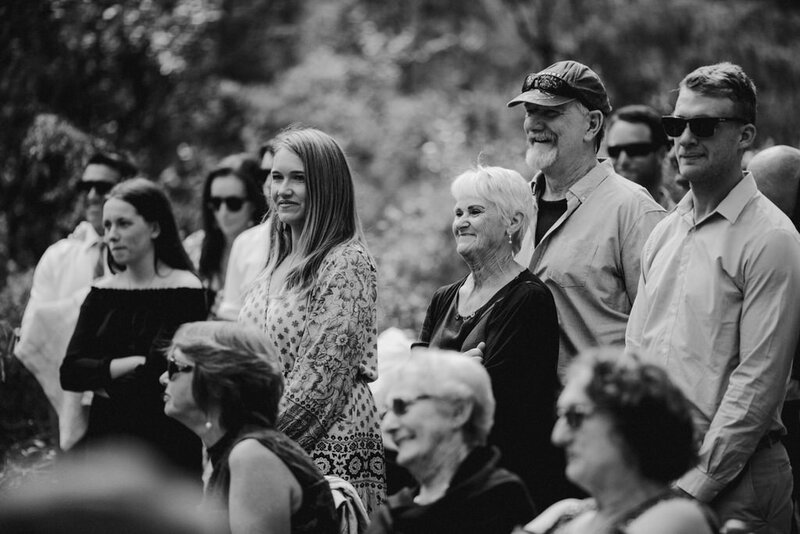 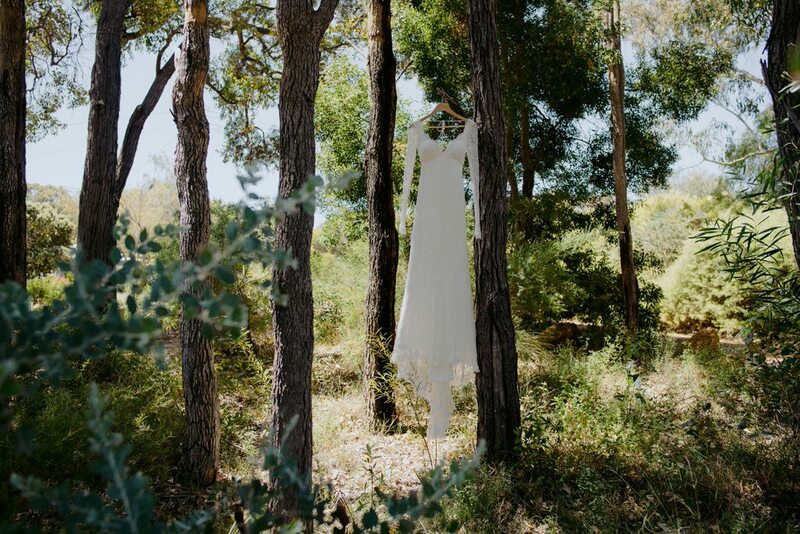 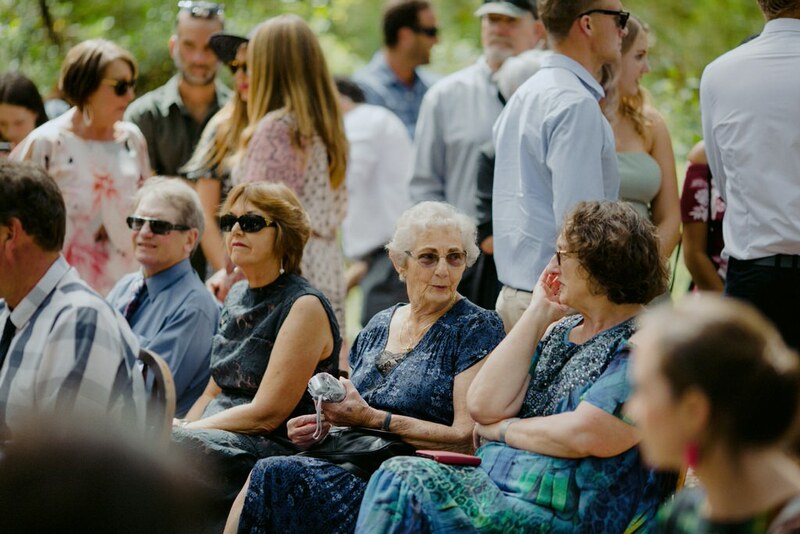 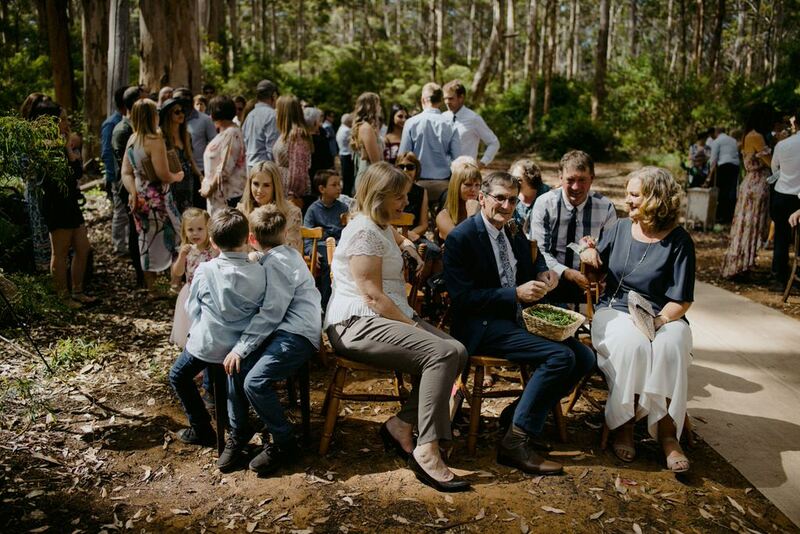 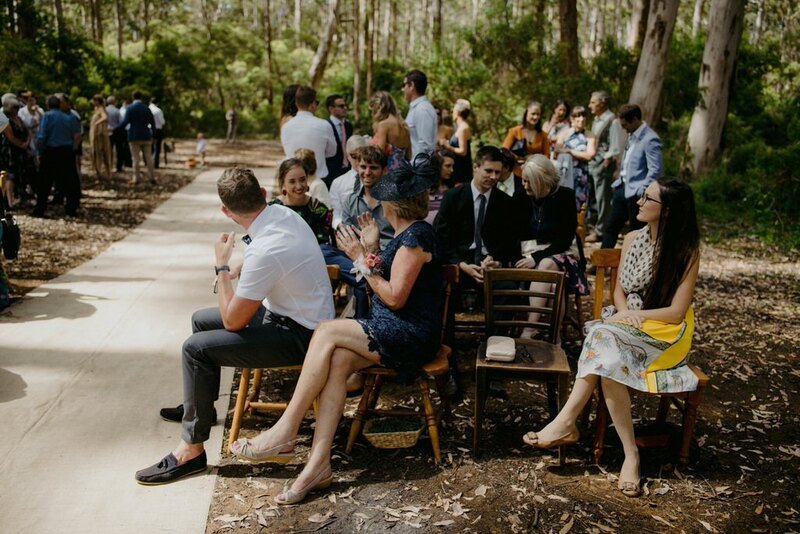 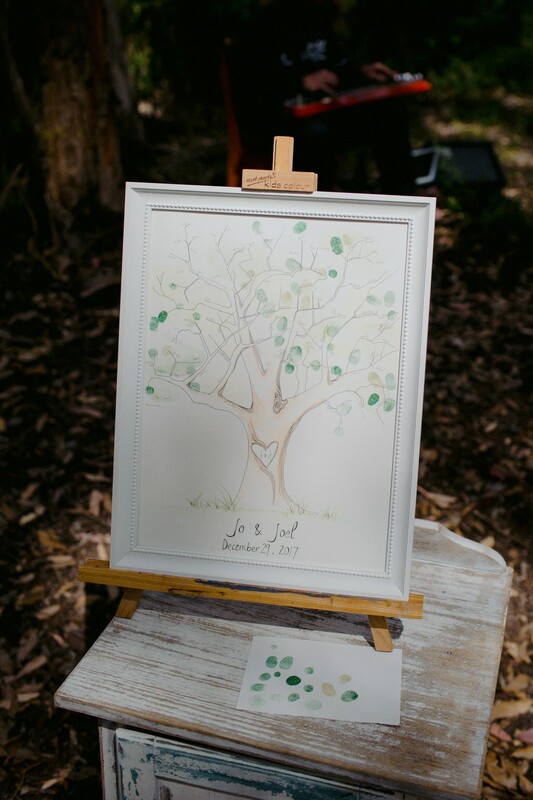 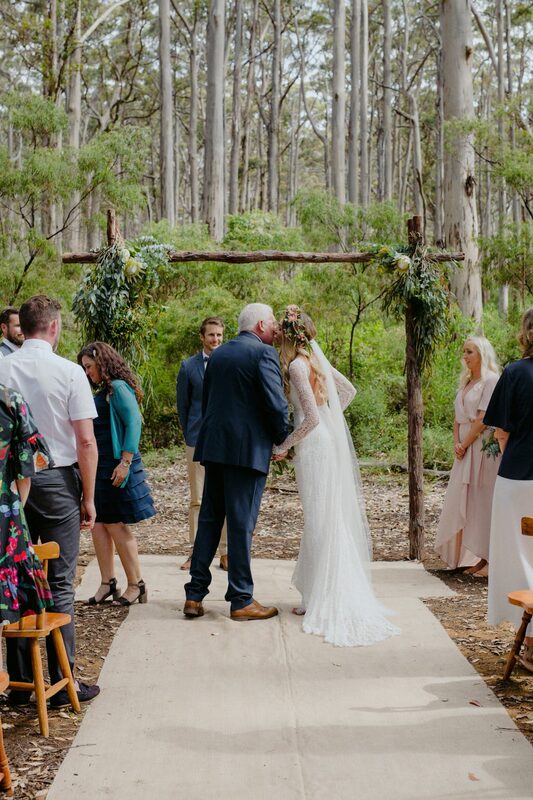 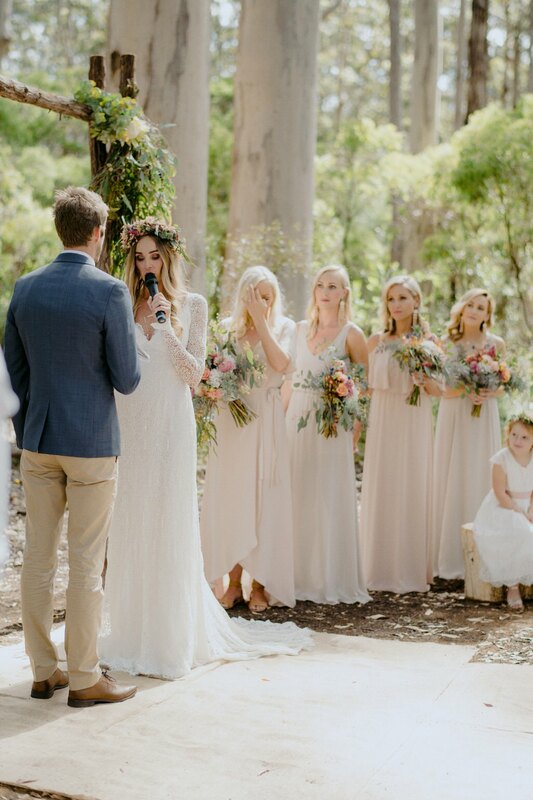 Being a very hot/sunny summer day, the shade from the tall karri trees made this the perfect location for a ceremony. 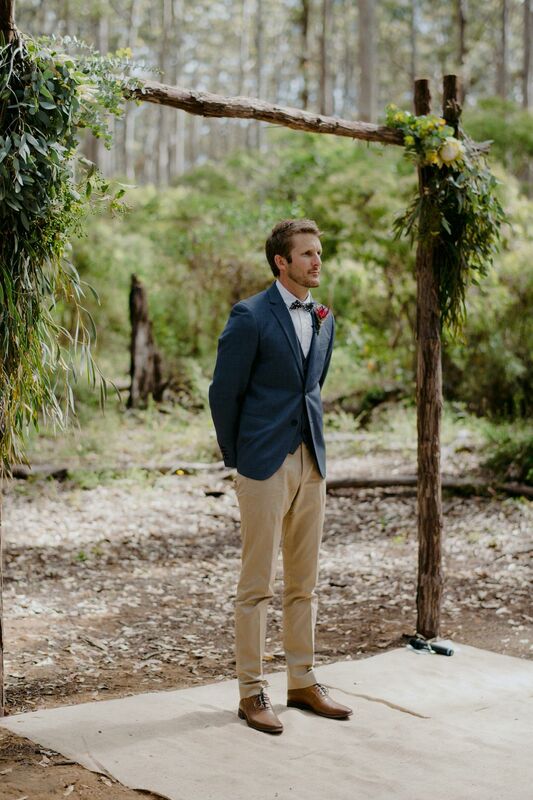 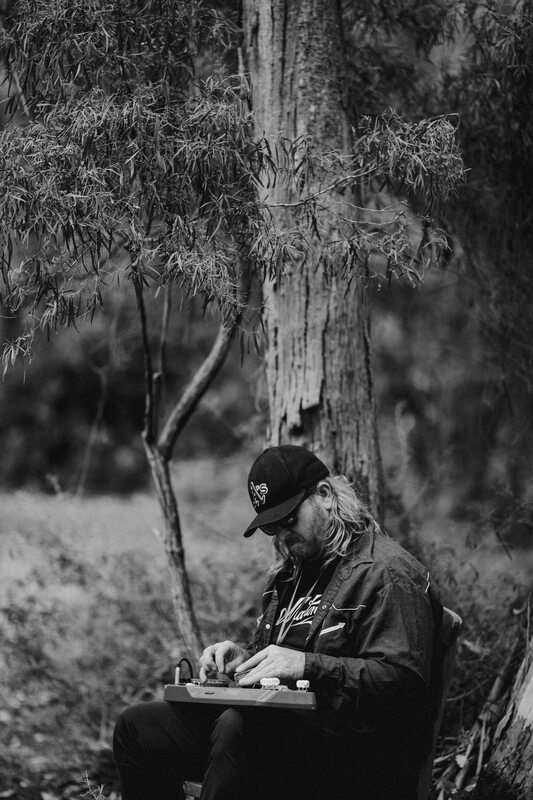 Joel and his dad collected the dead branches for the arbor, cherished each one for 3 months so that its bark didn’t fall of and secured it beautifully in the forest the morning of the wedding. 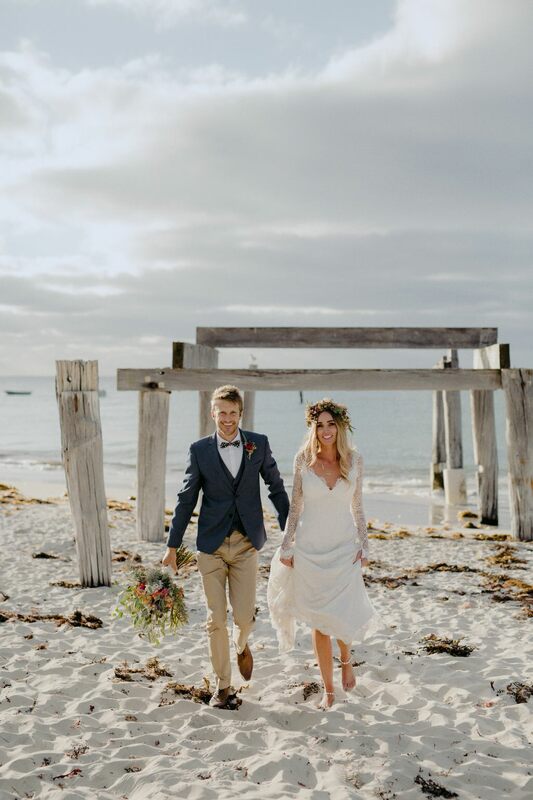 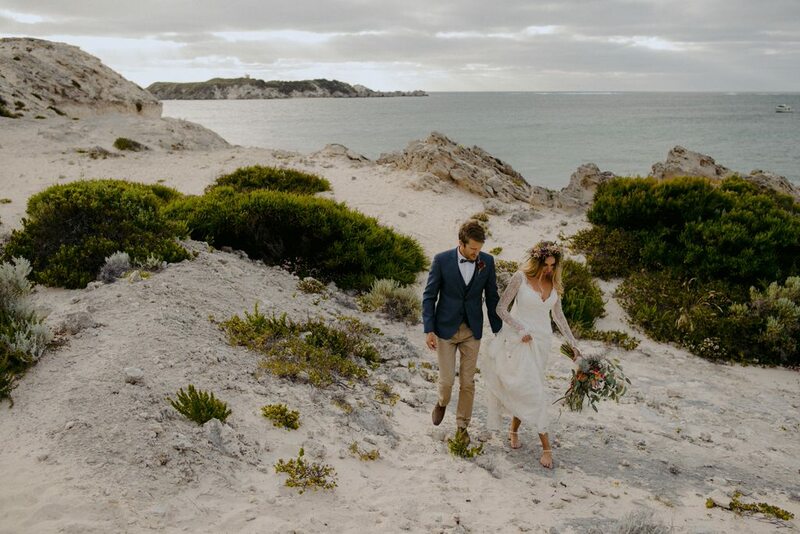 After the ceremony, we then went to Hamelin bay, a nearby beach camping spot where the Jo & Joel often spend their holidays with family and friends. 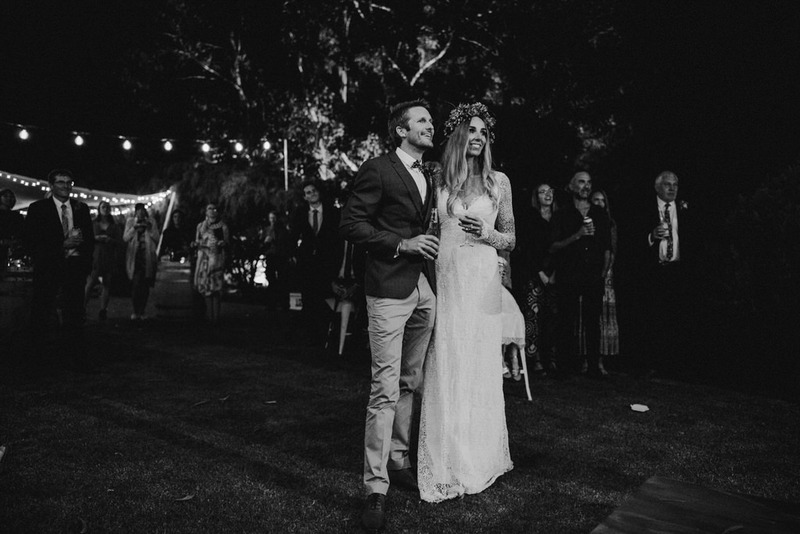 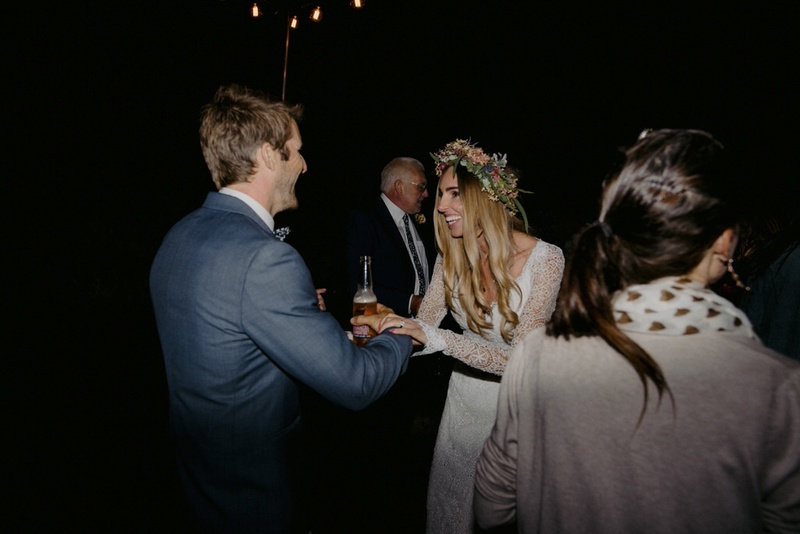 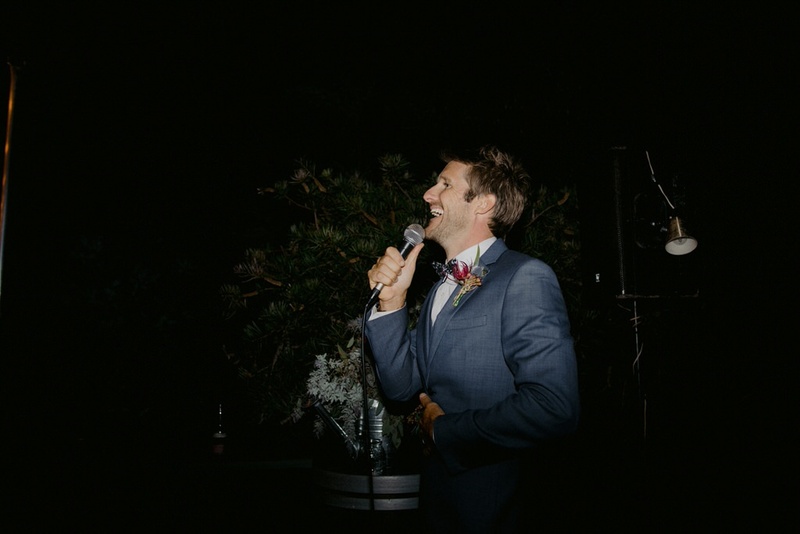 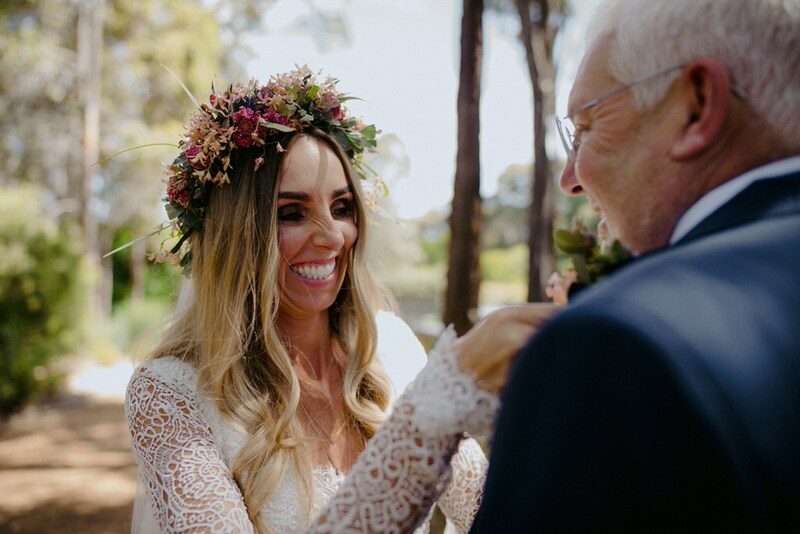 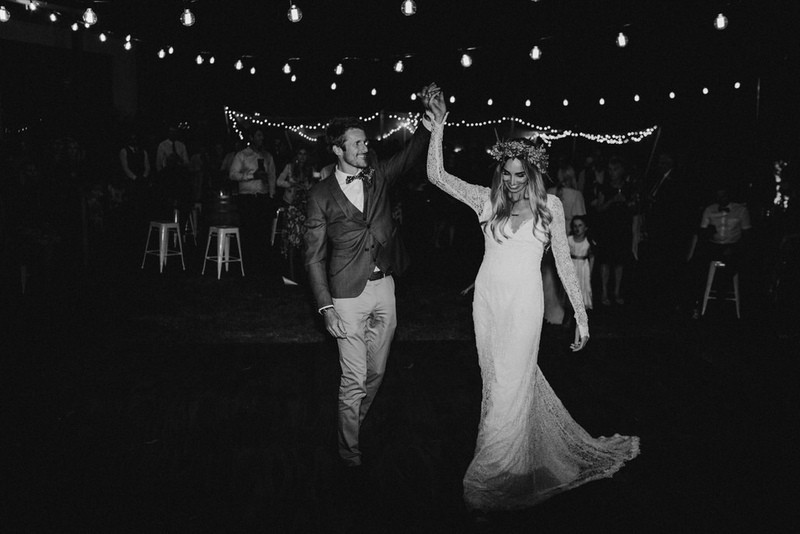 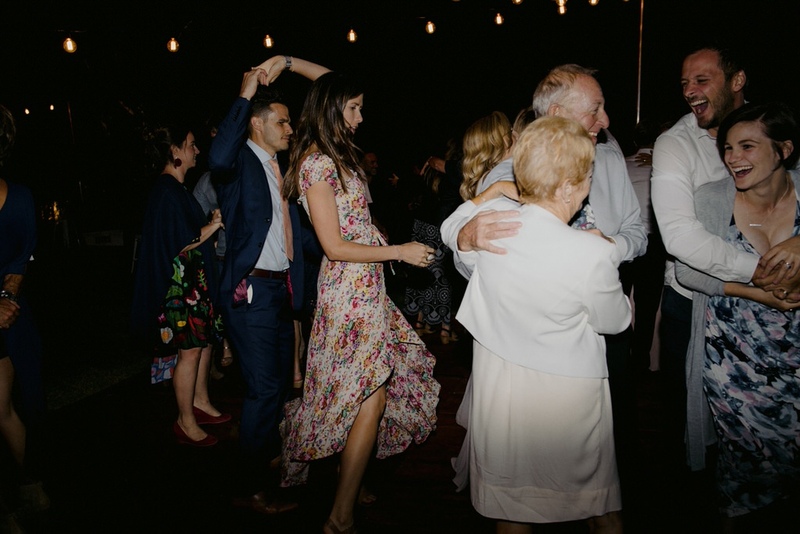 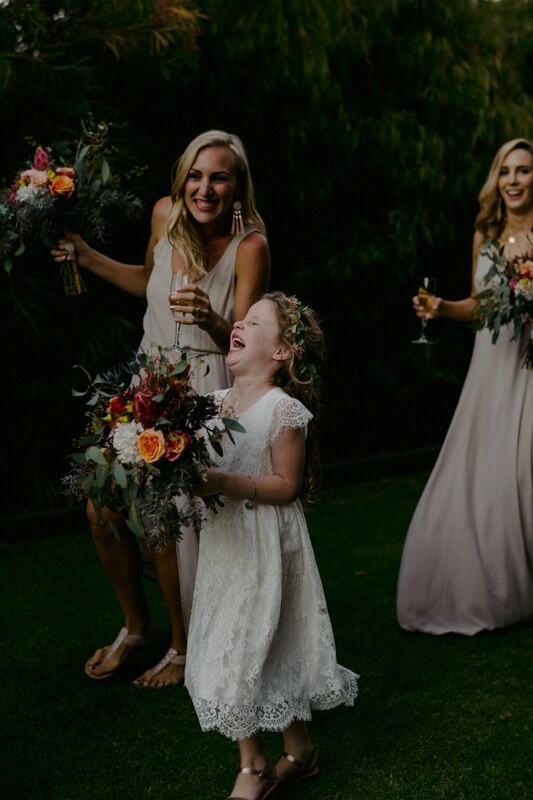 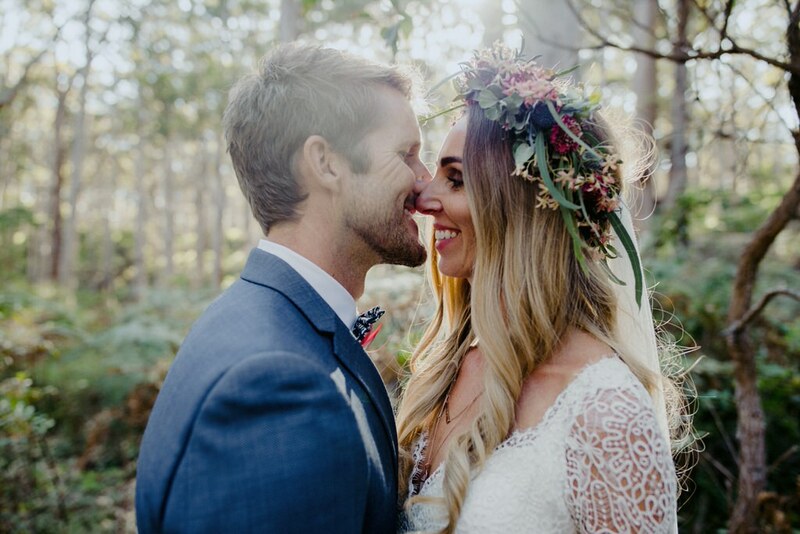 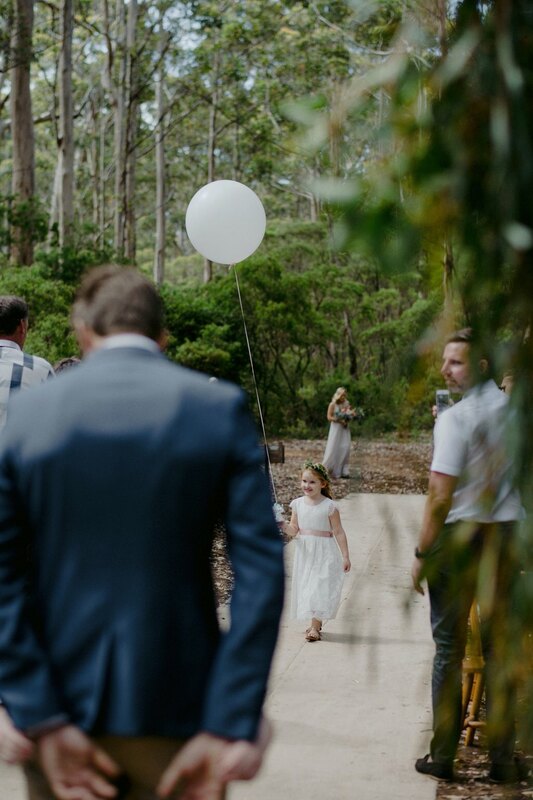 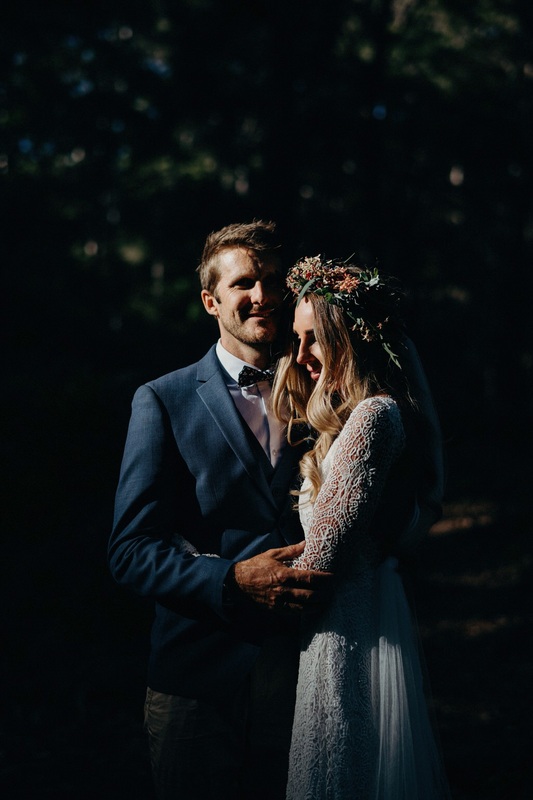 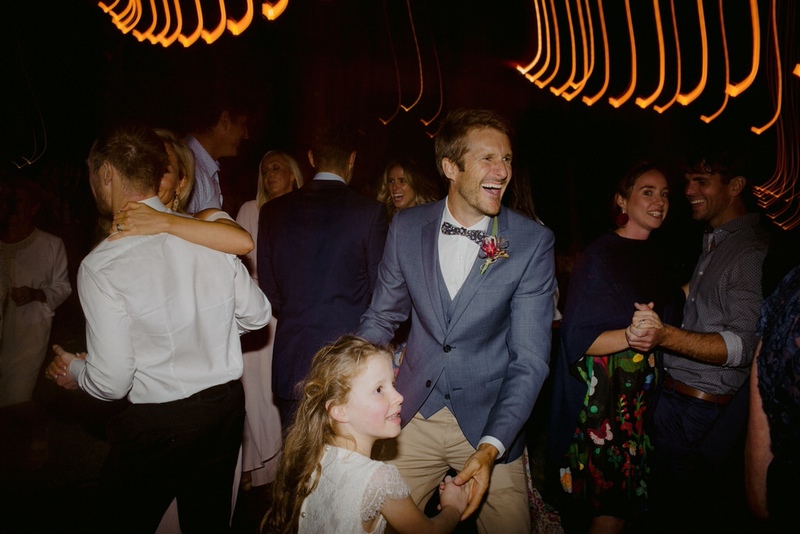 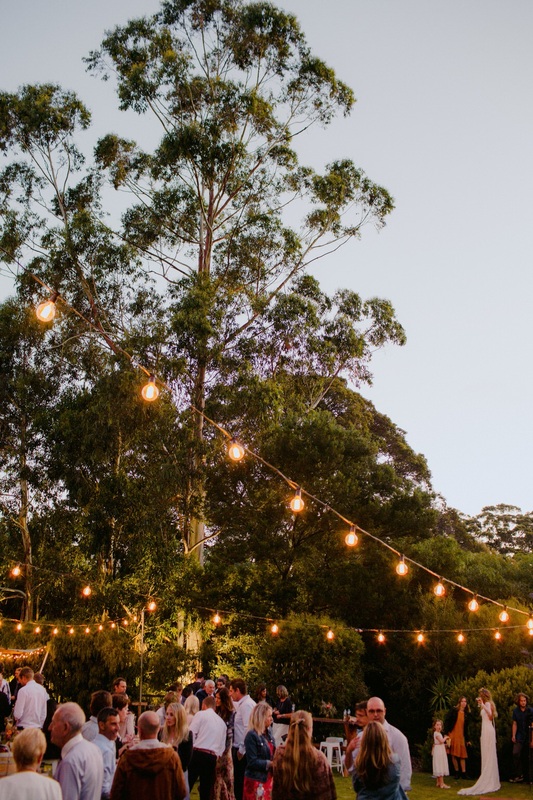 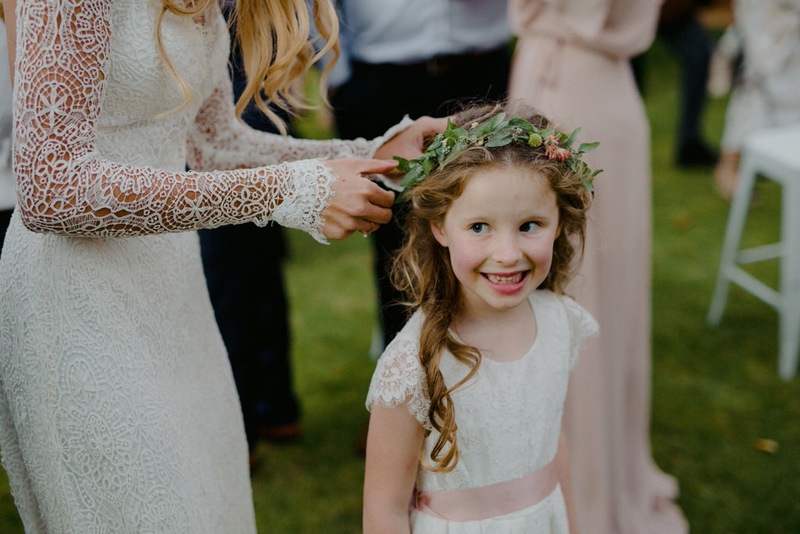 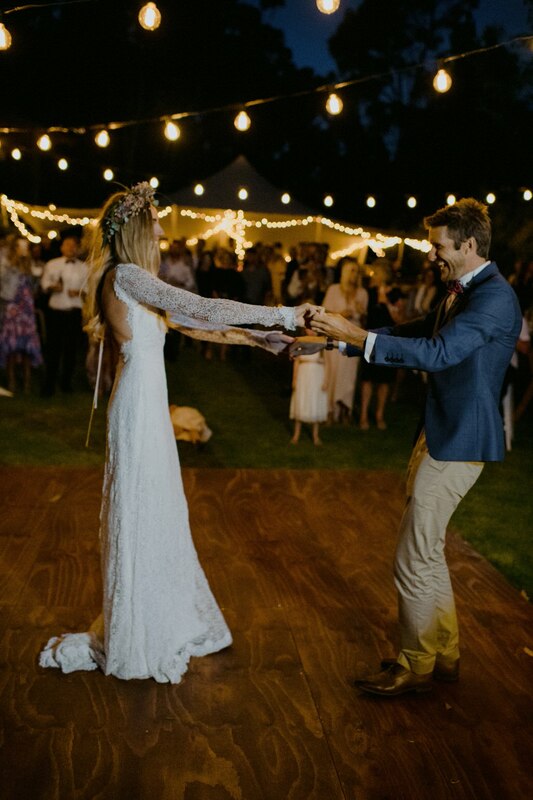 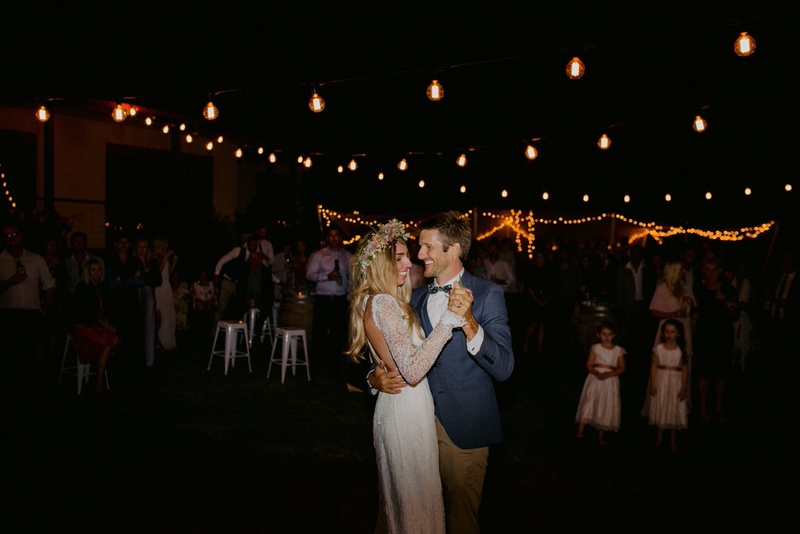 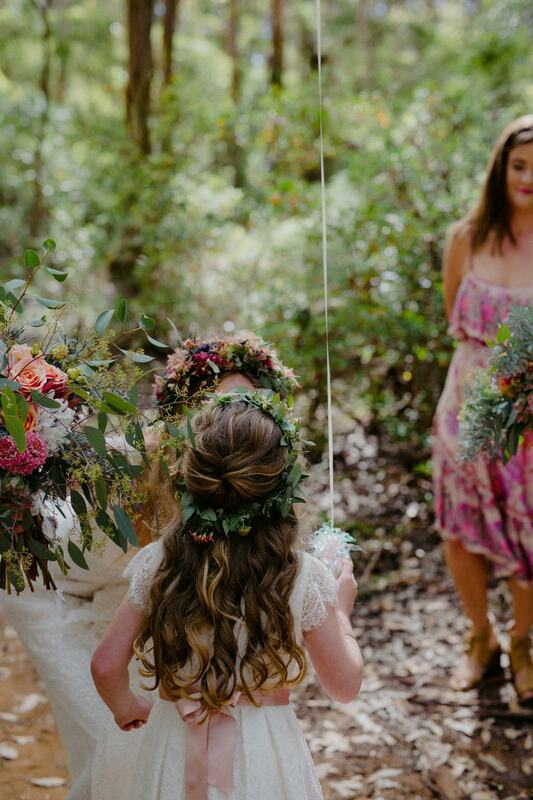 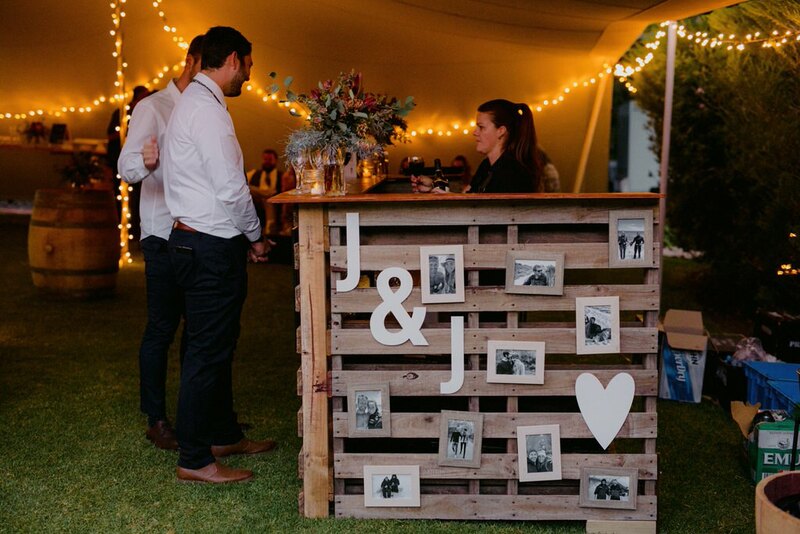 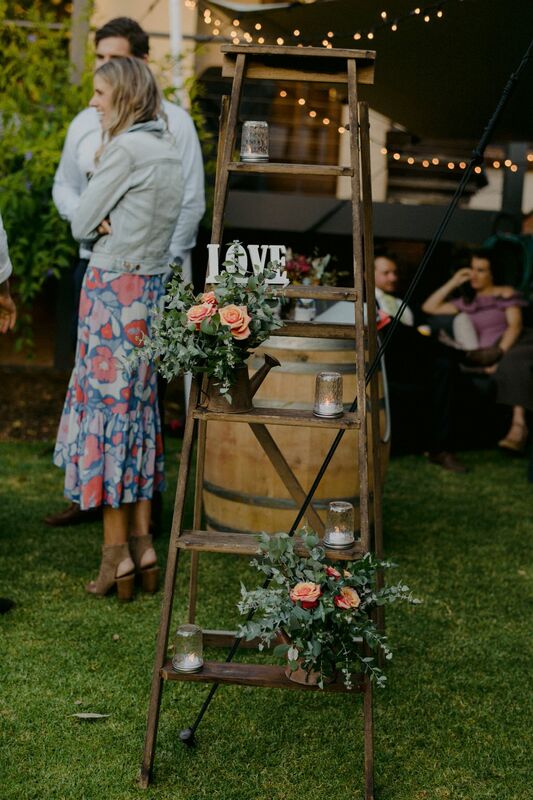 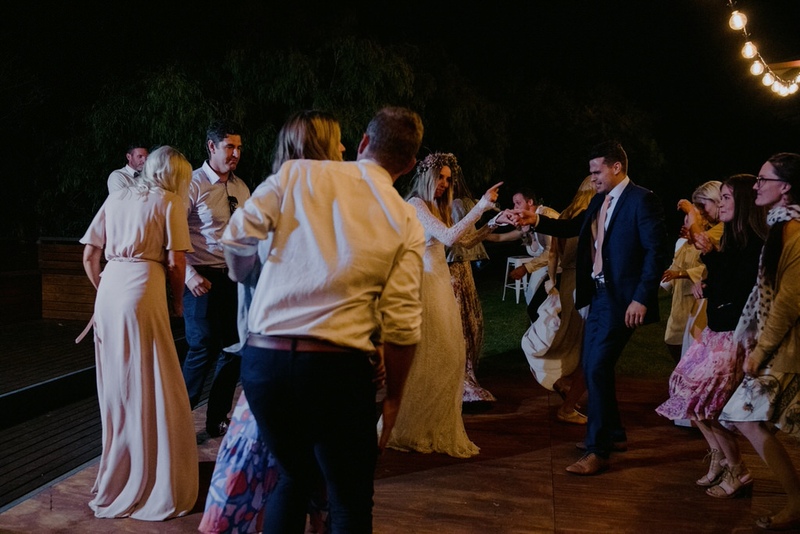 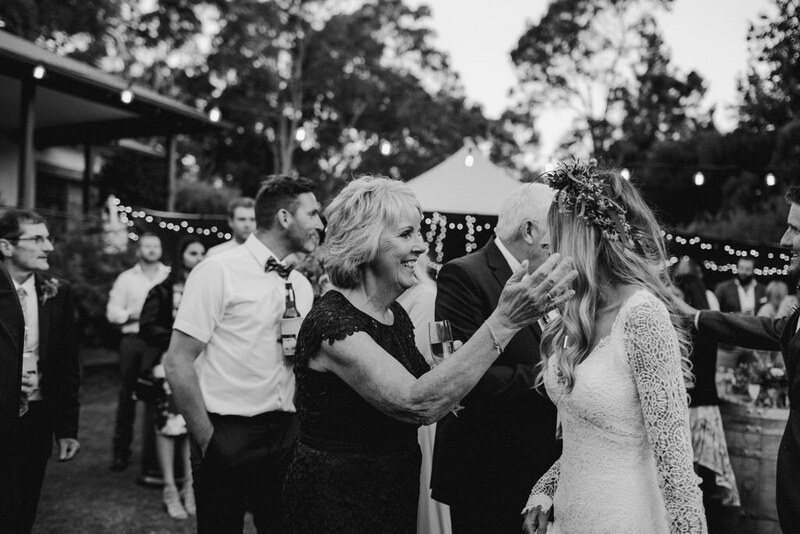 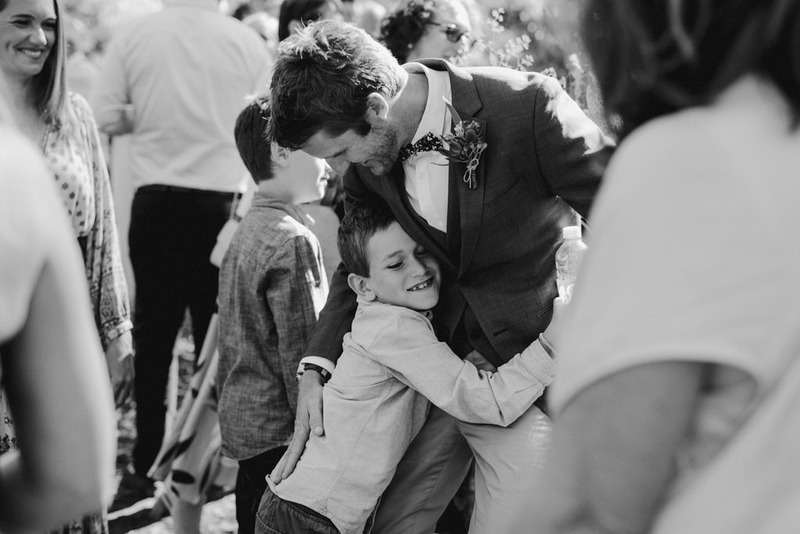 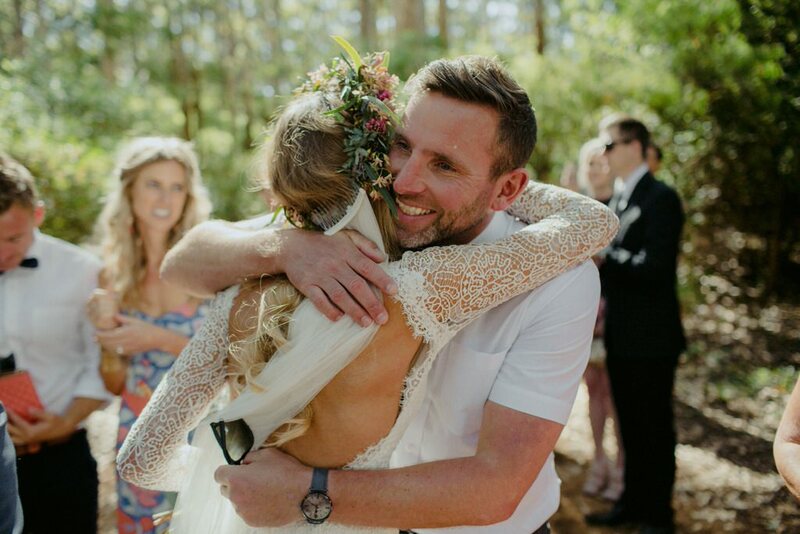 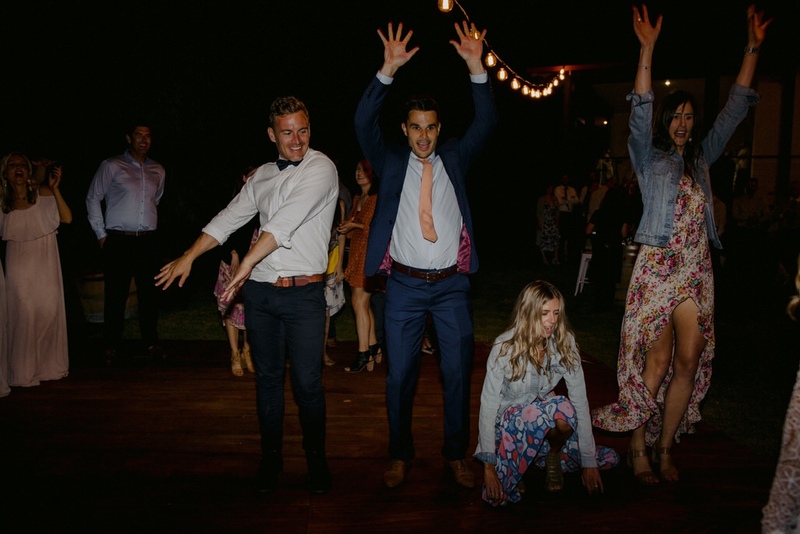 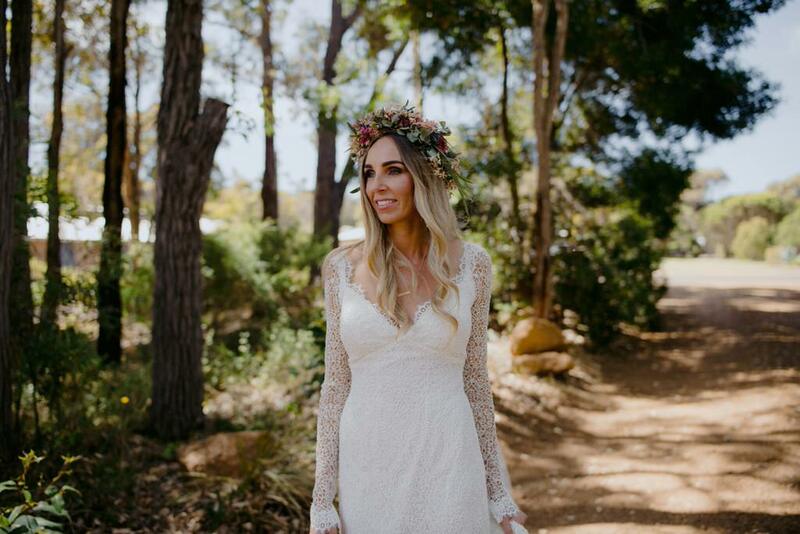 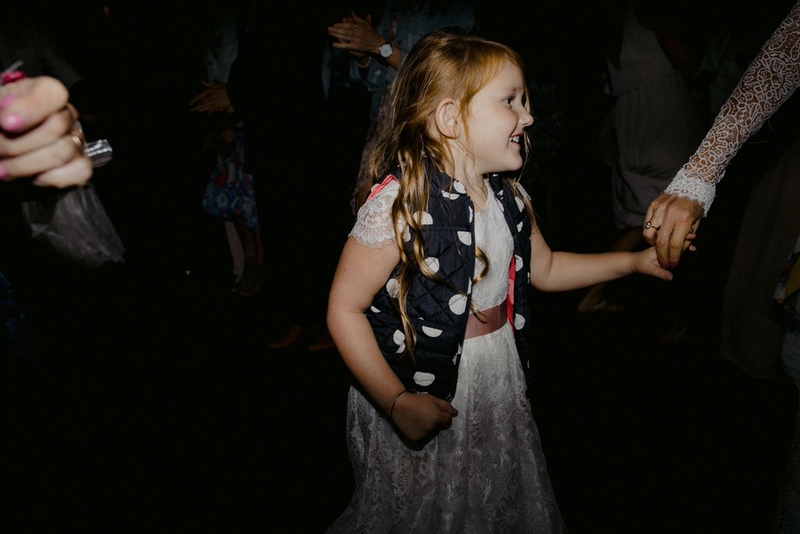 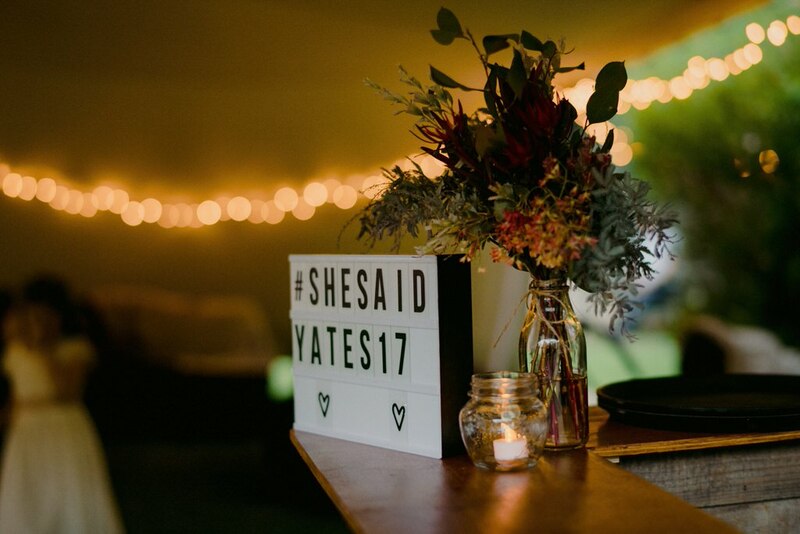 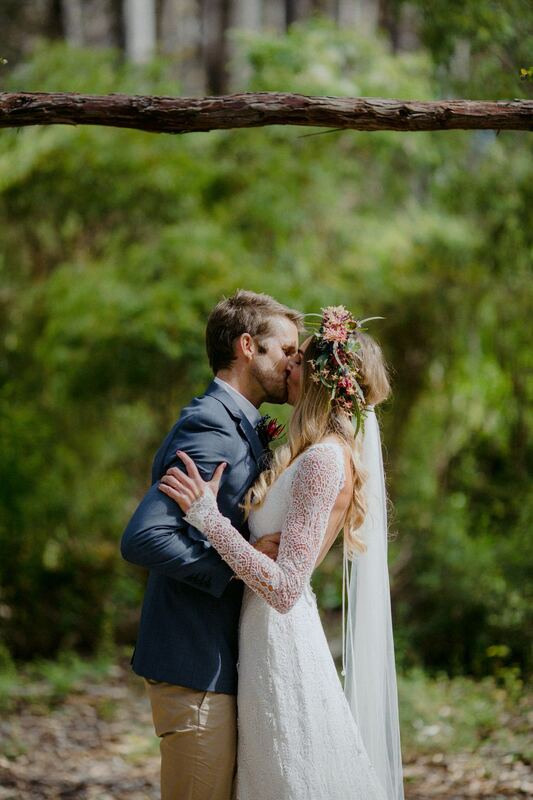 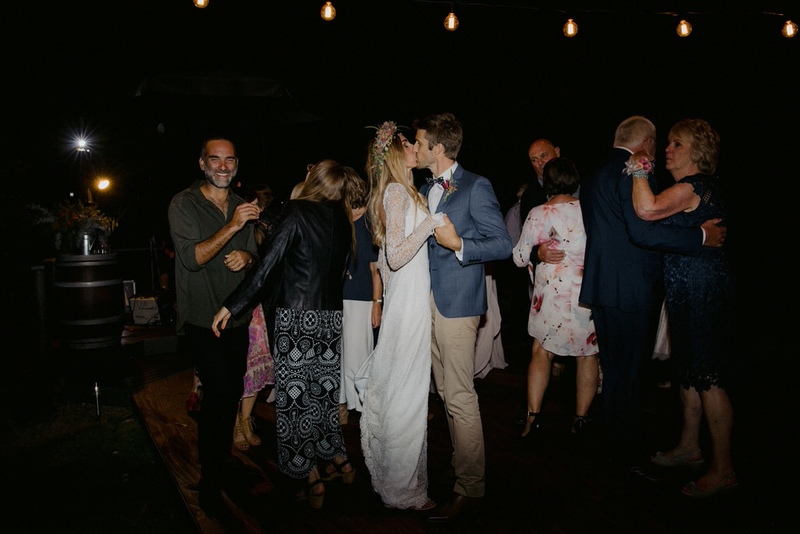 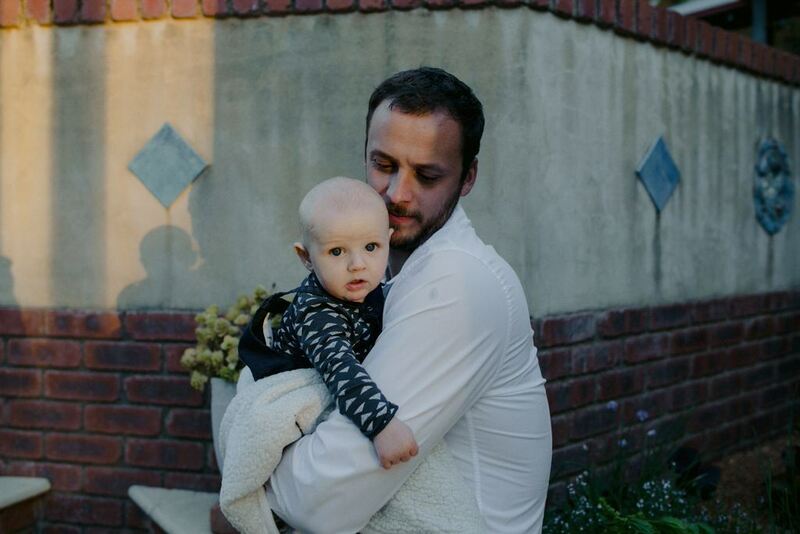 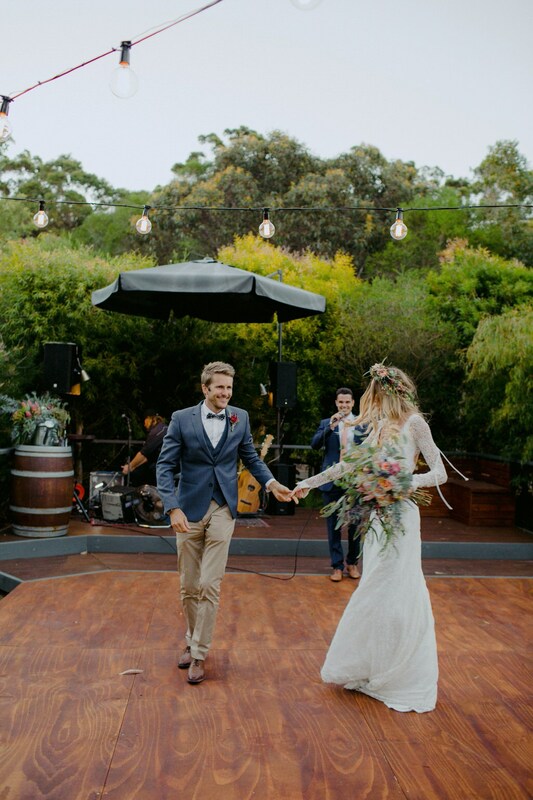 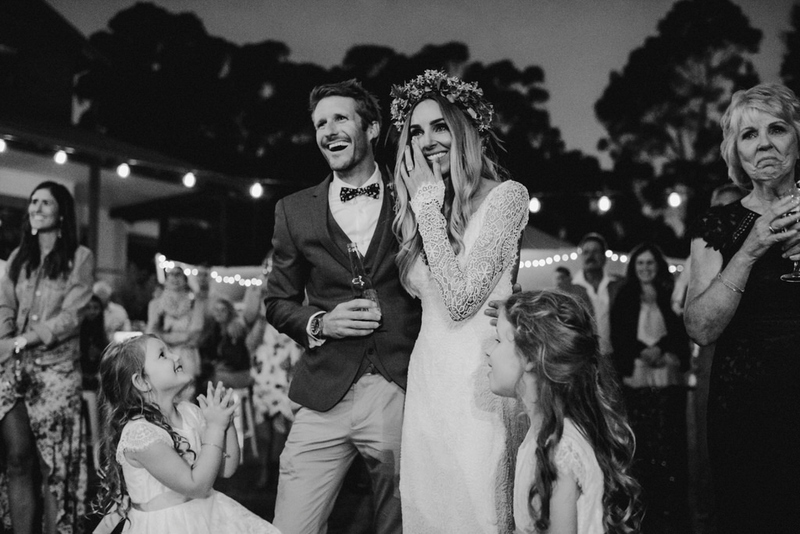 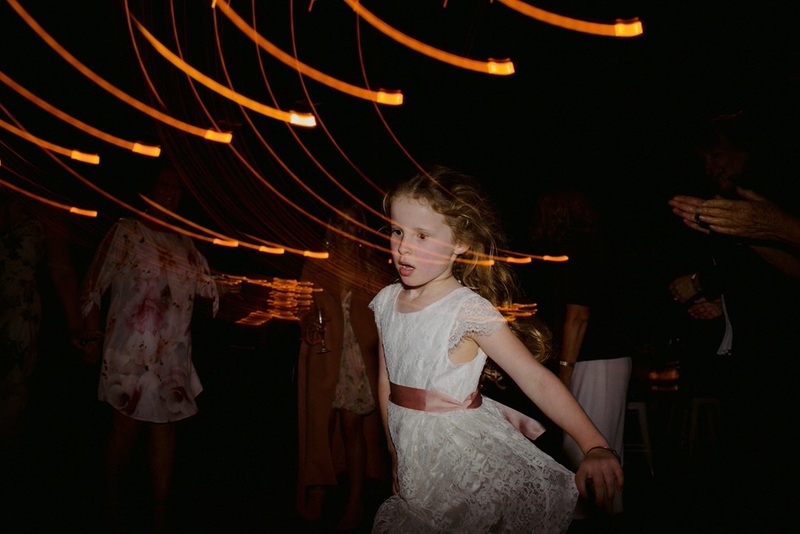 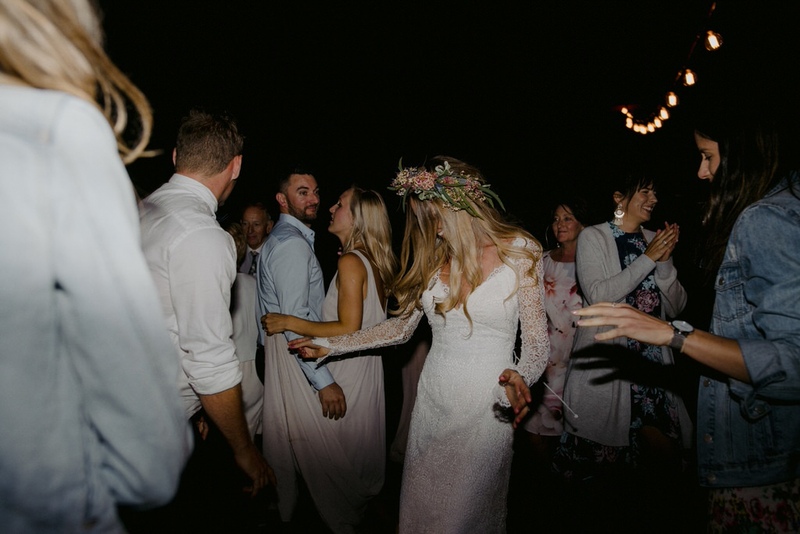 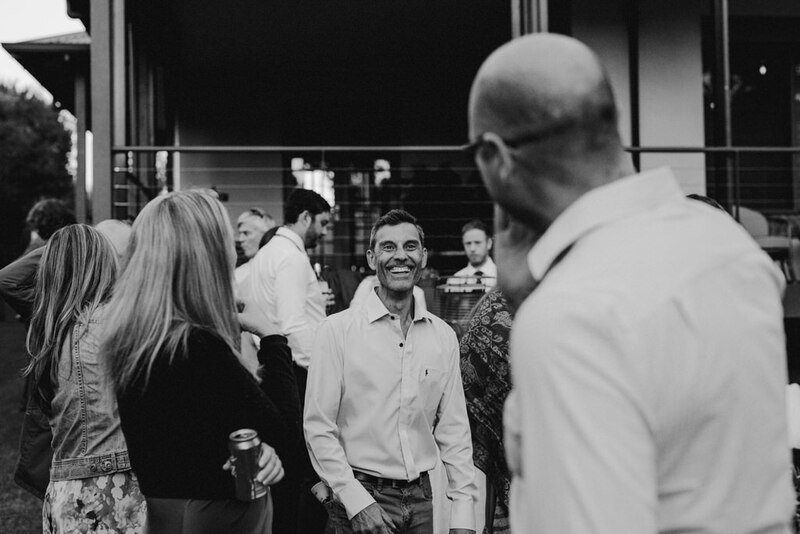 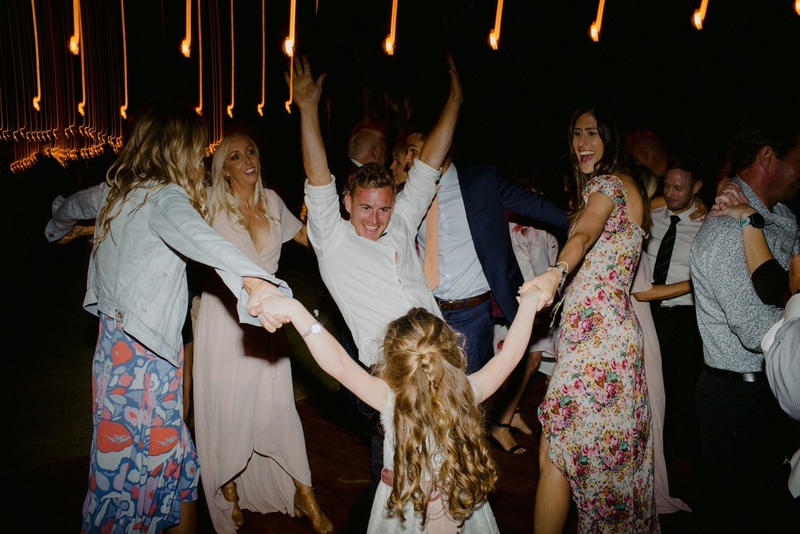 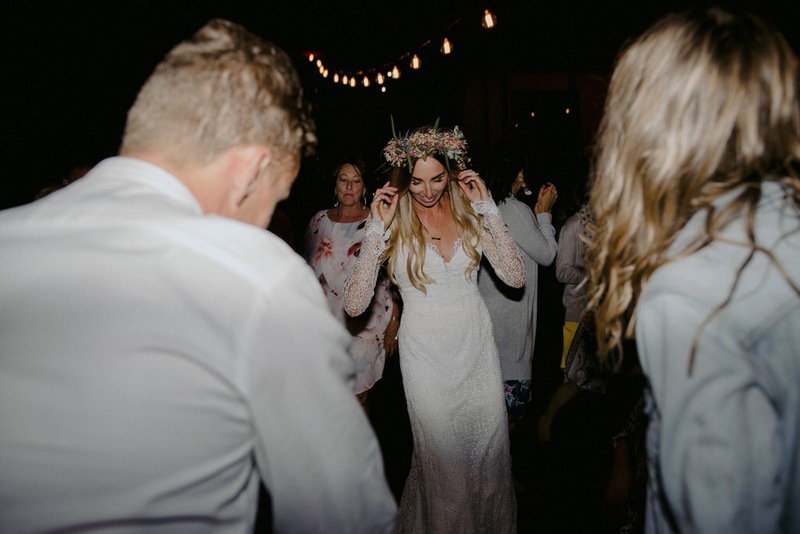 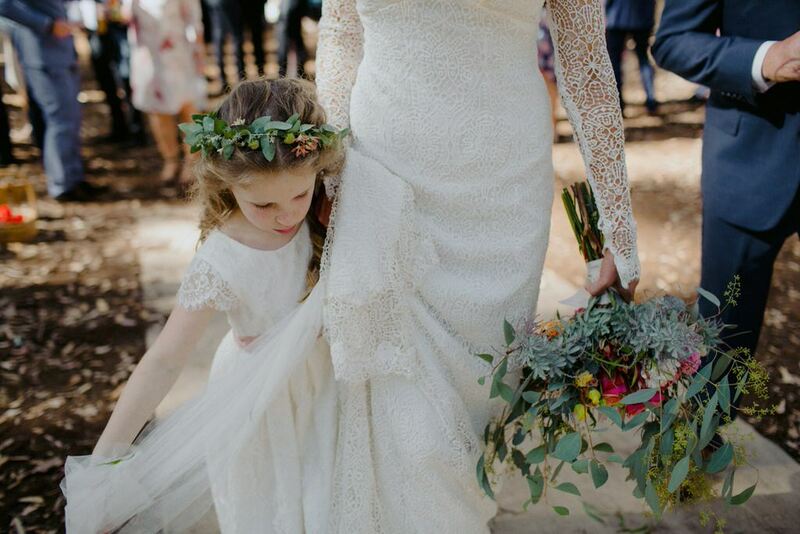 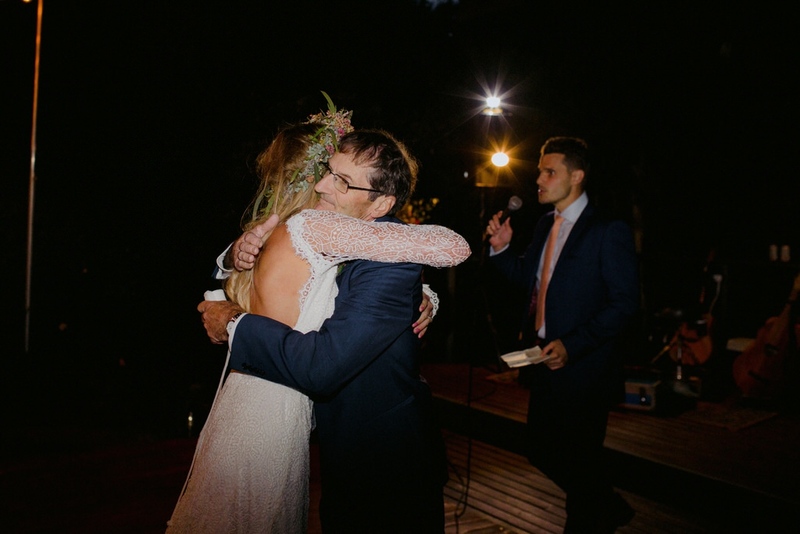 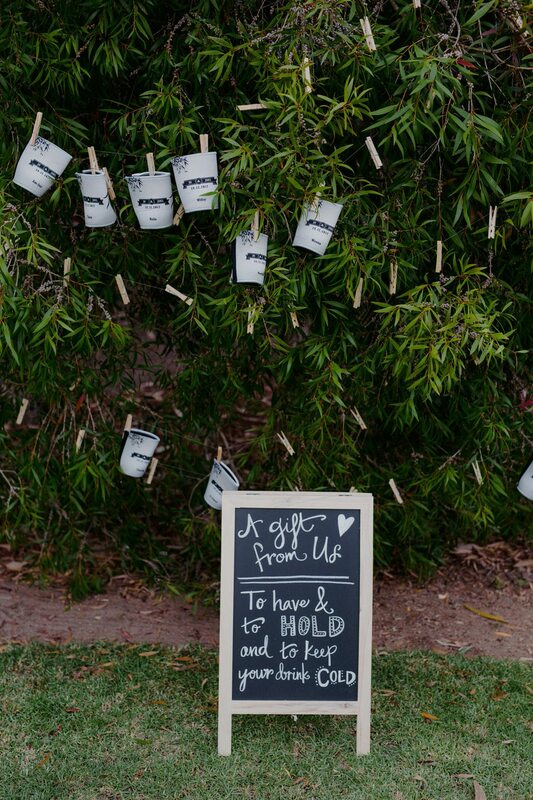 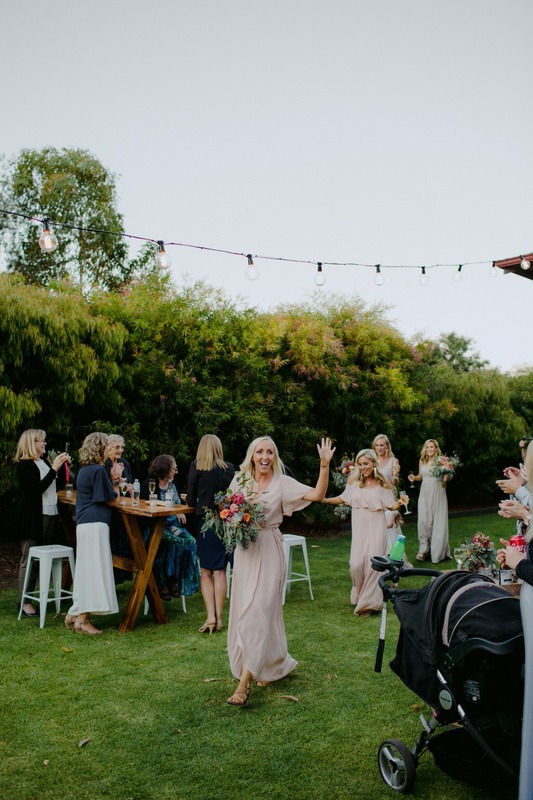 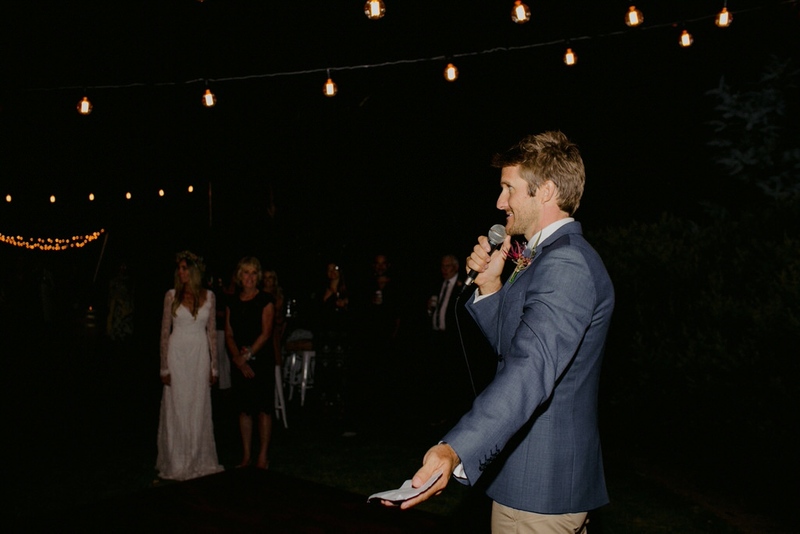 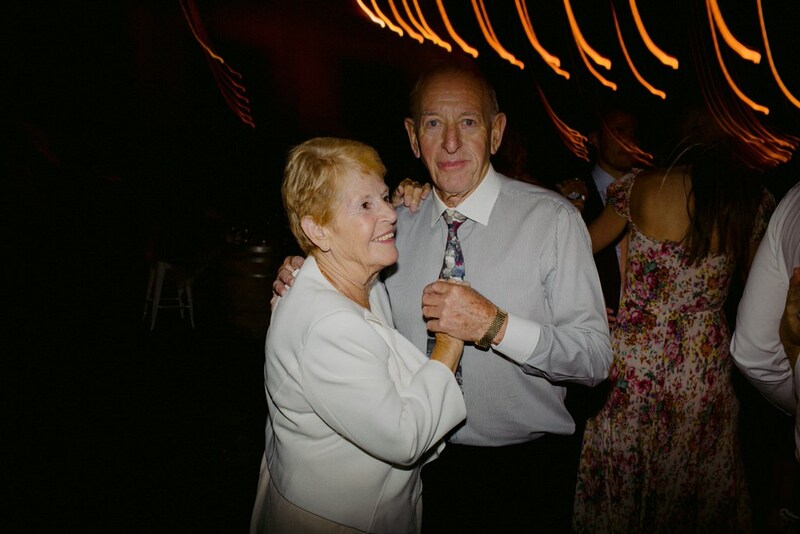 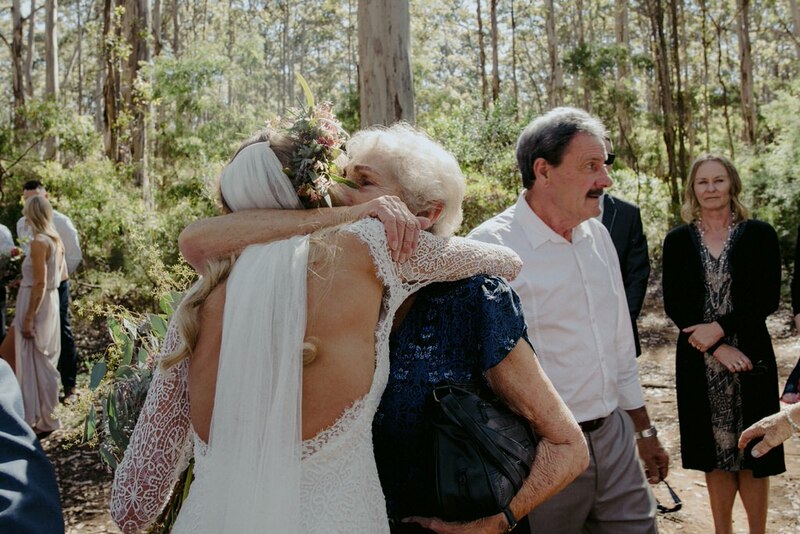 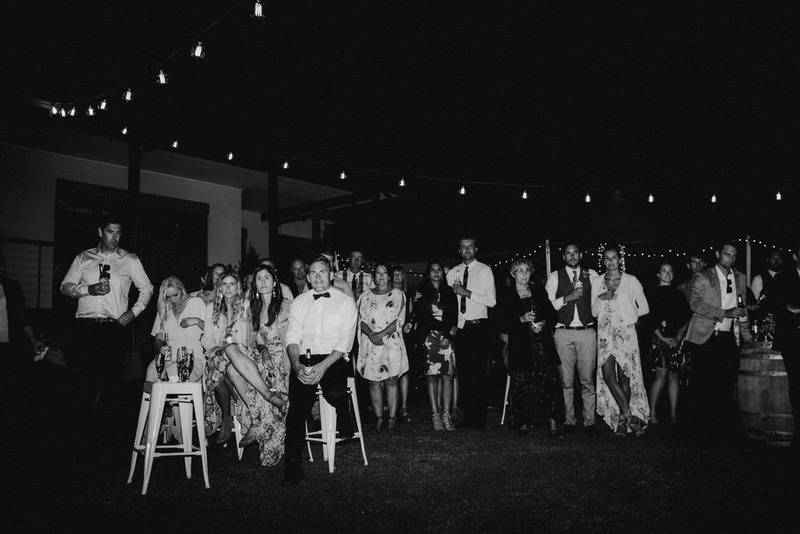 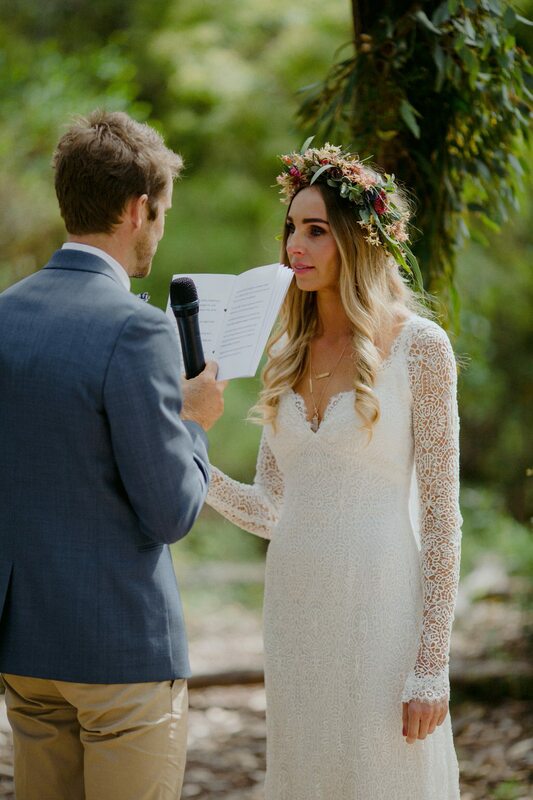 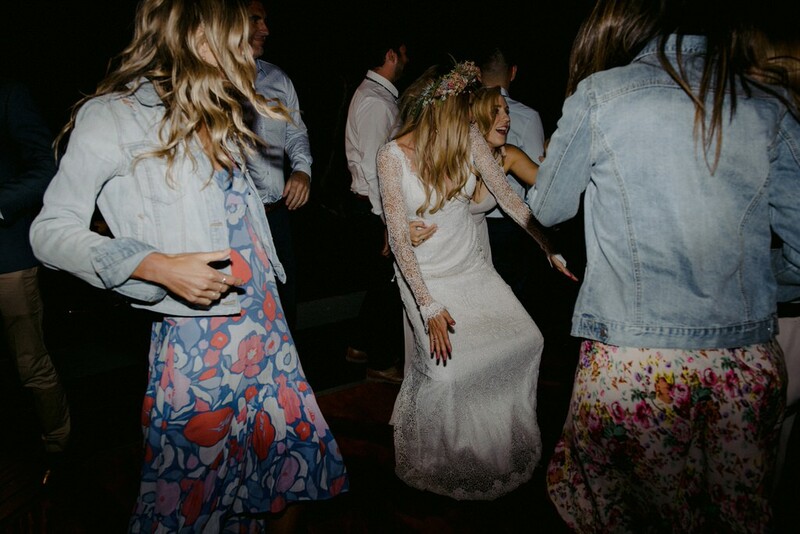 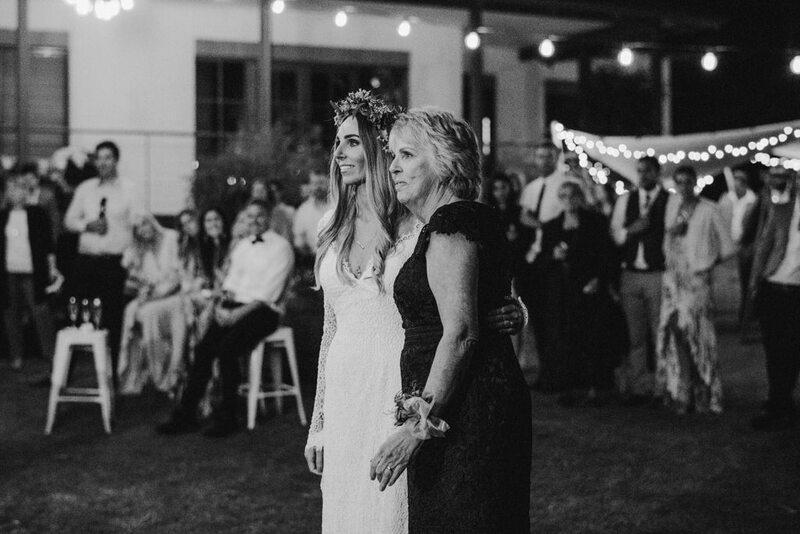 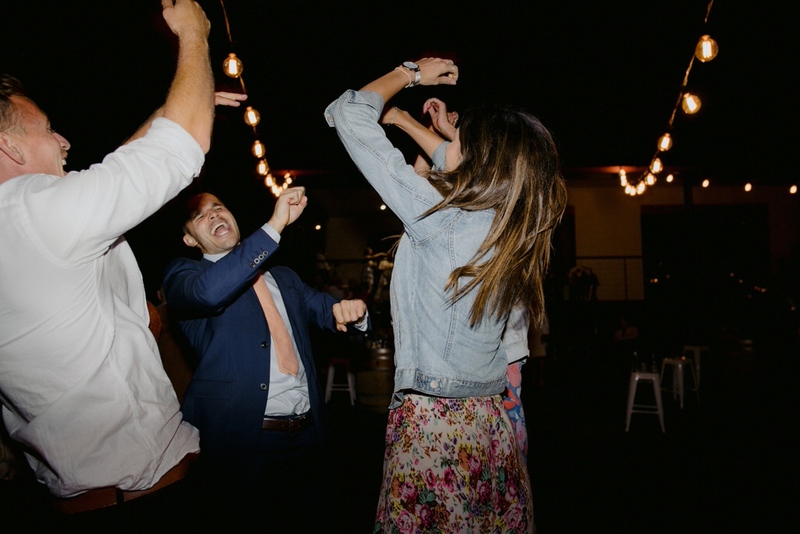 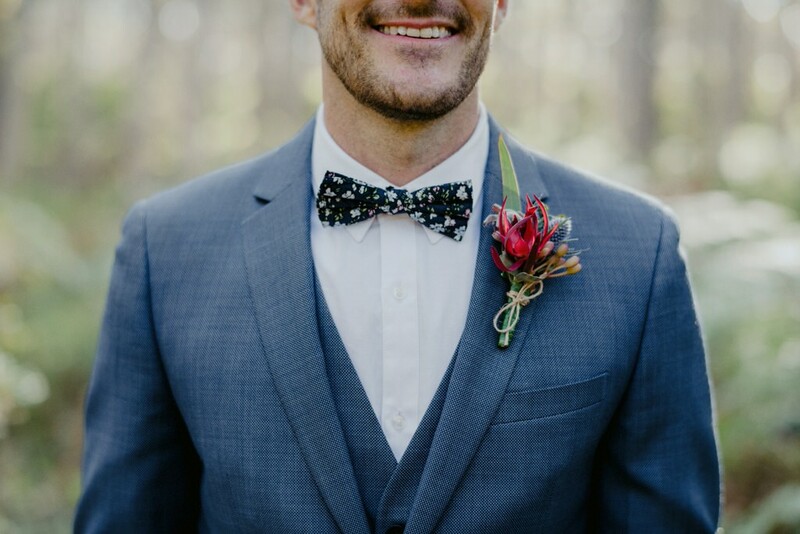 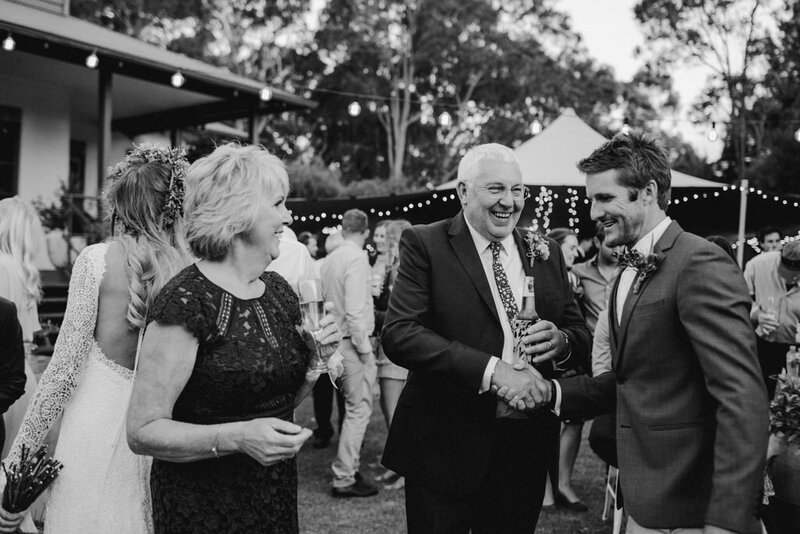 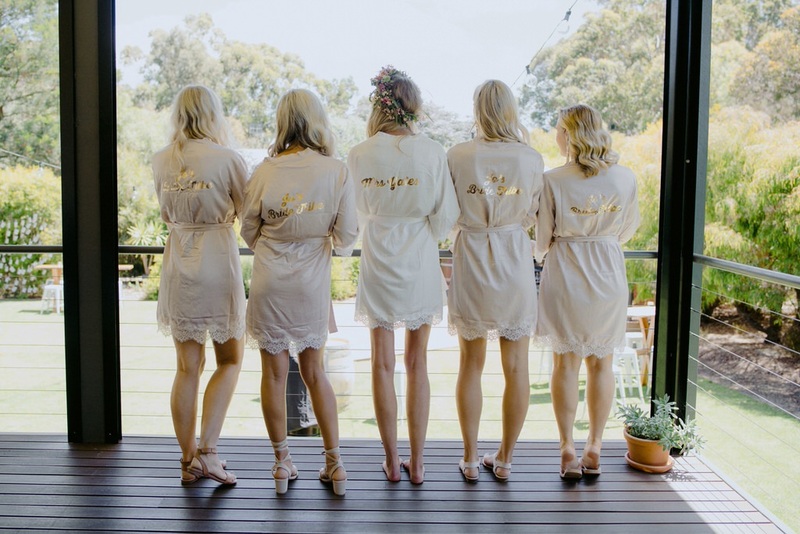 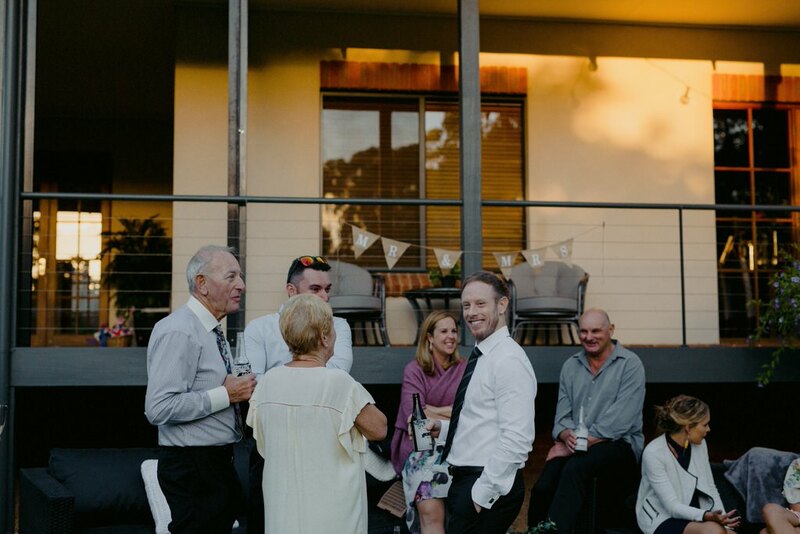 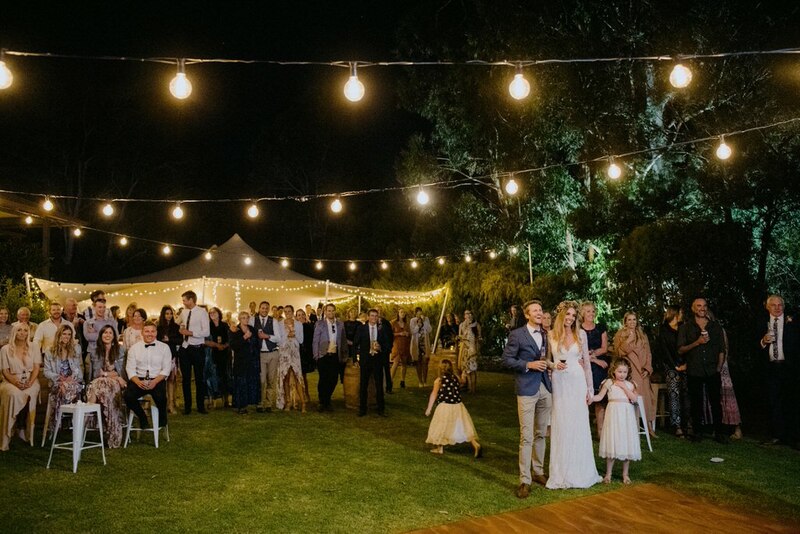 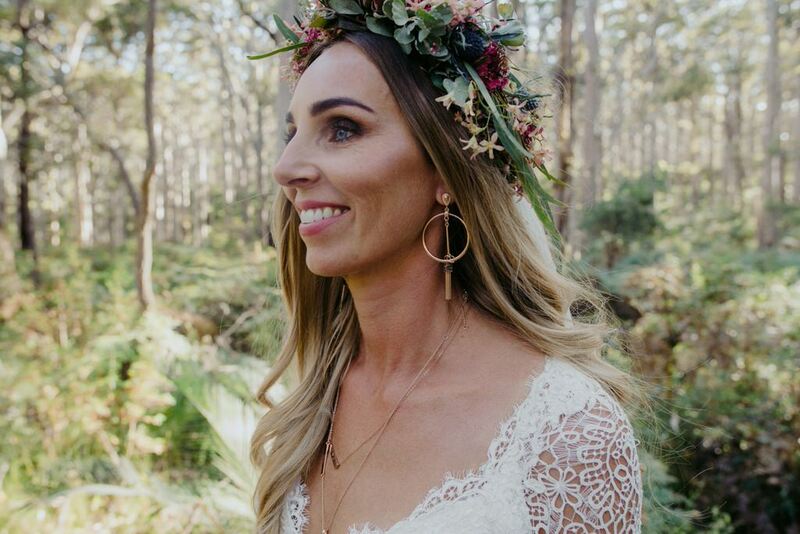 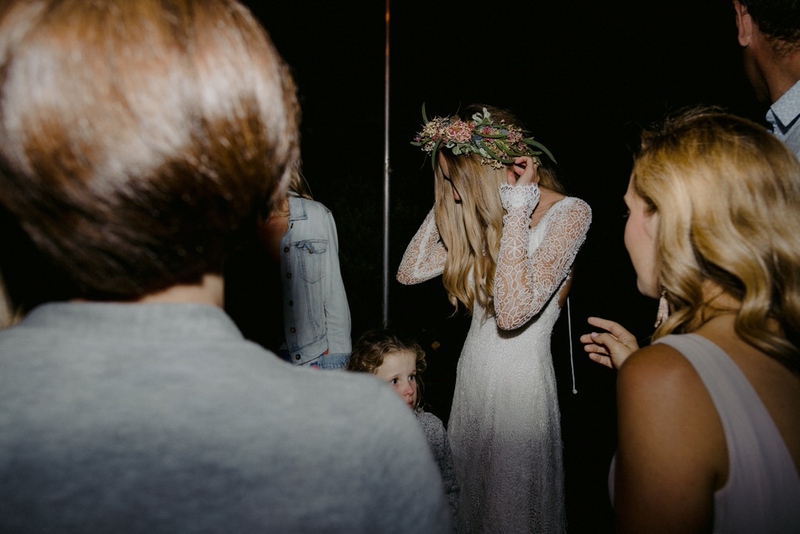 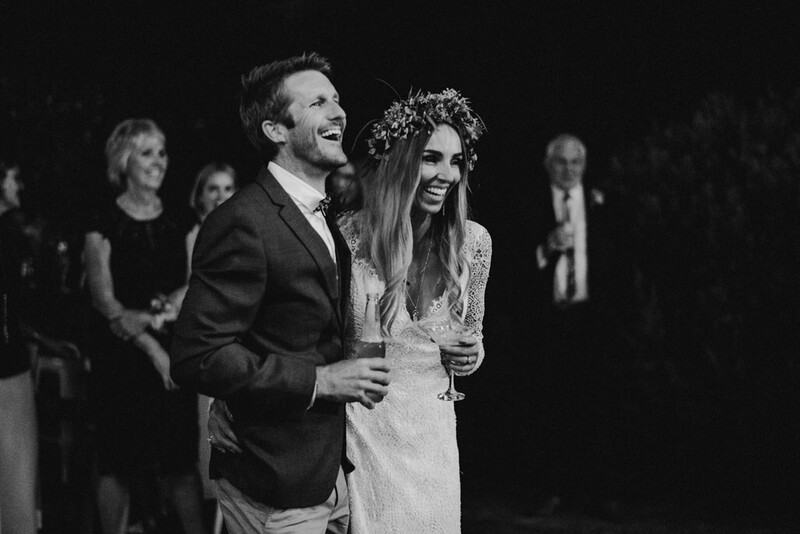 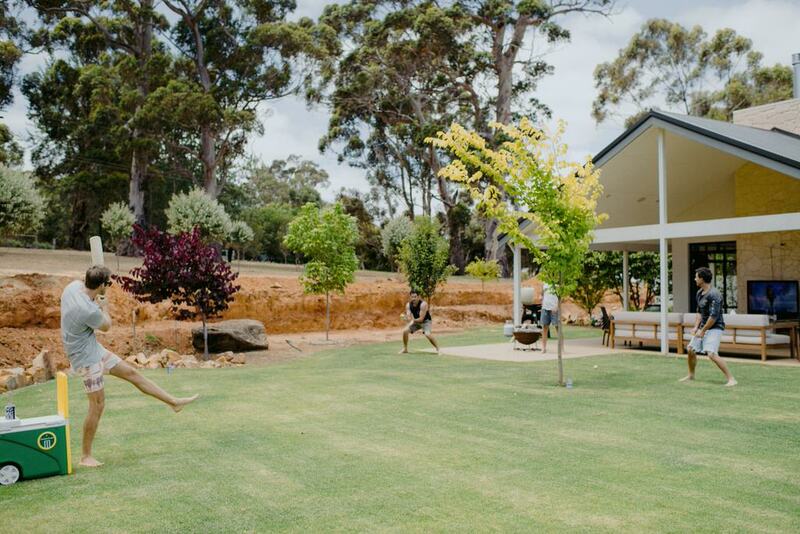 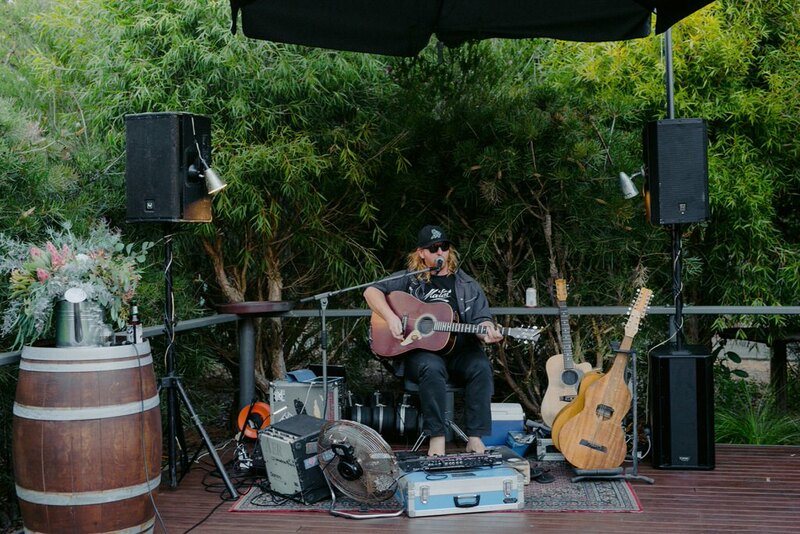 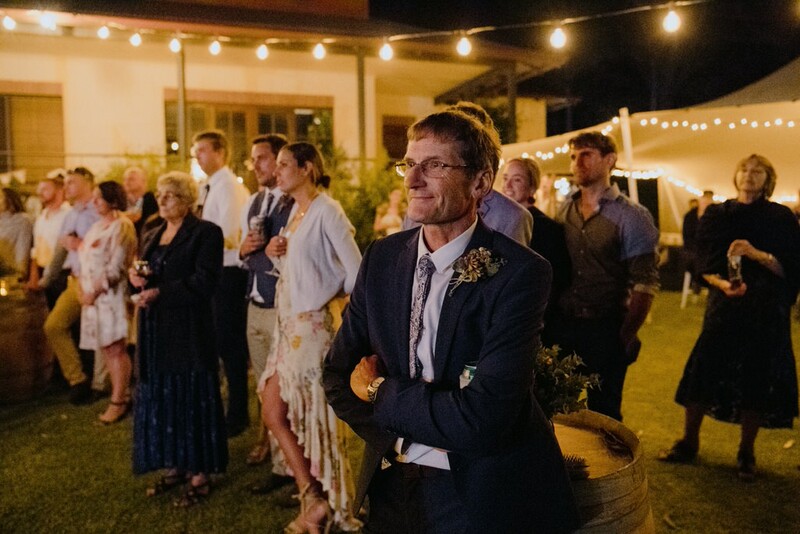 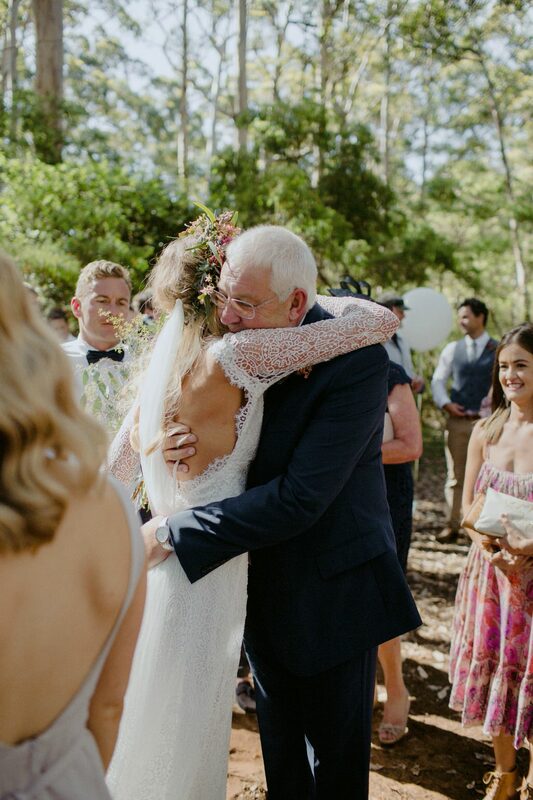 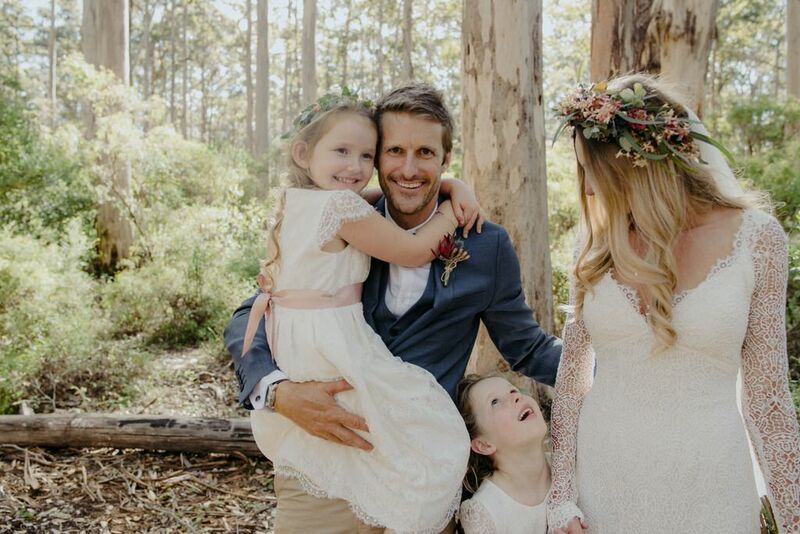 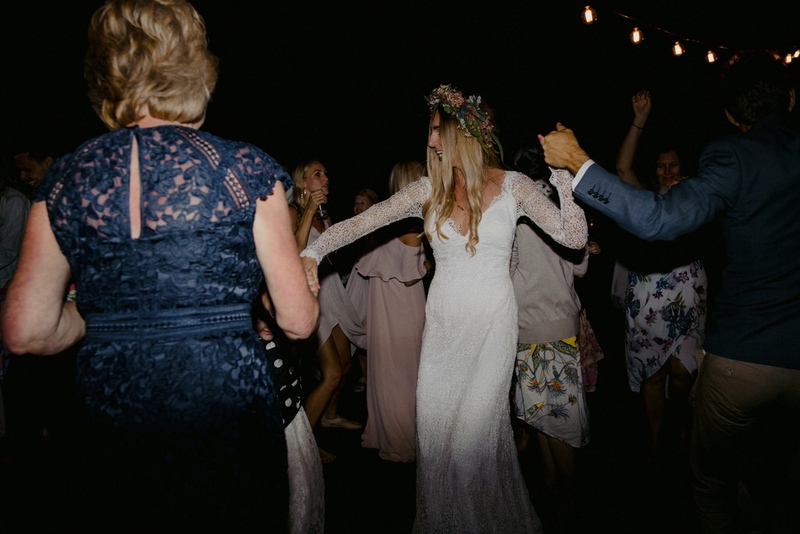 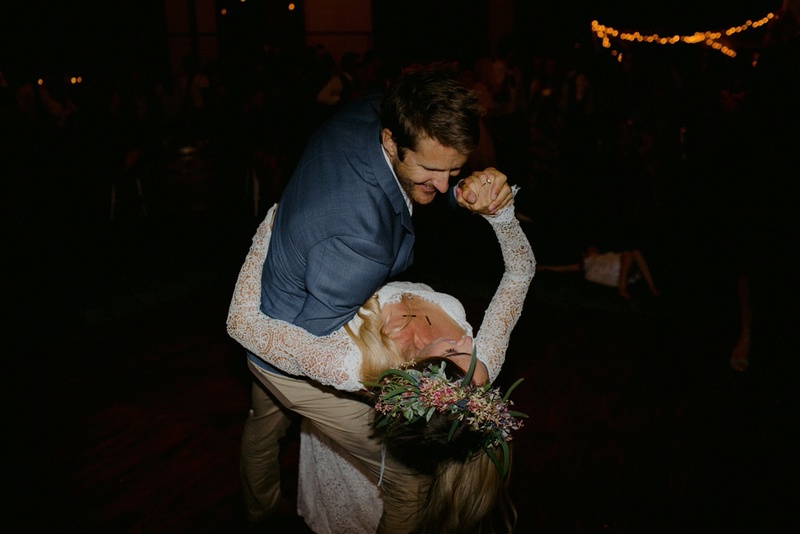 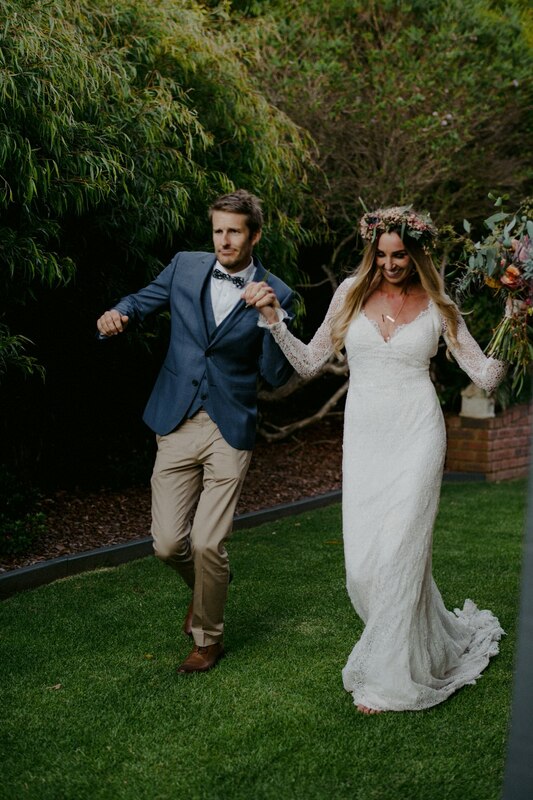 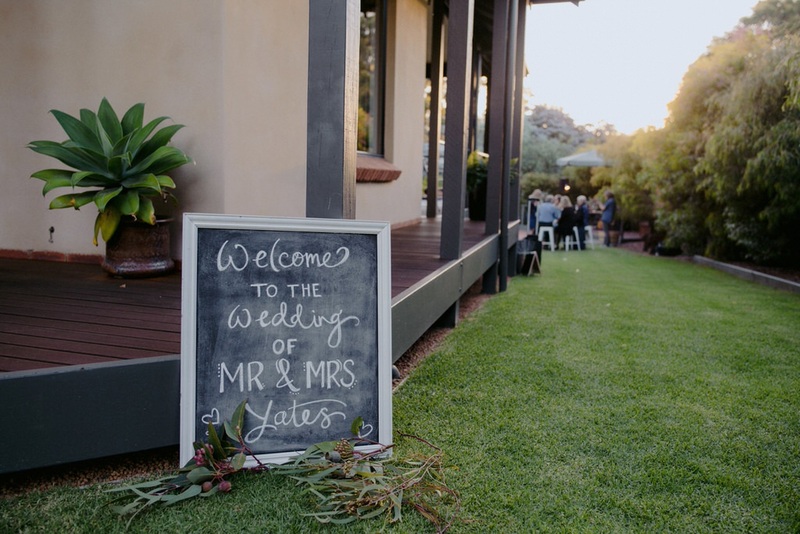 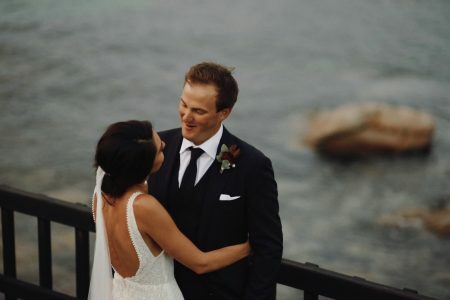 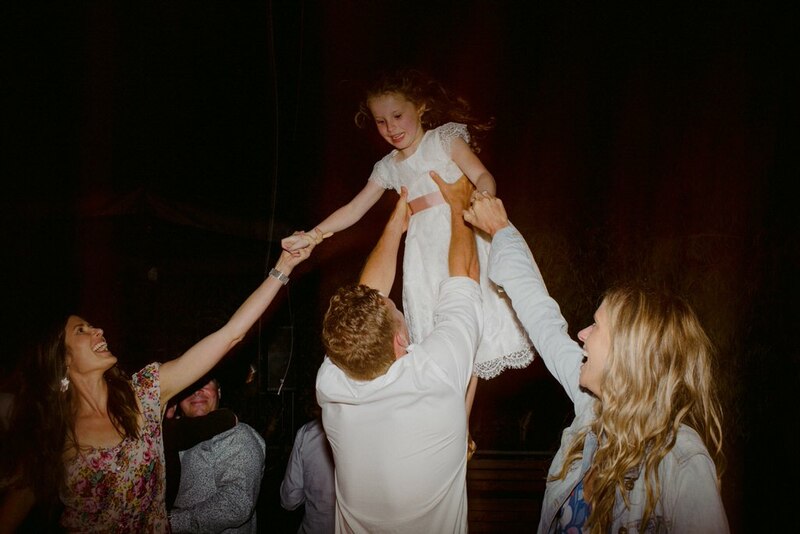 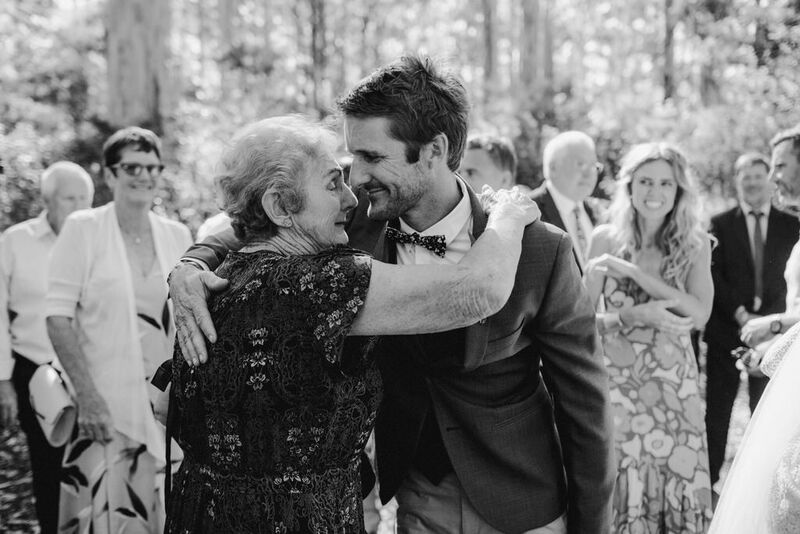 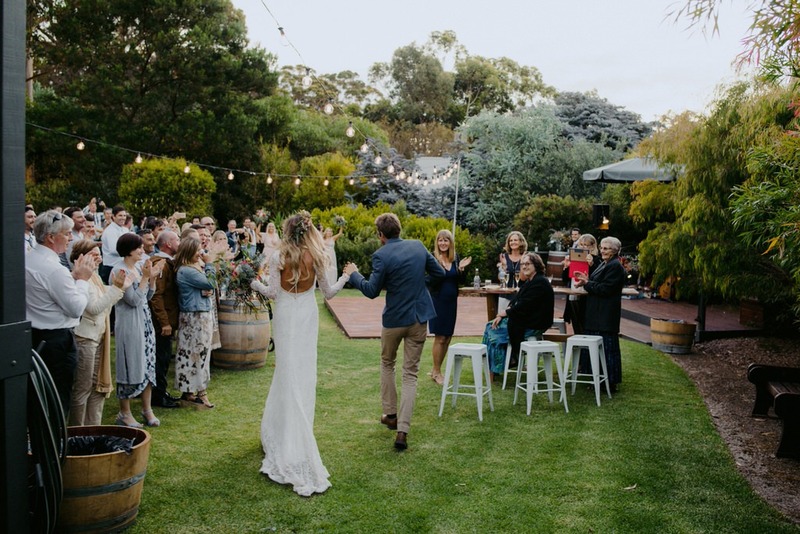 Joel’s parents transformed their backyard in their Margaret River home into a perfect reception venue with a DIY dance floor, marquee and fairy lights. 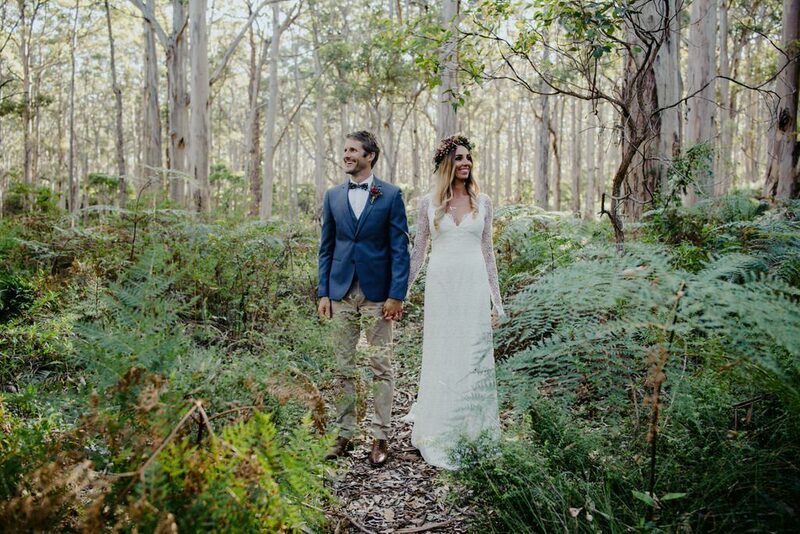 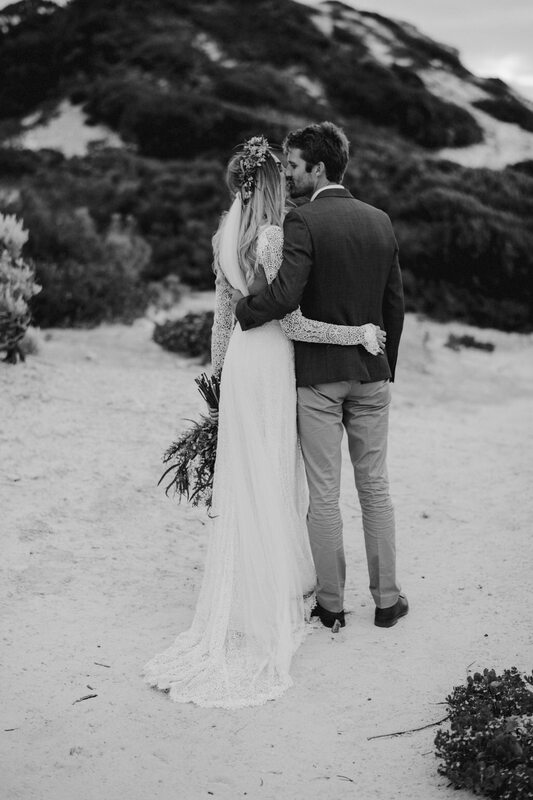 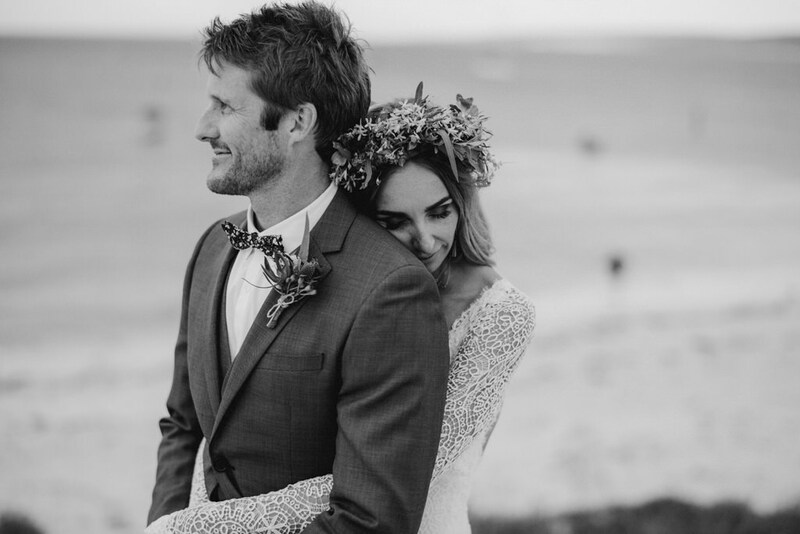 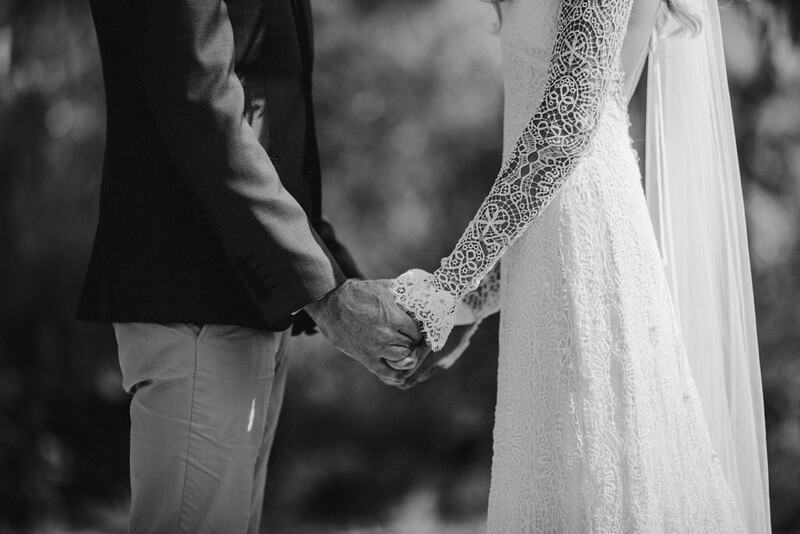 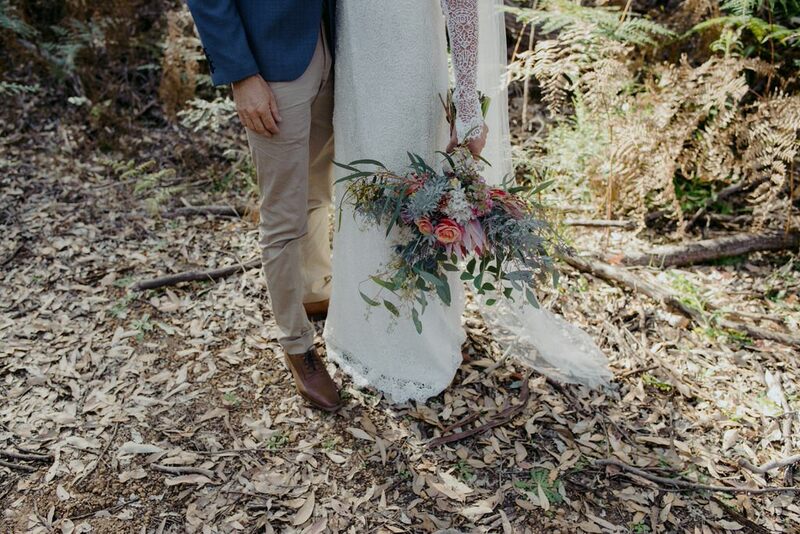 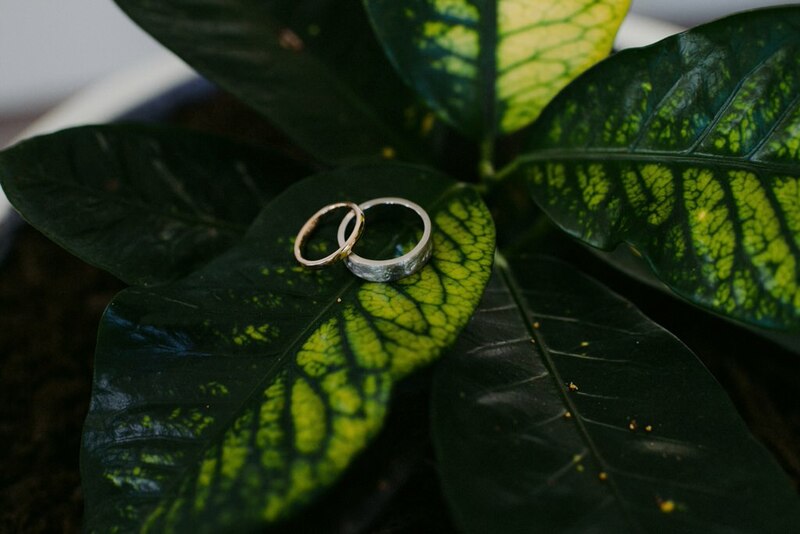 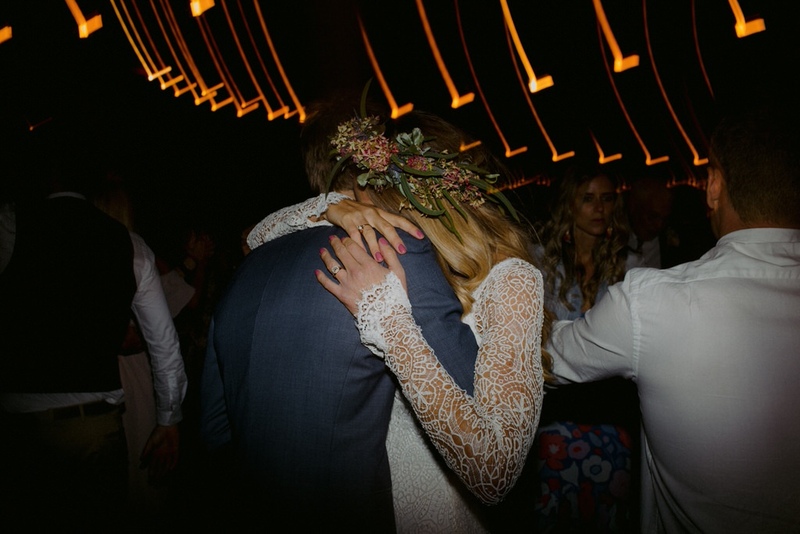 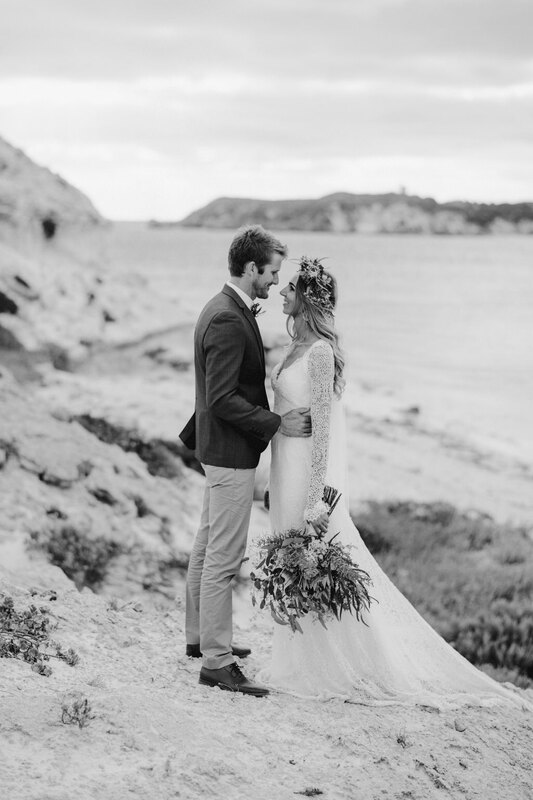 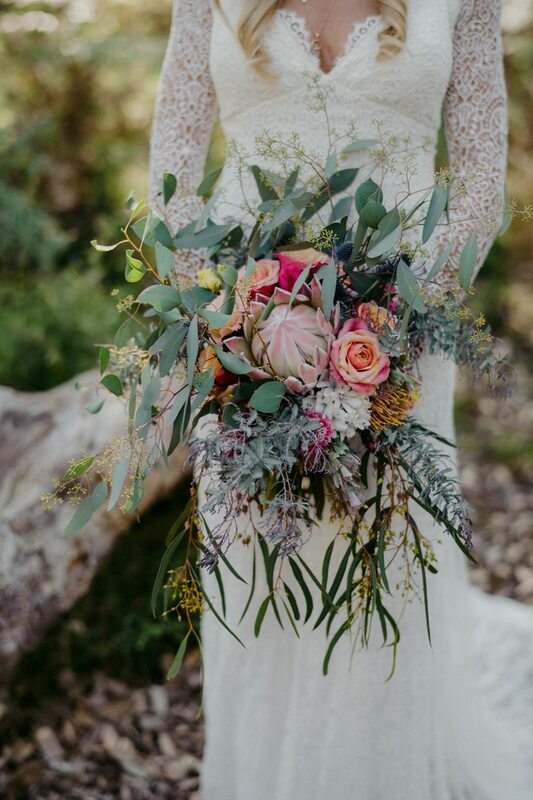 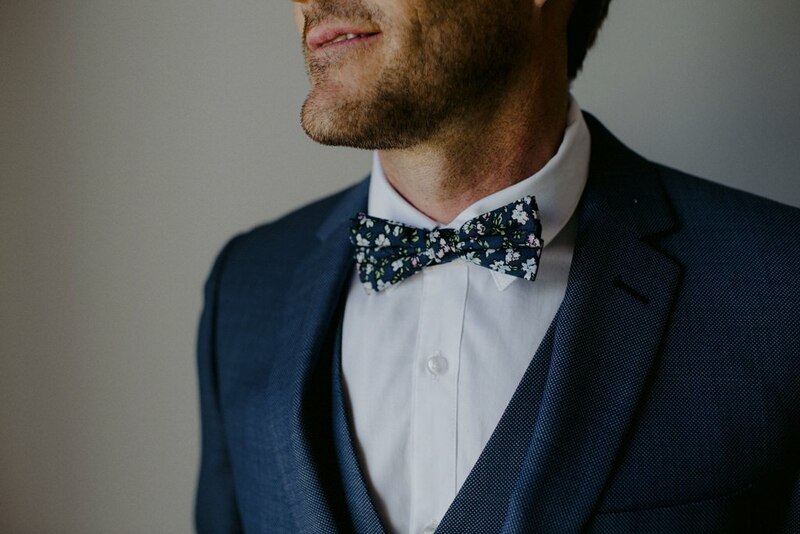 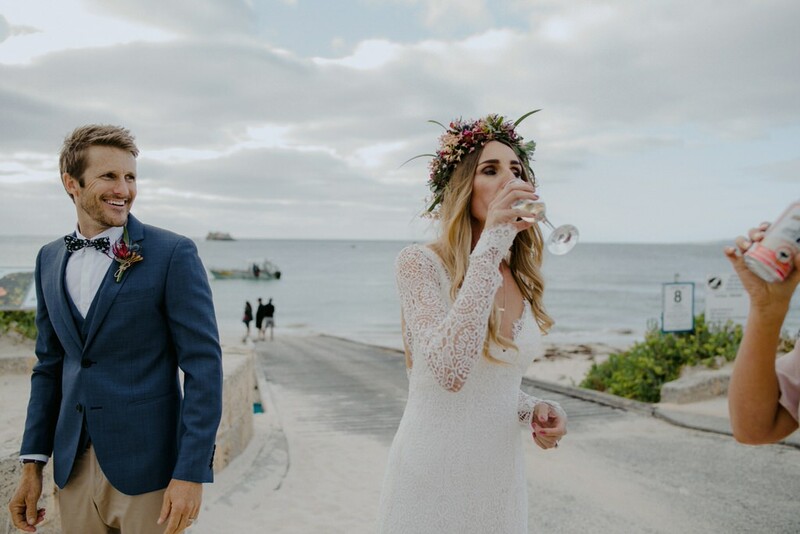 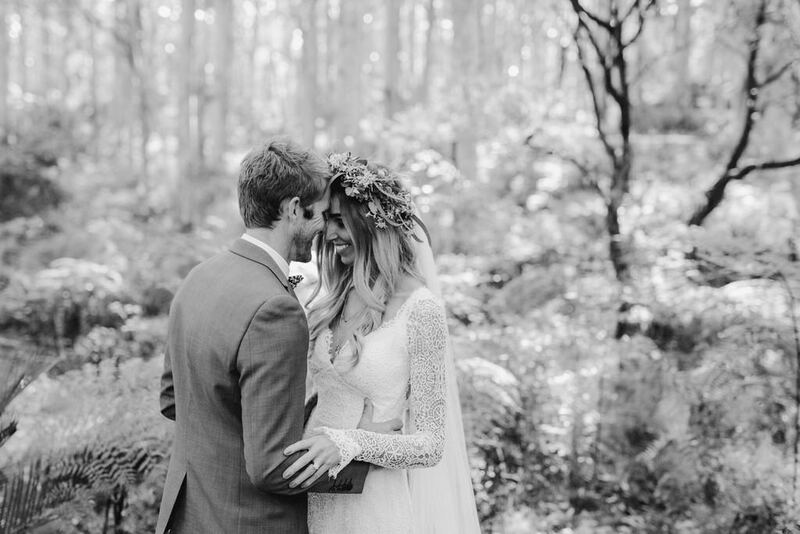 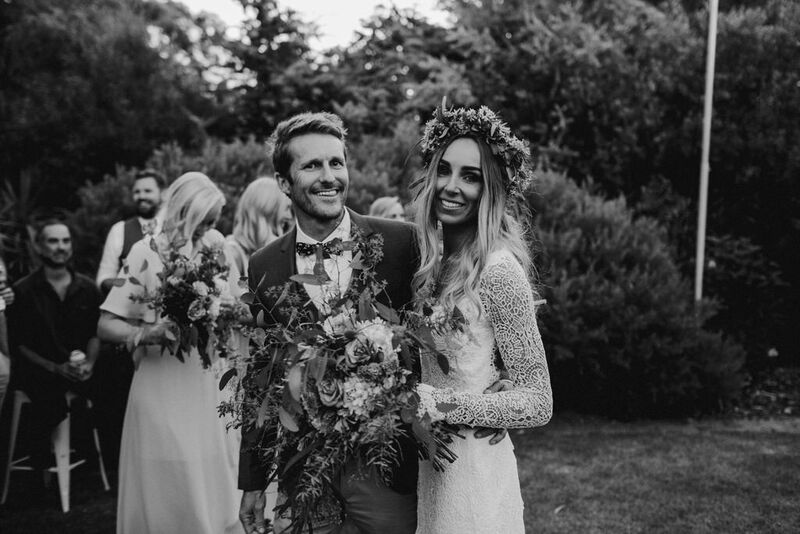 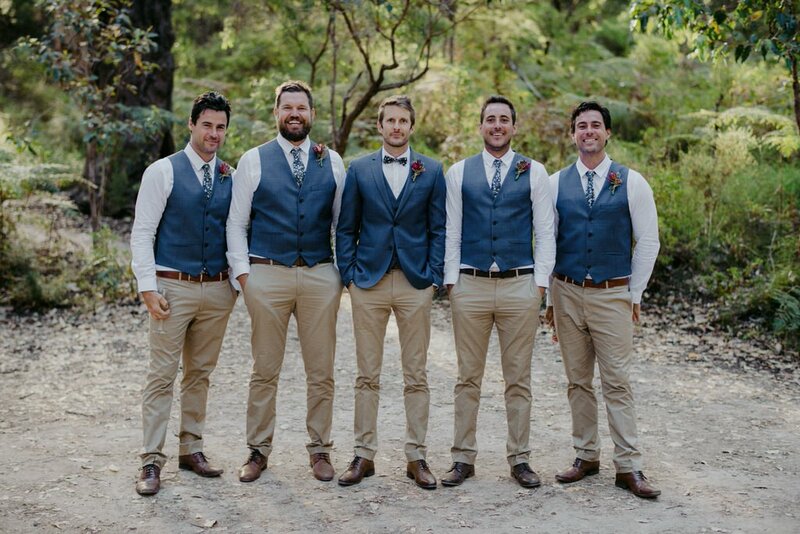 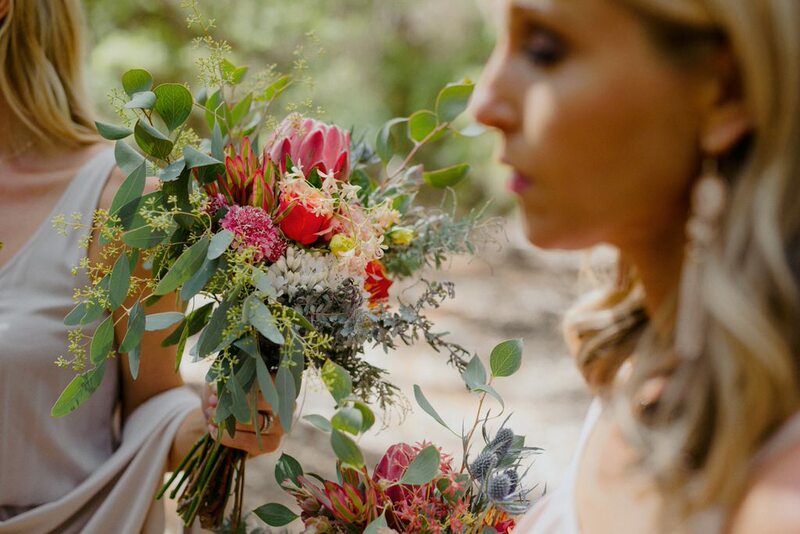 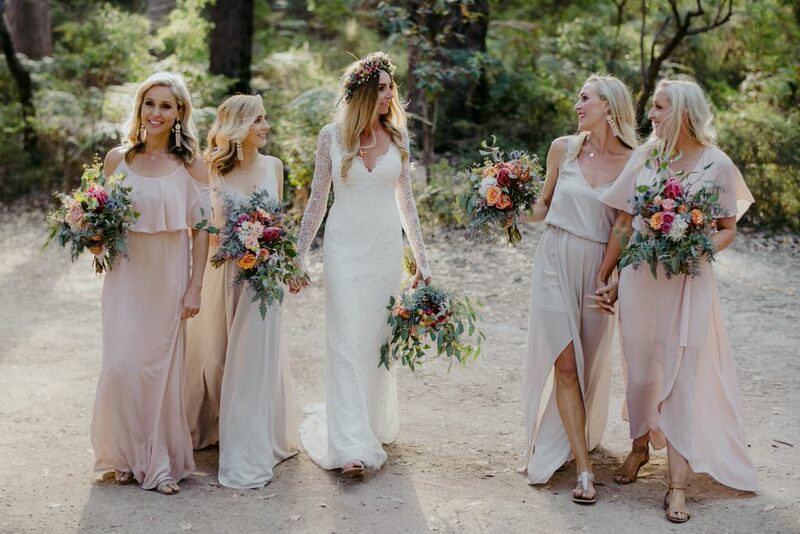 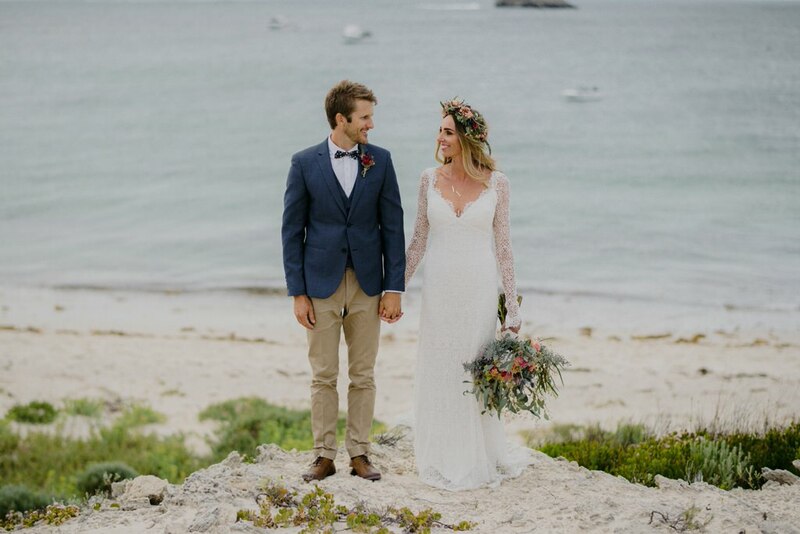 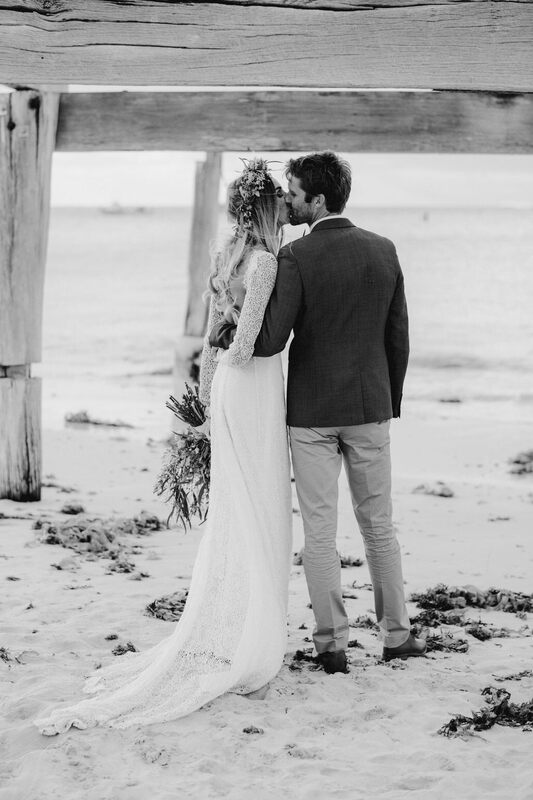 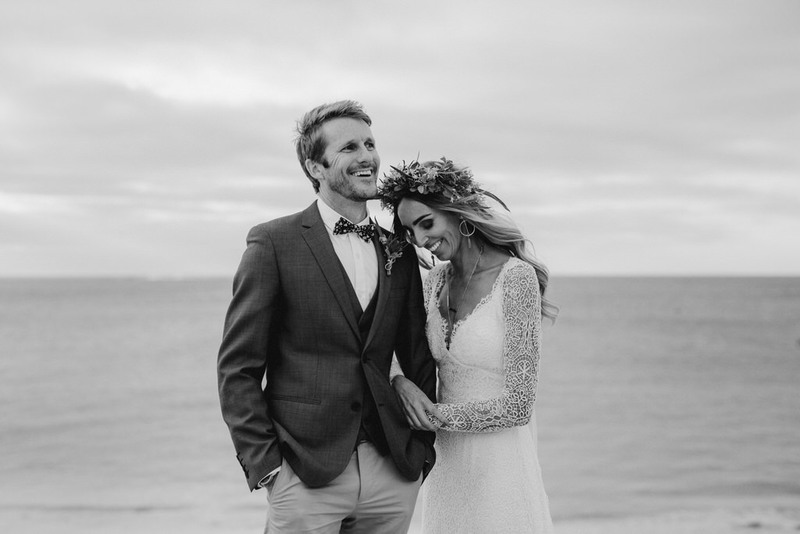 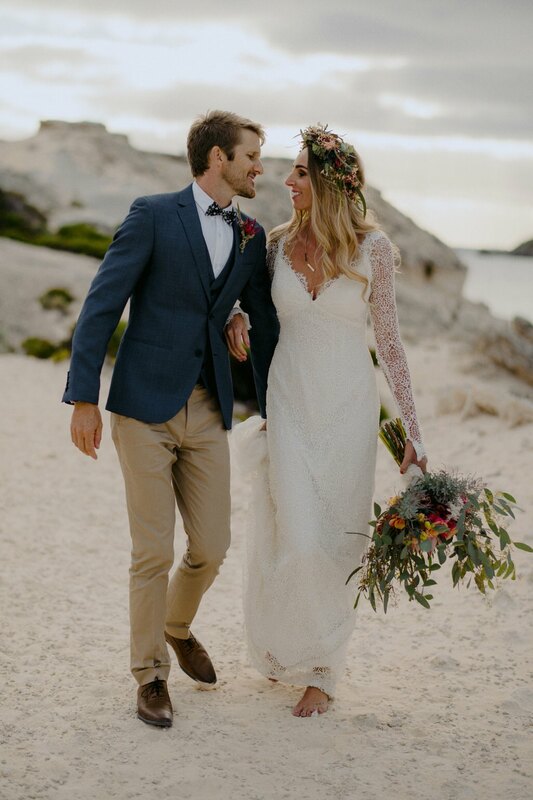 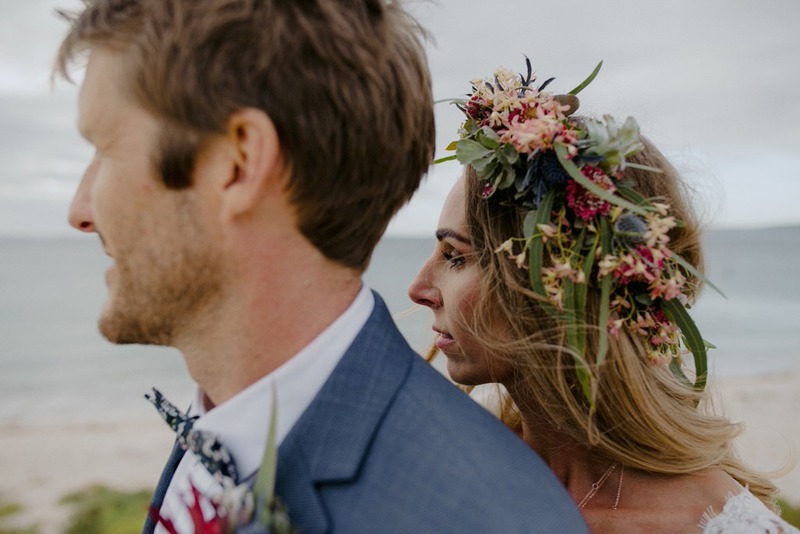 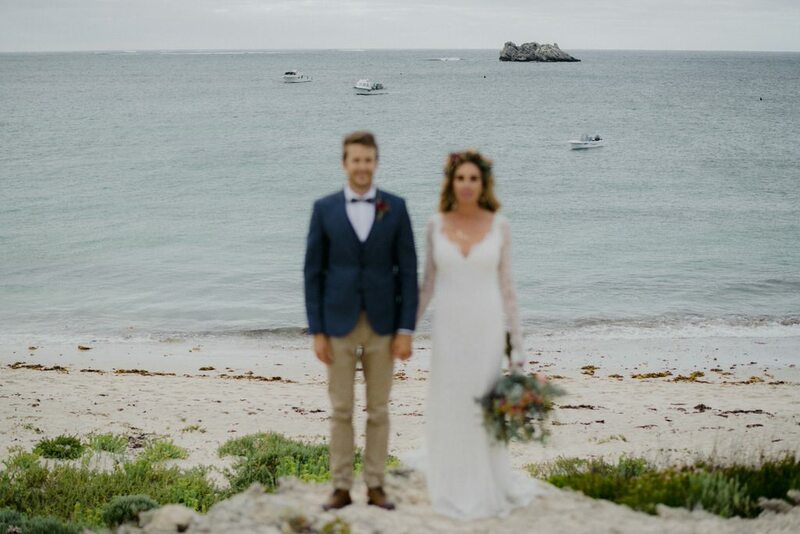 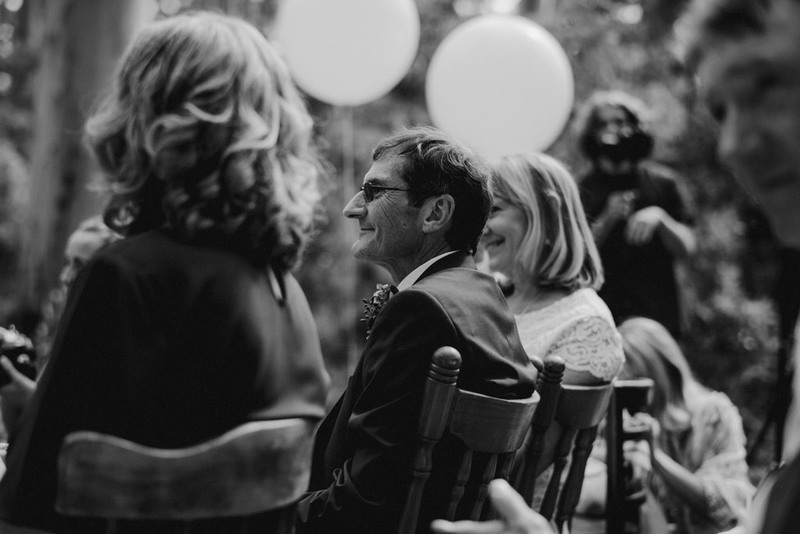 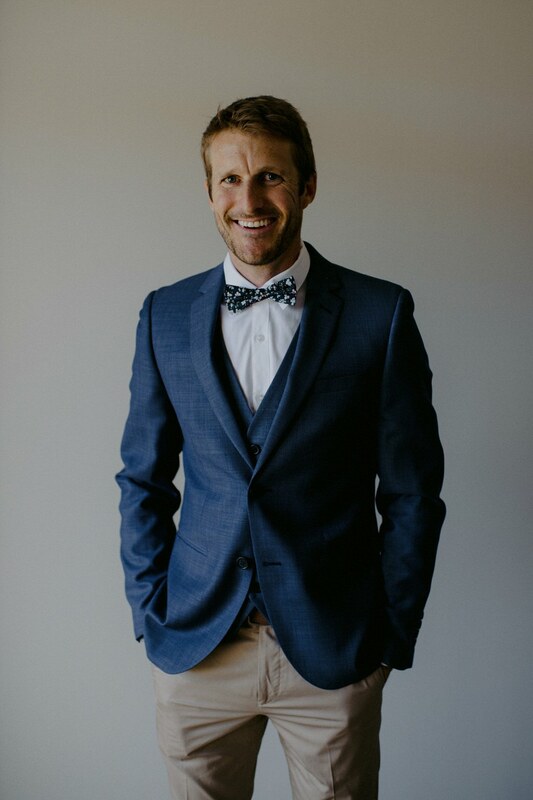 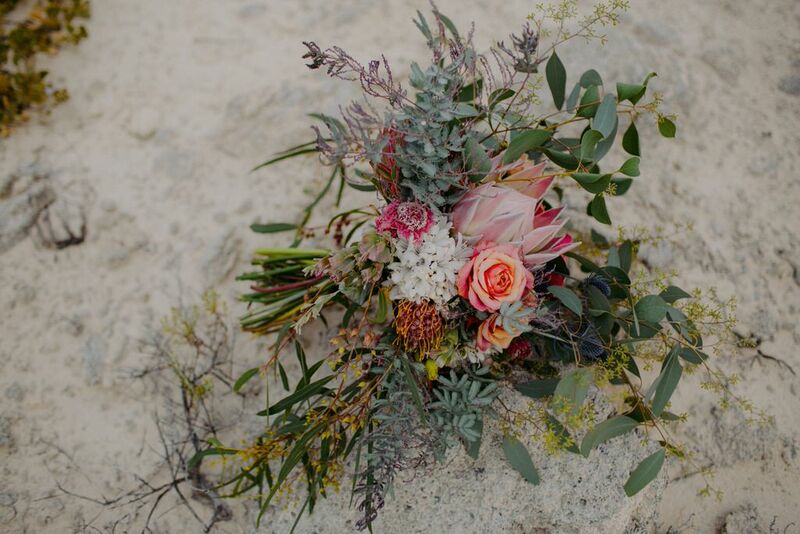 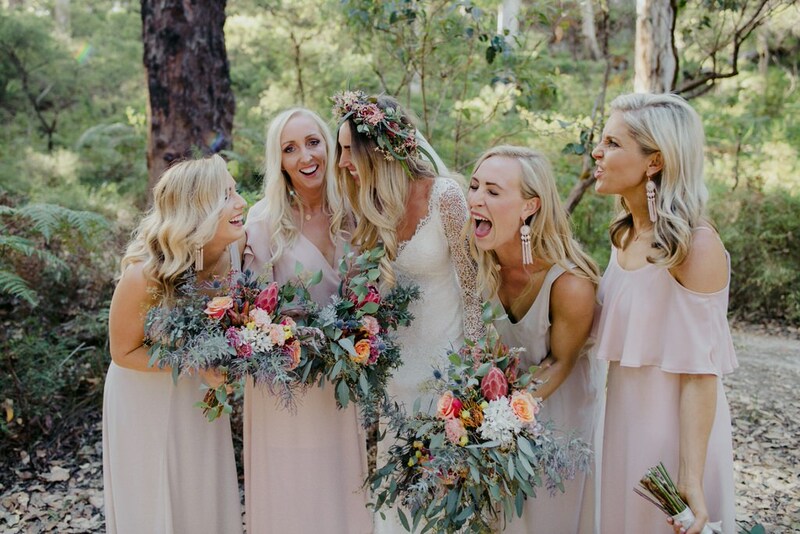 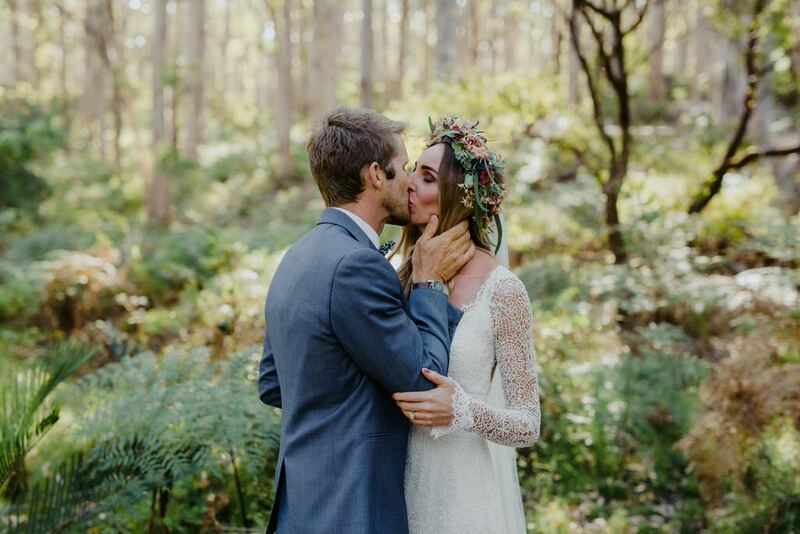 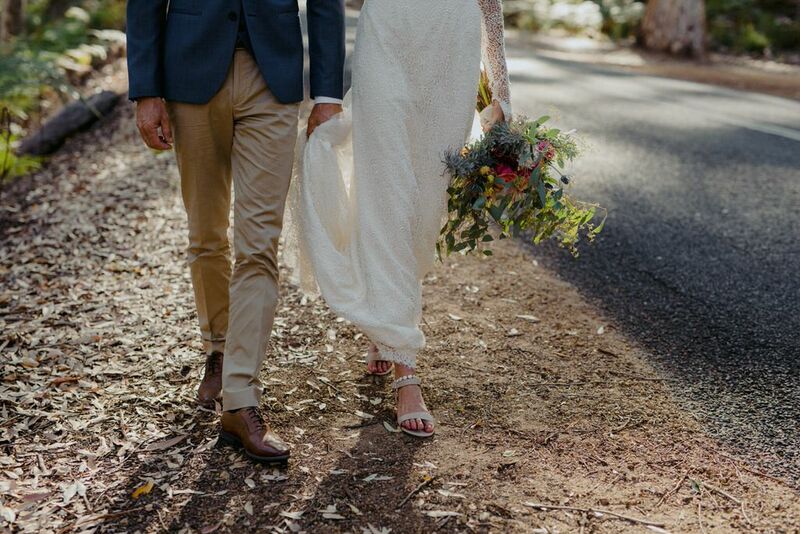 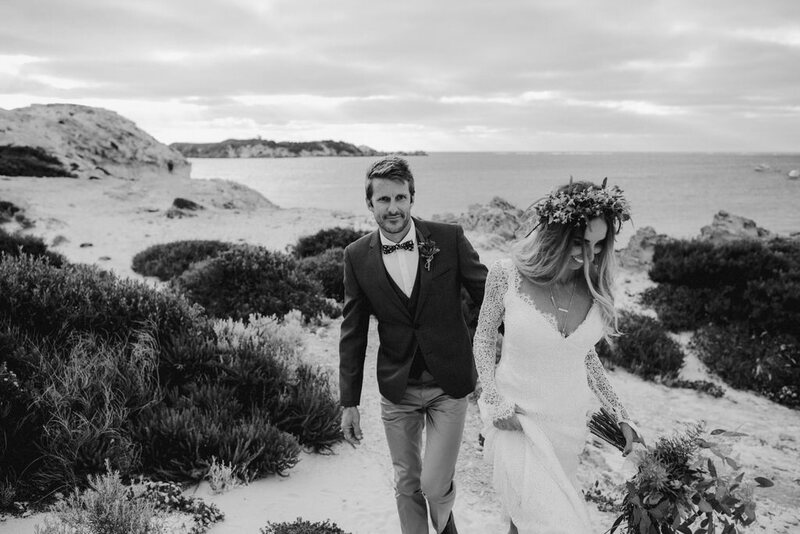 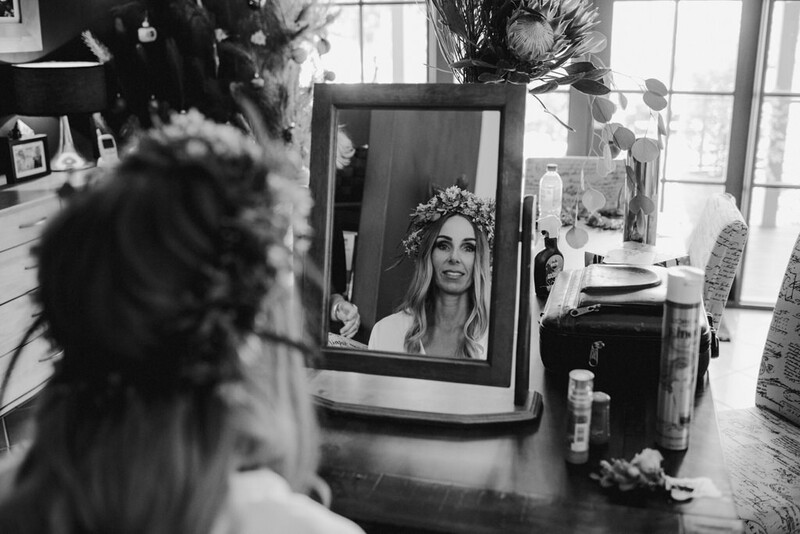 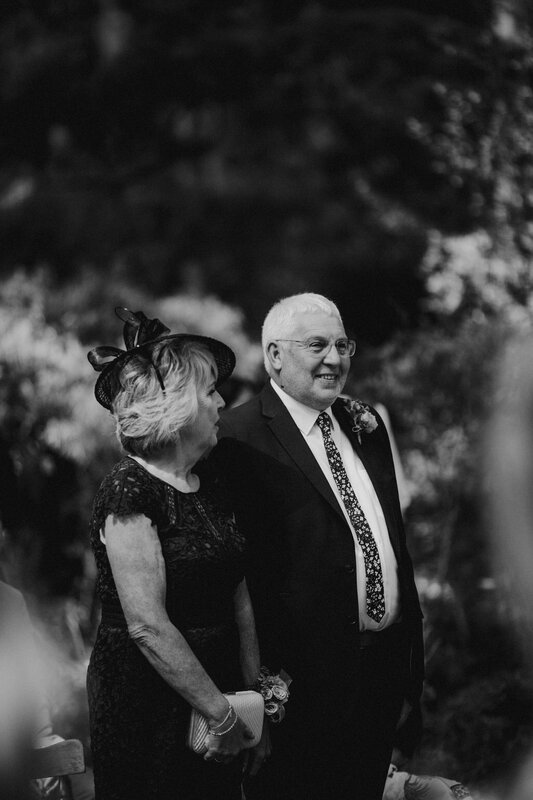 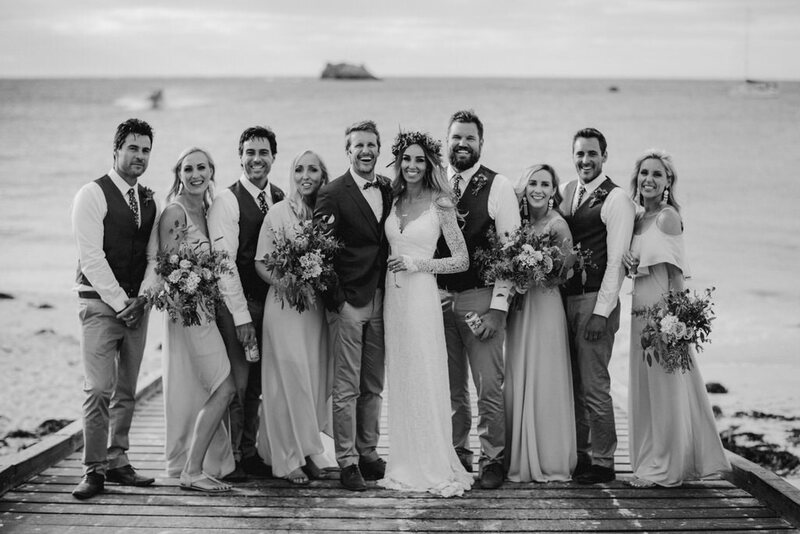 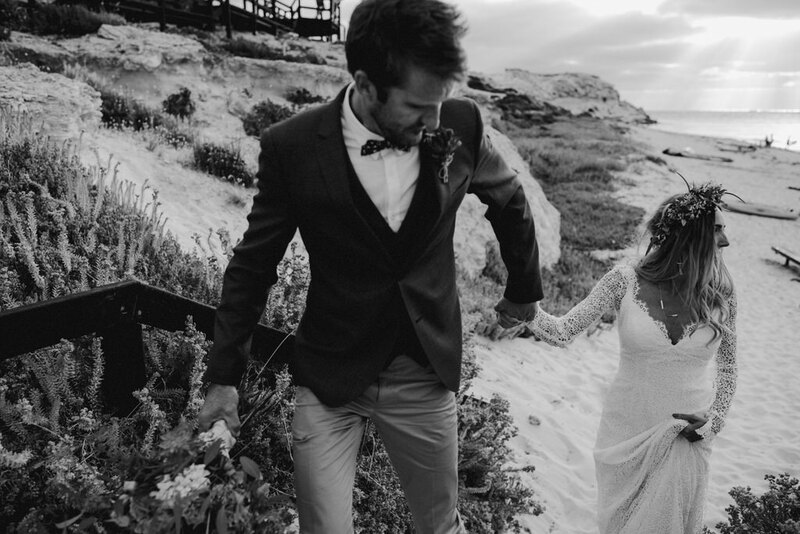 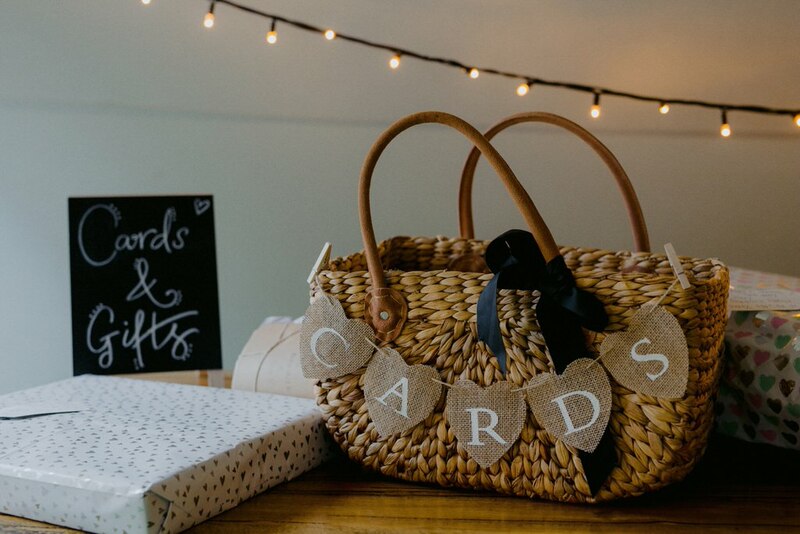 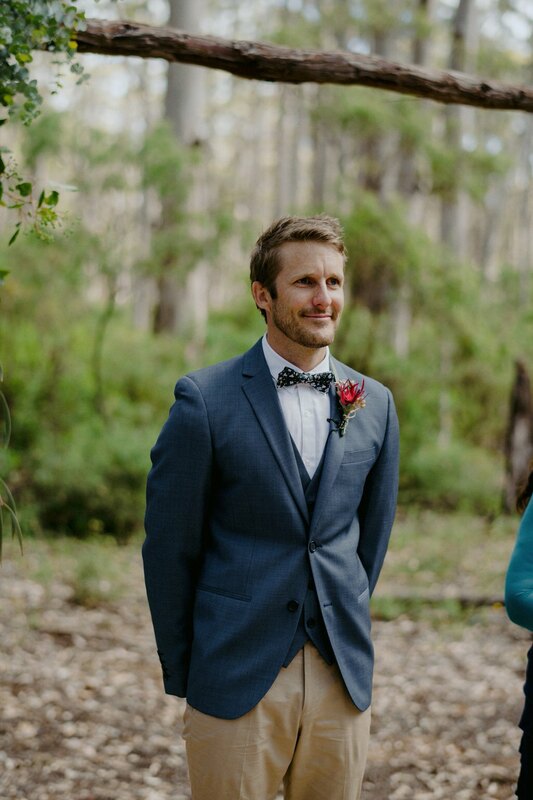 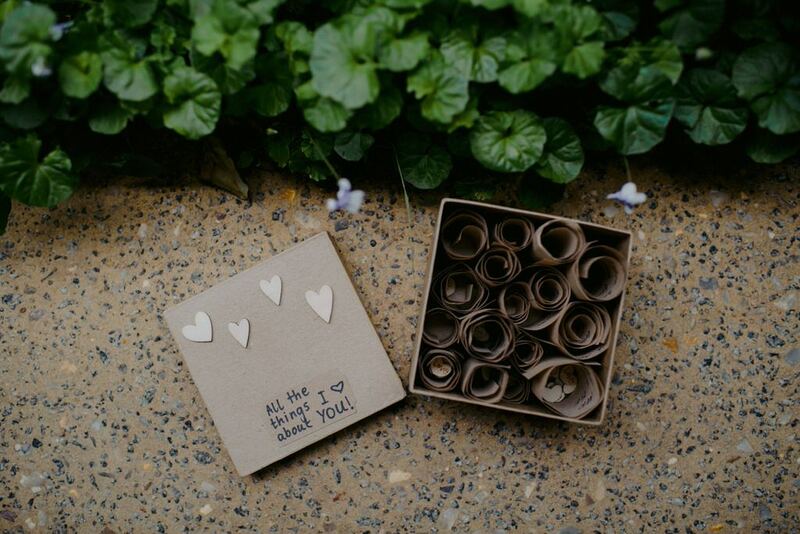 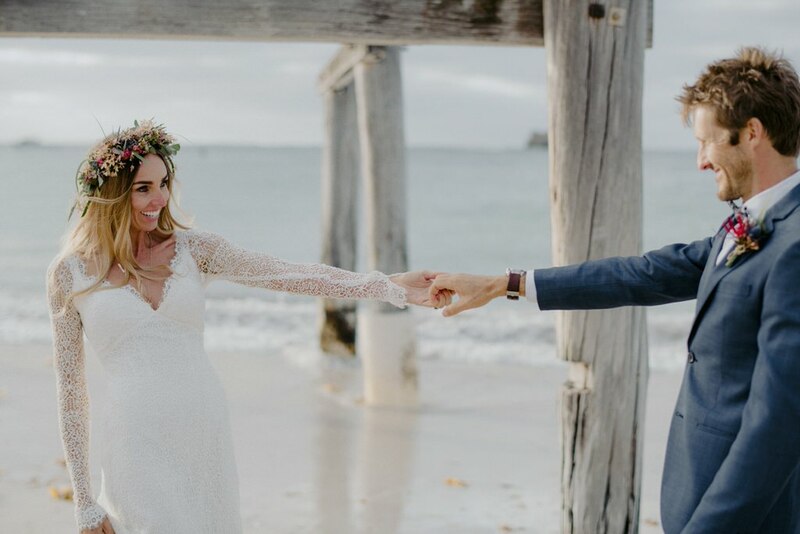 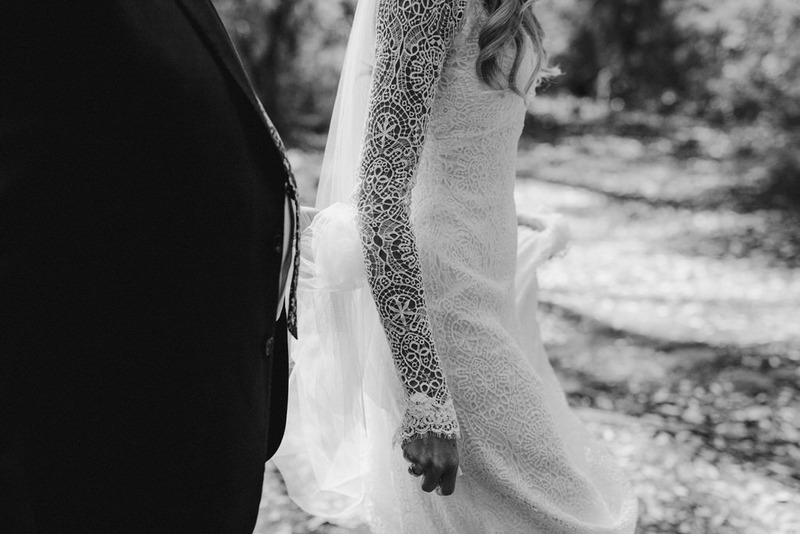 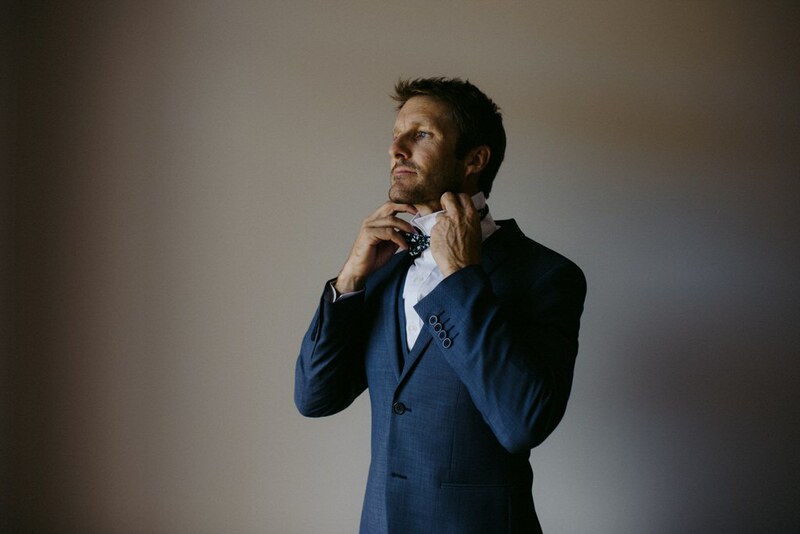 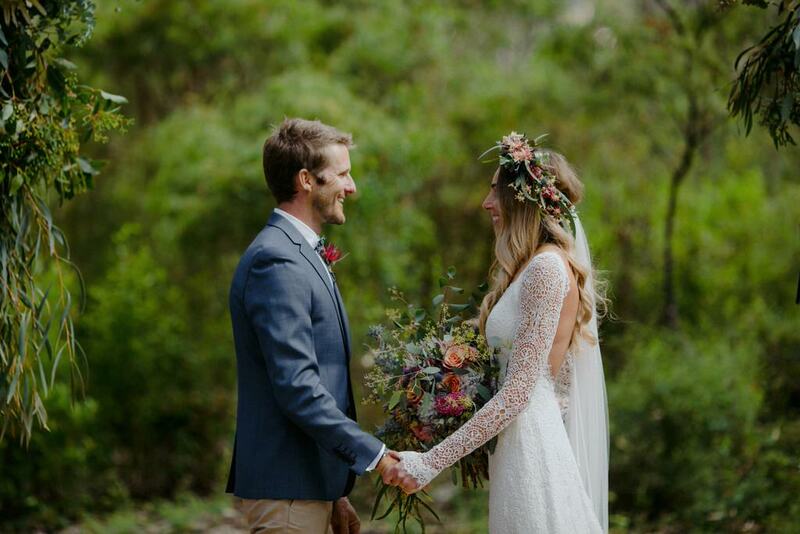 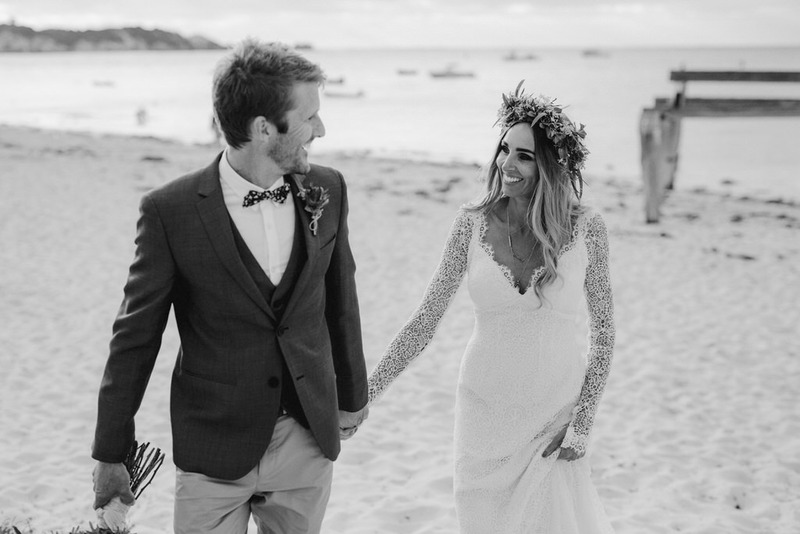 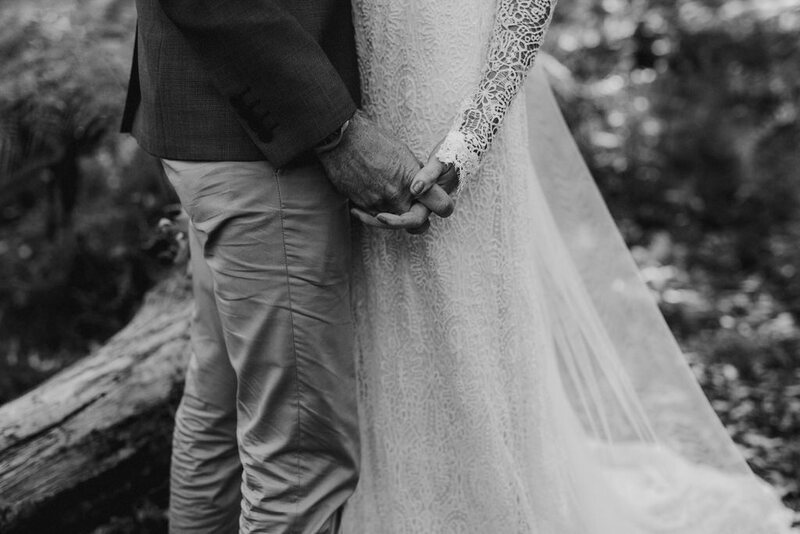 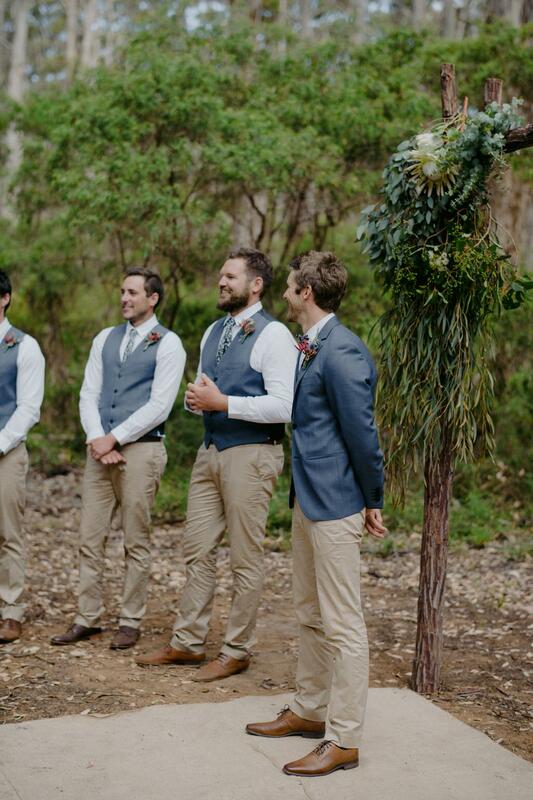 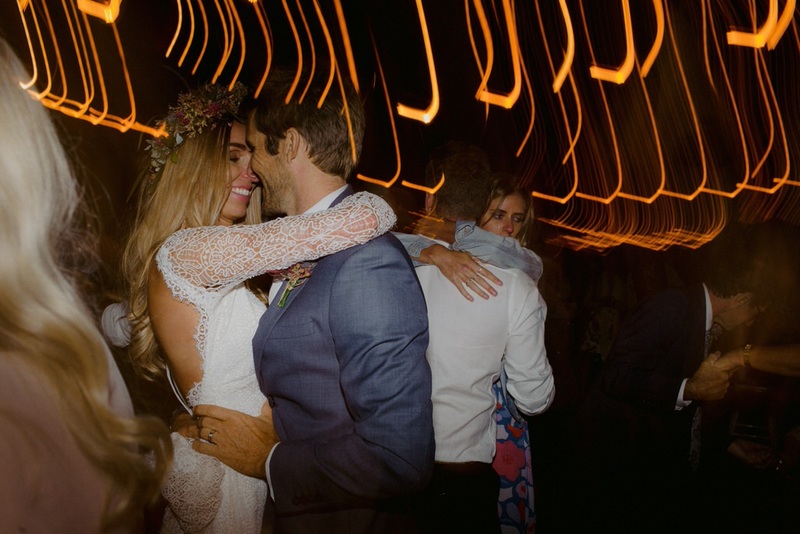 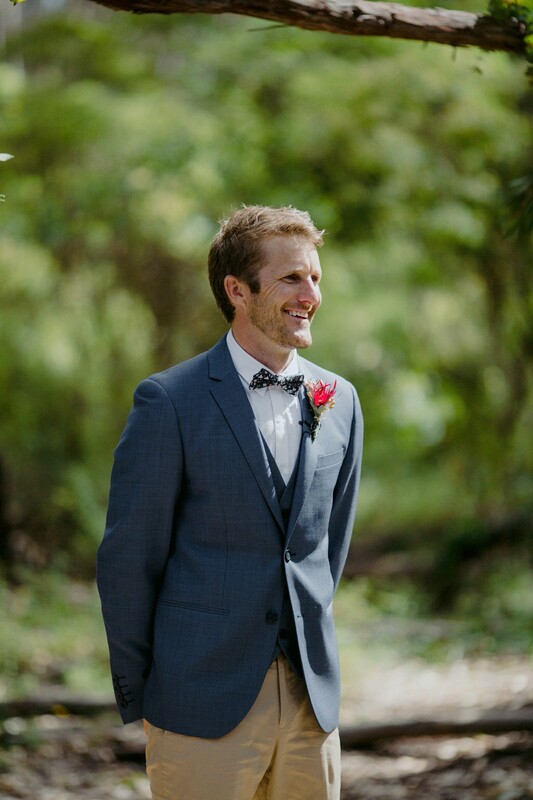 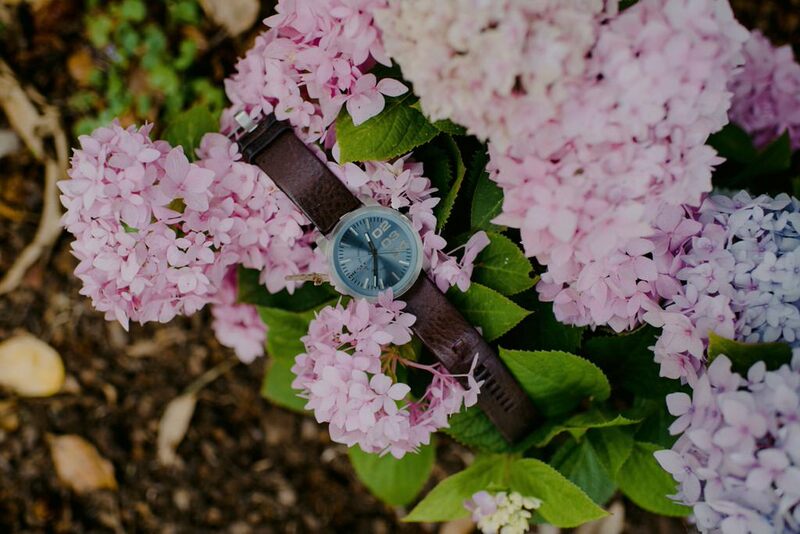 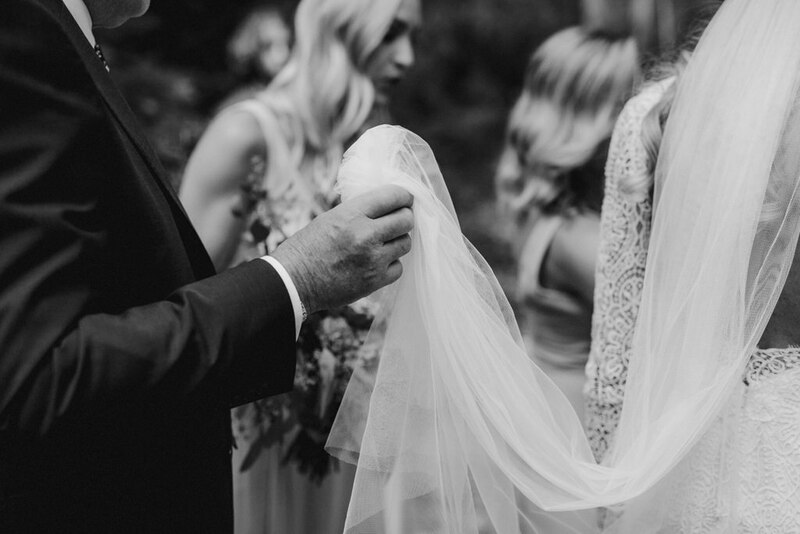 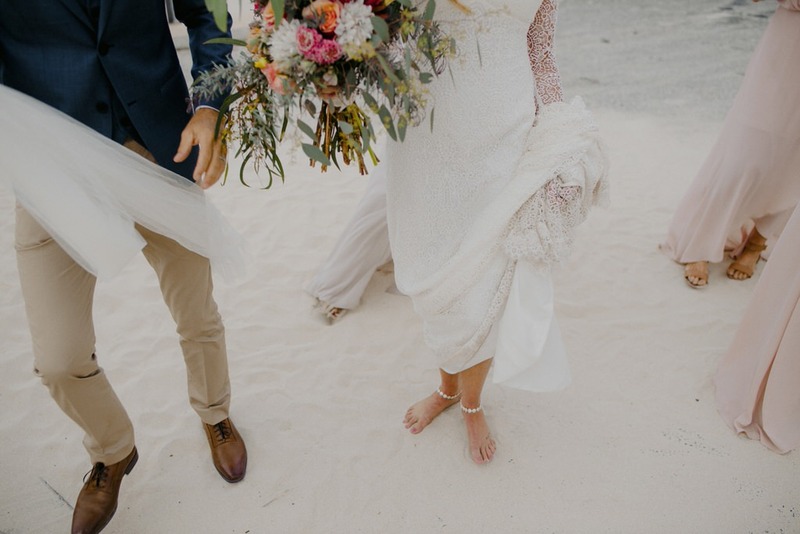 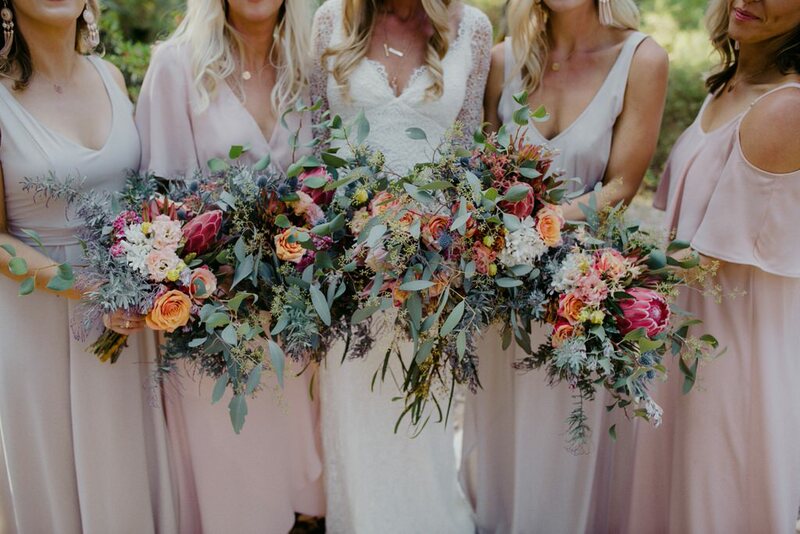 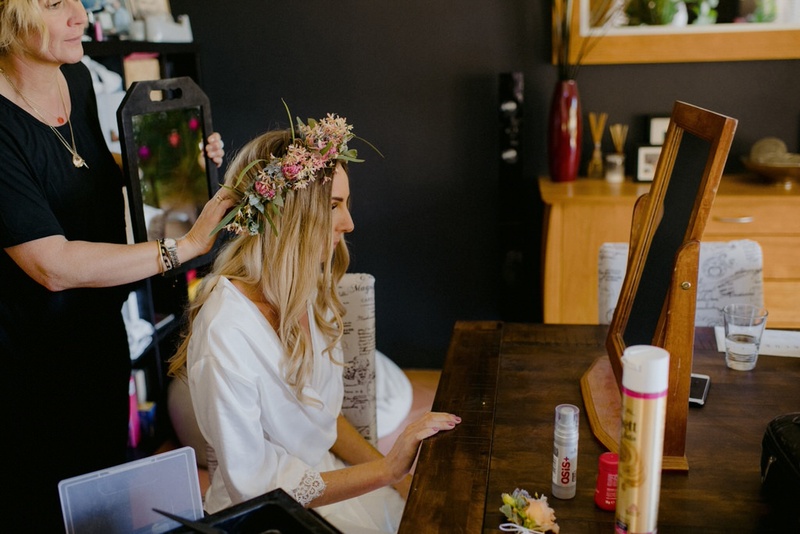 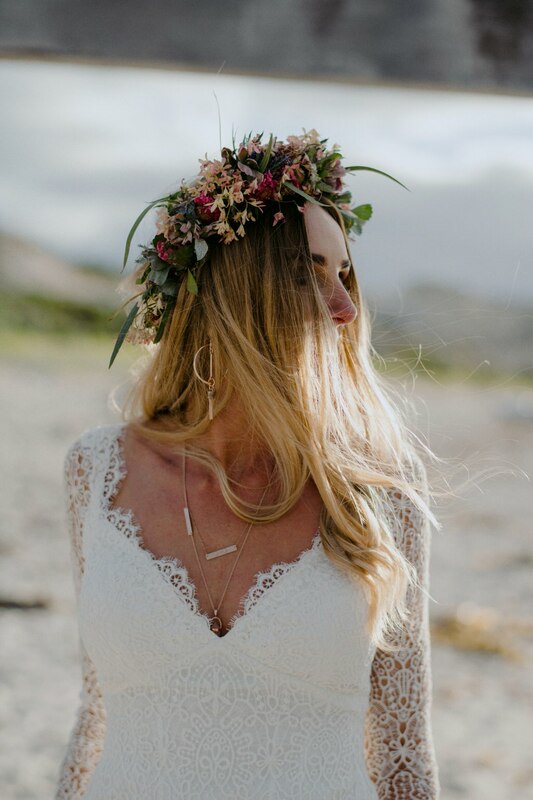 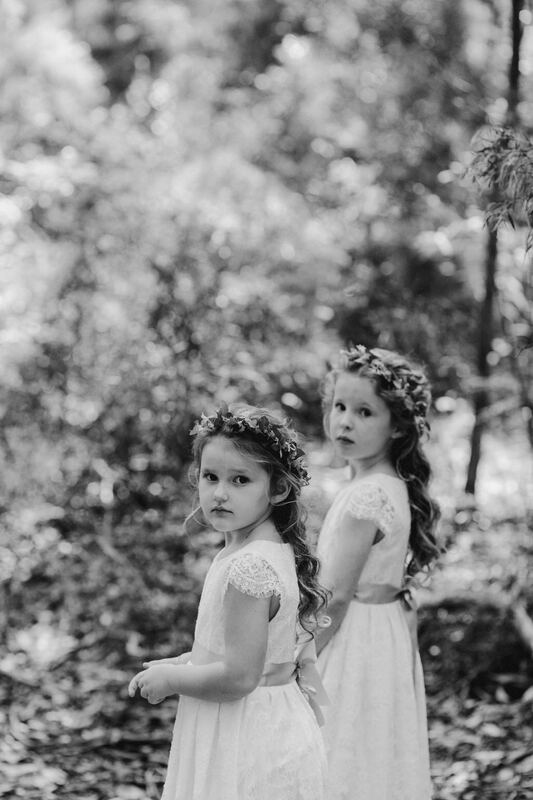 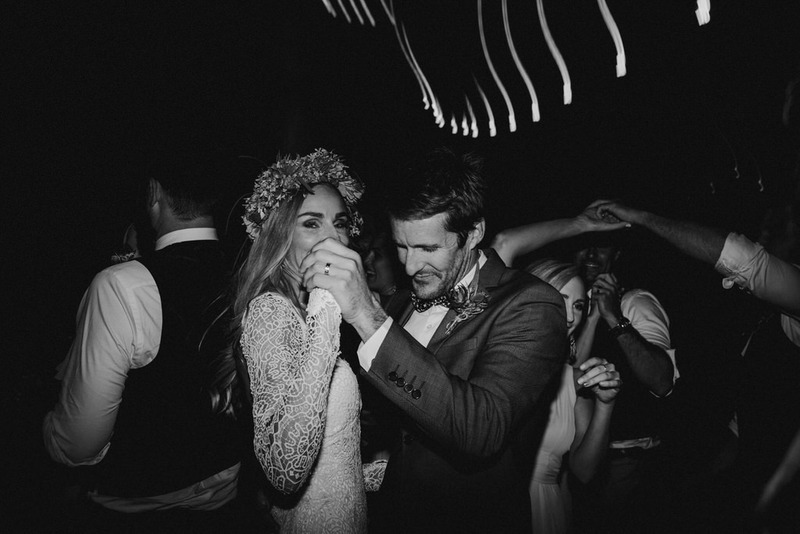 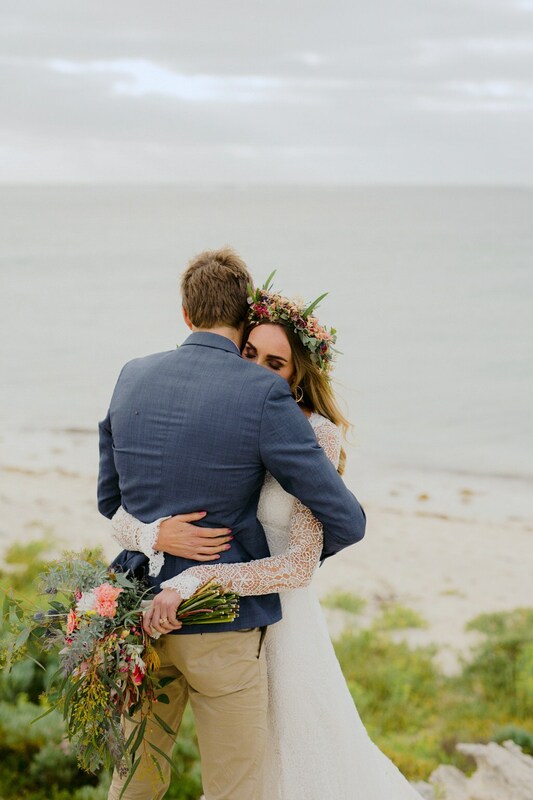 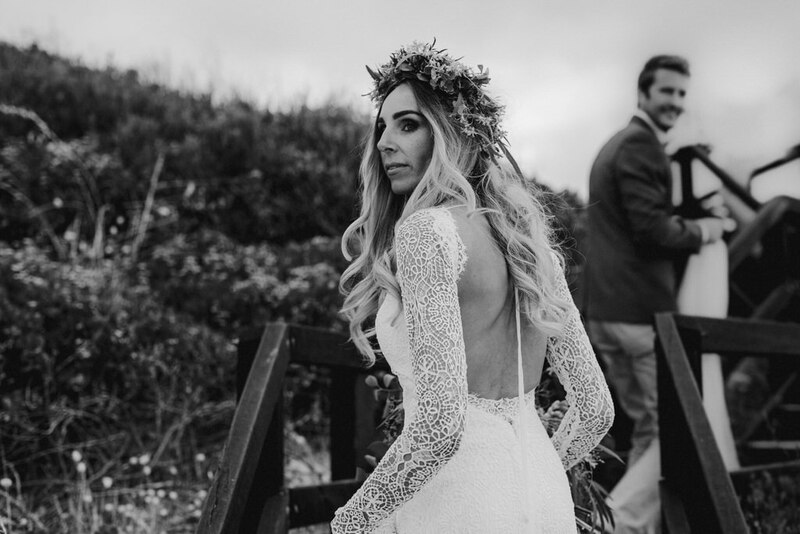 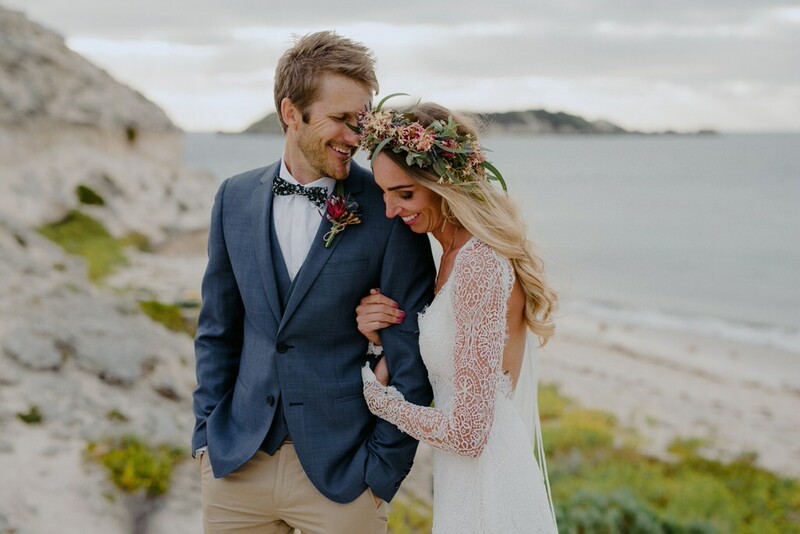 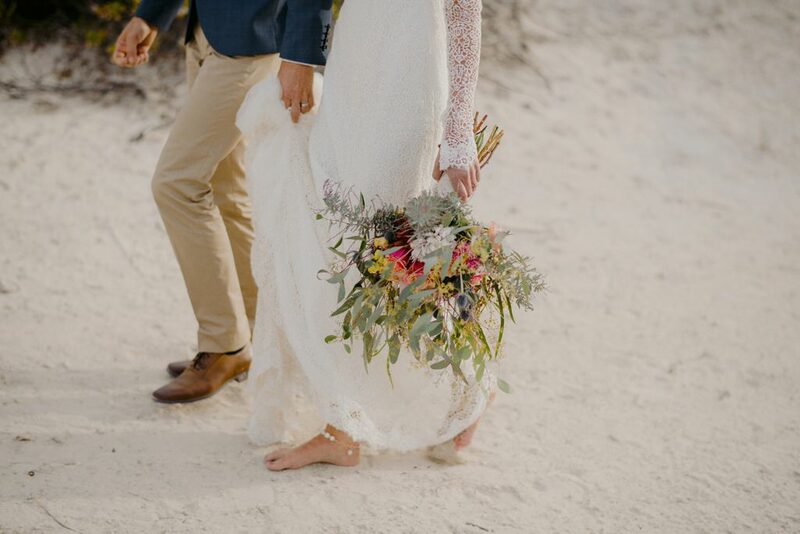 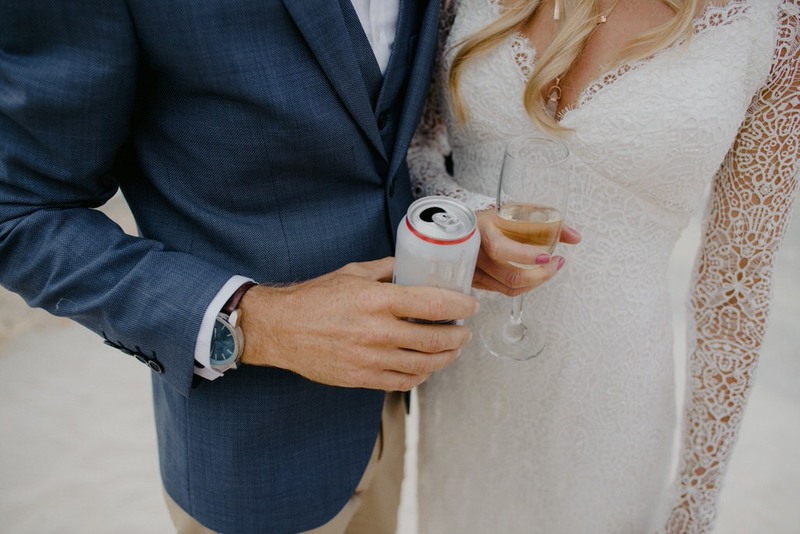 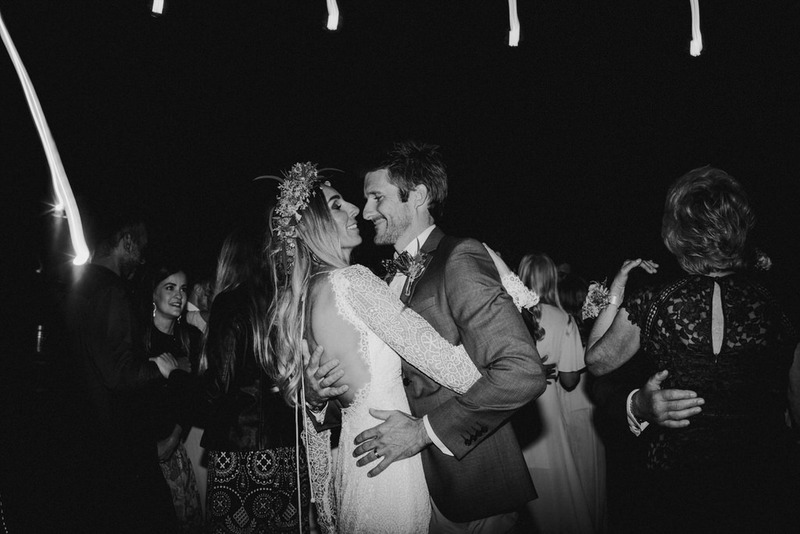 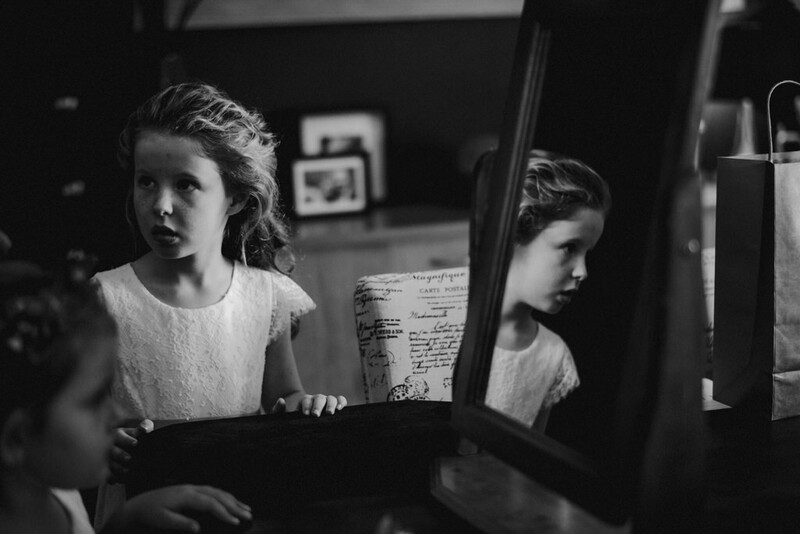 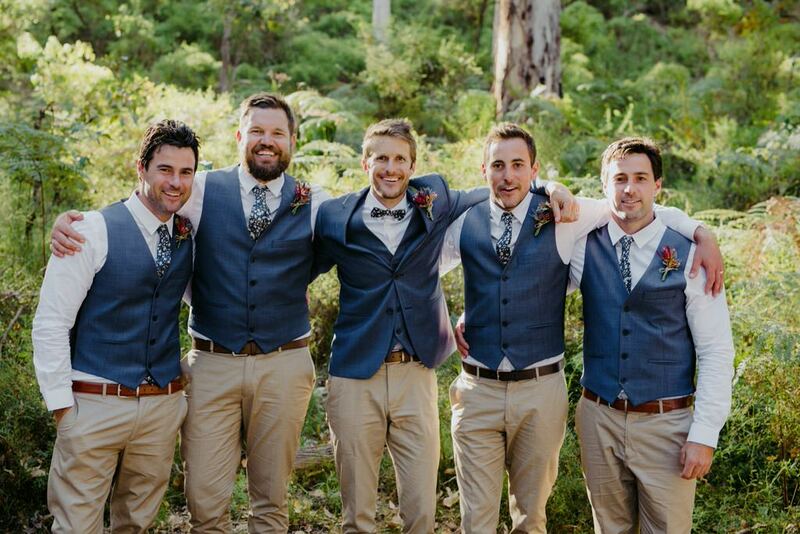 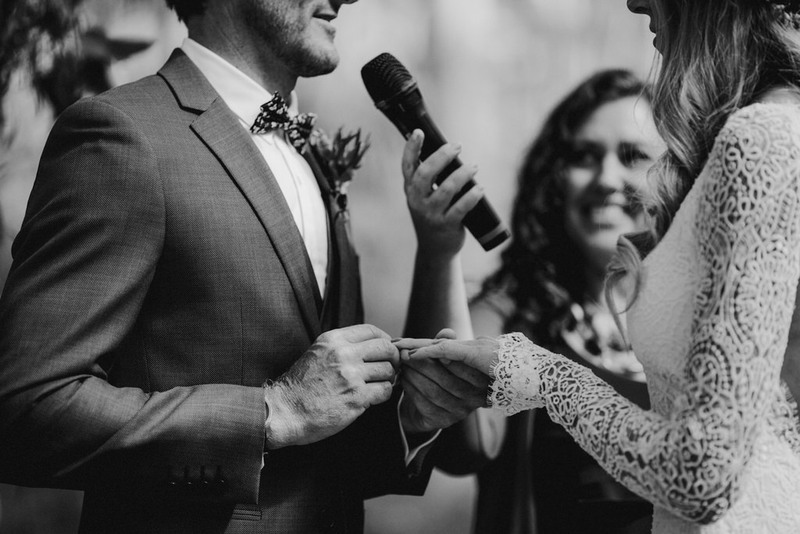 Jo and Joel’s wedding was a true reflection of their relaxed, adventurous personalities. 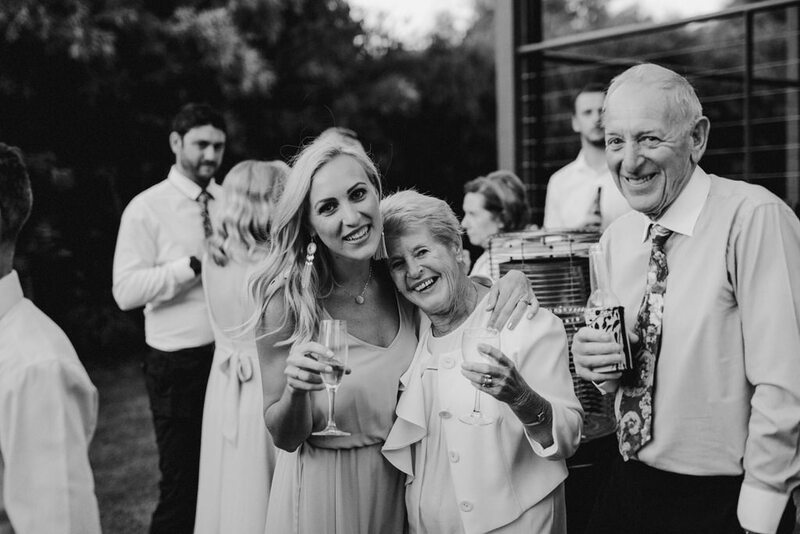 of our winter European trip before heading back to the UK to visit my parents. 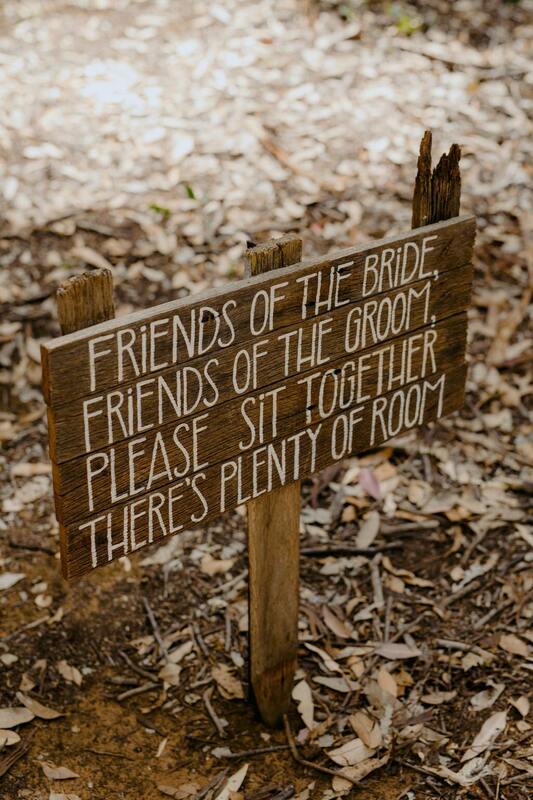 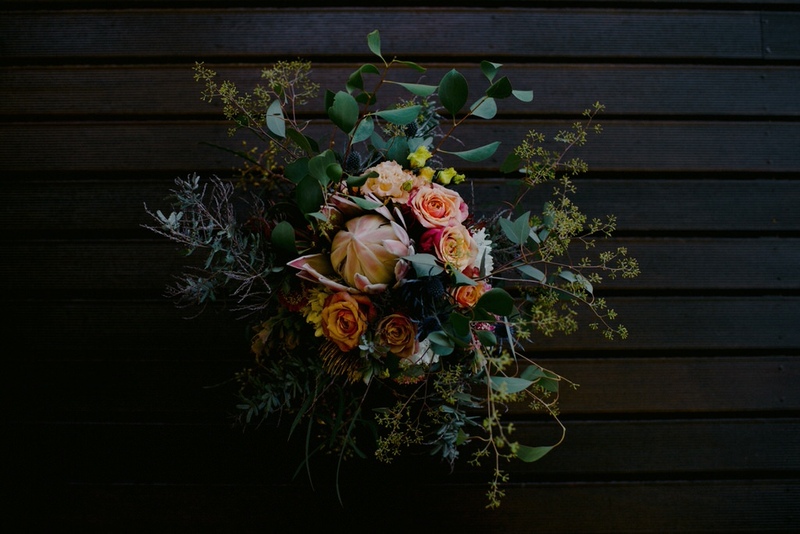 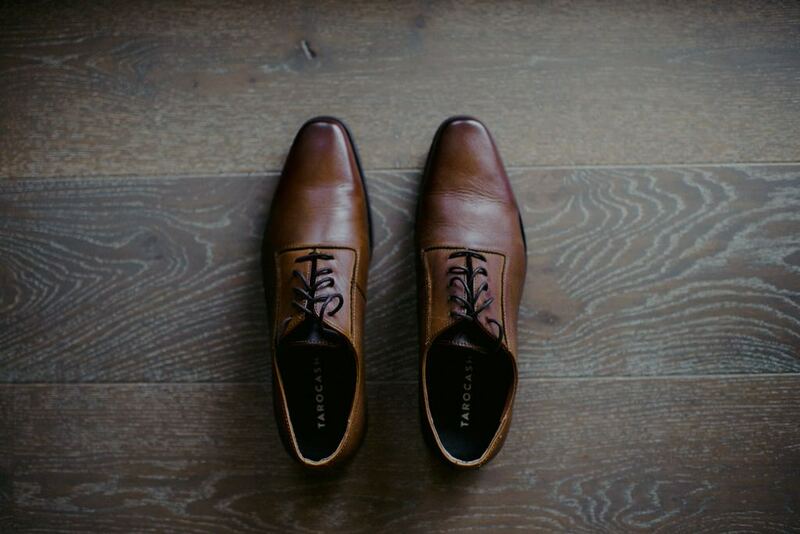 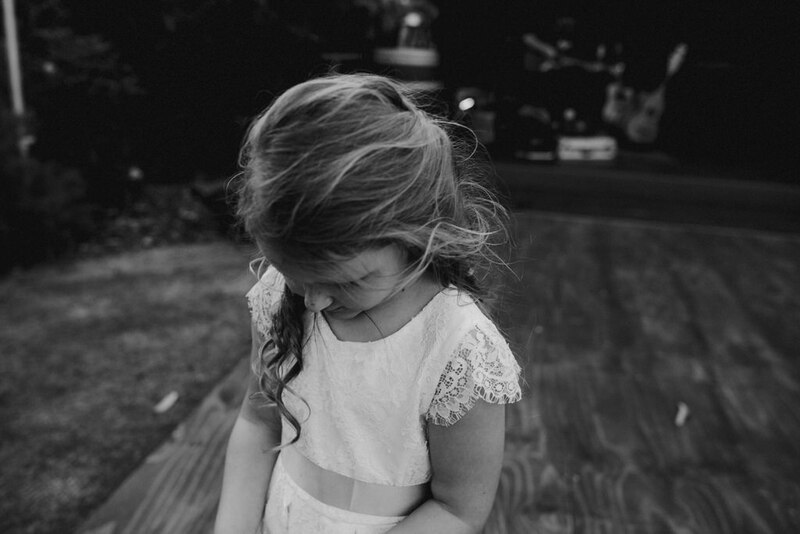 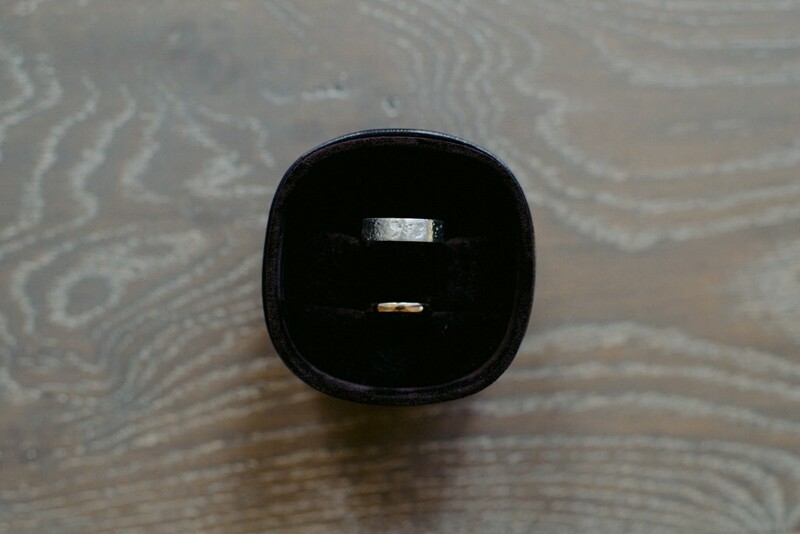 up to the wedding…. 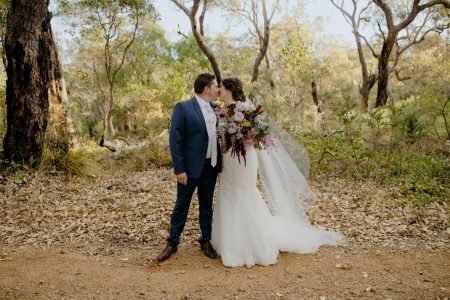 It was magical and it was exactly what we imagined!